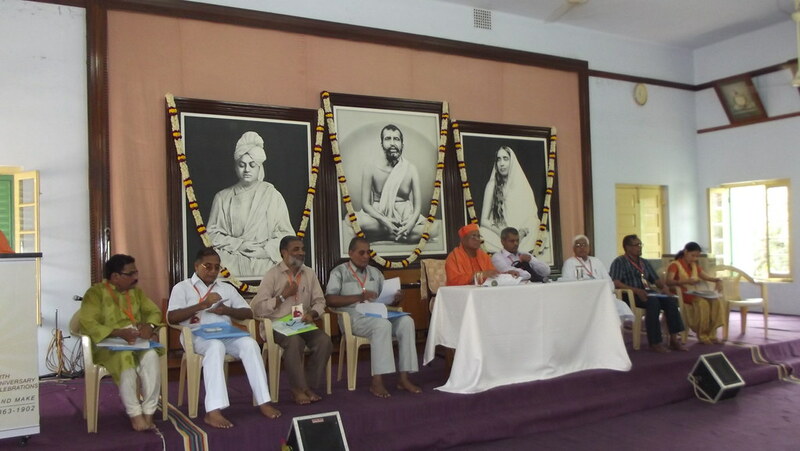 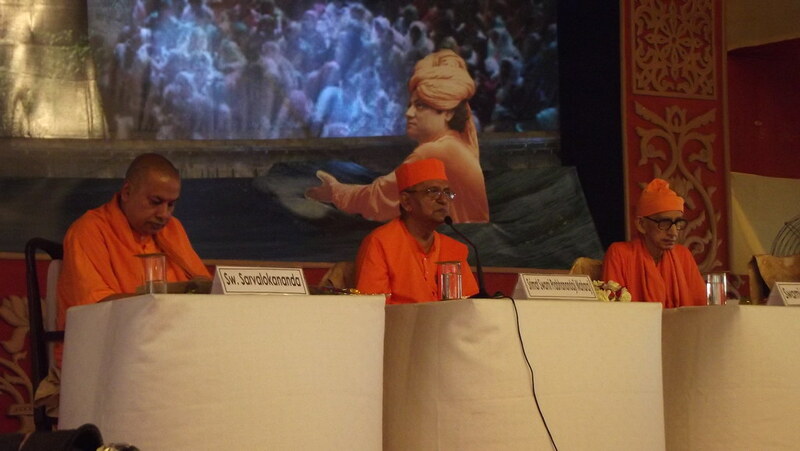 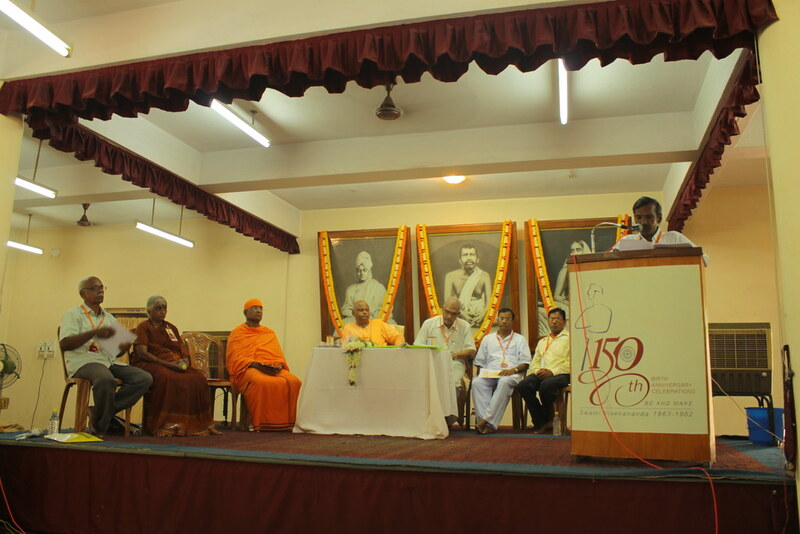 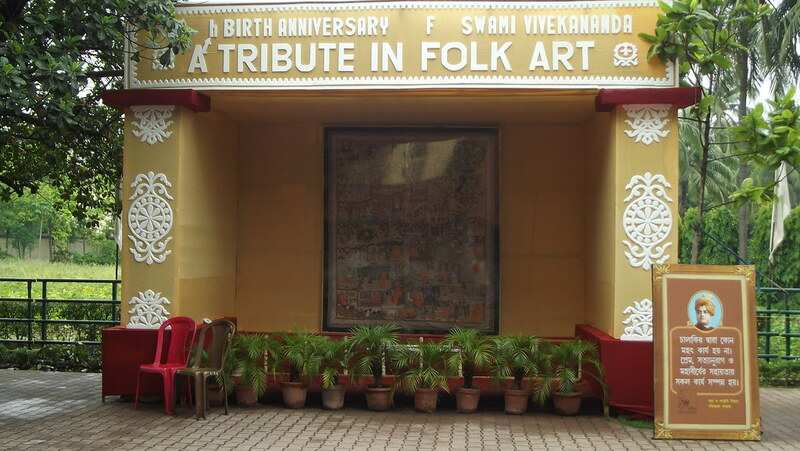 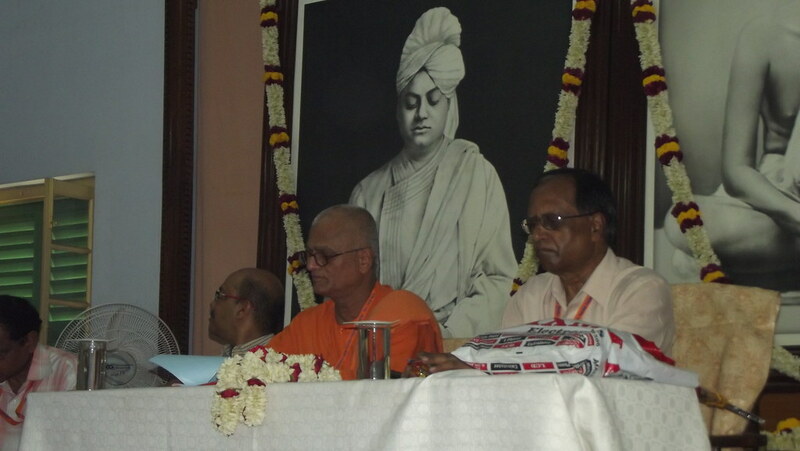 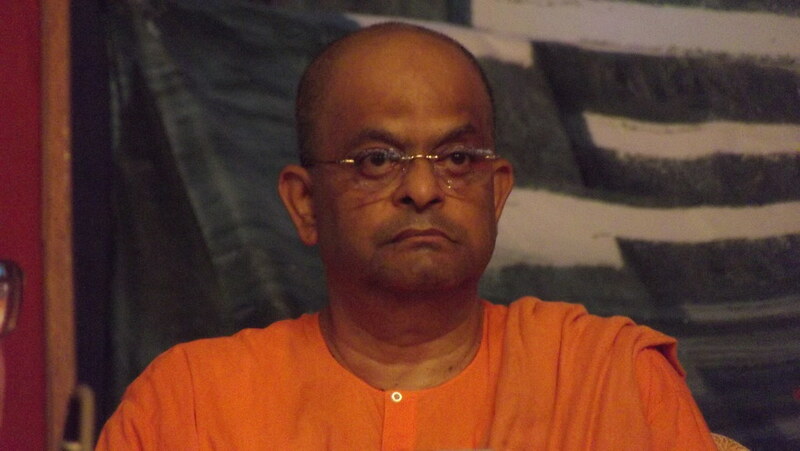 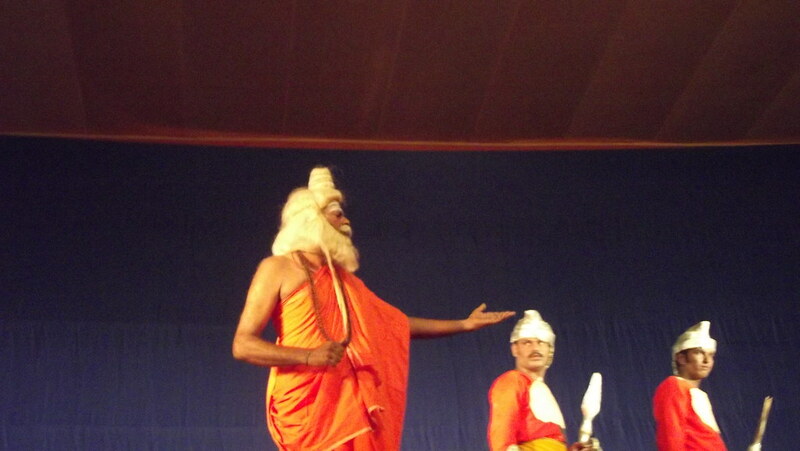 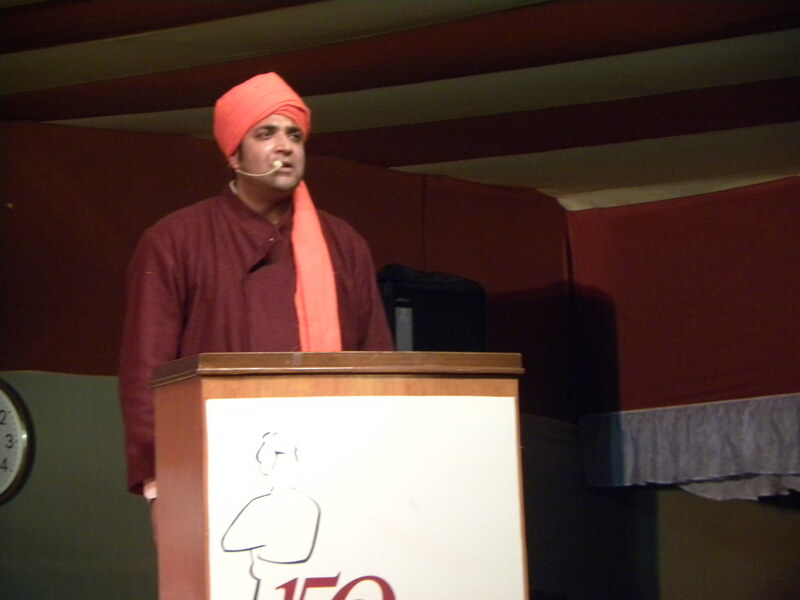 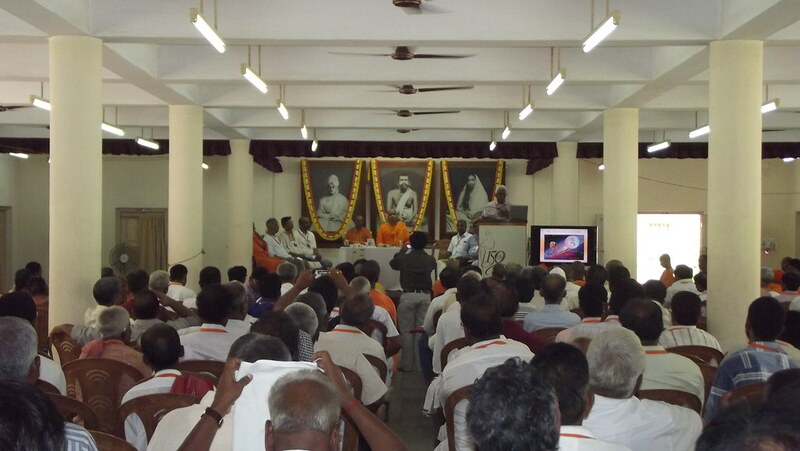 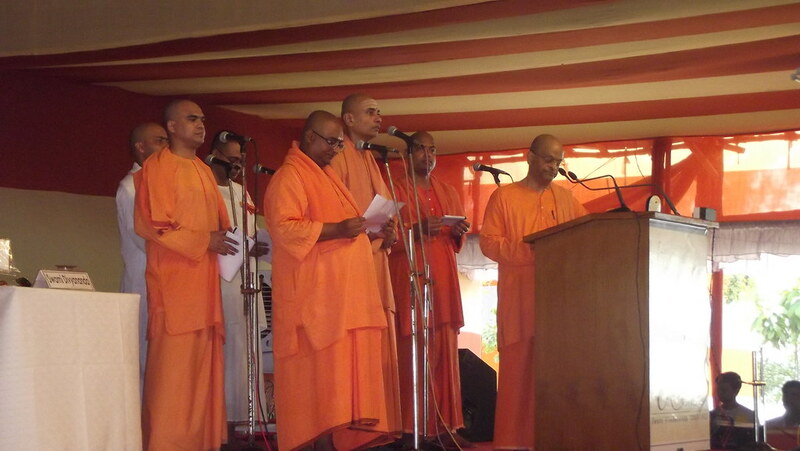 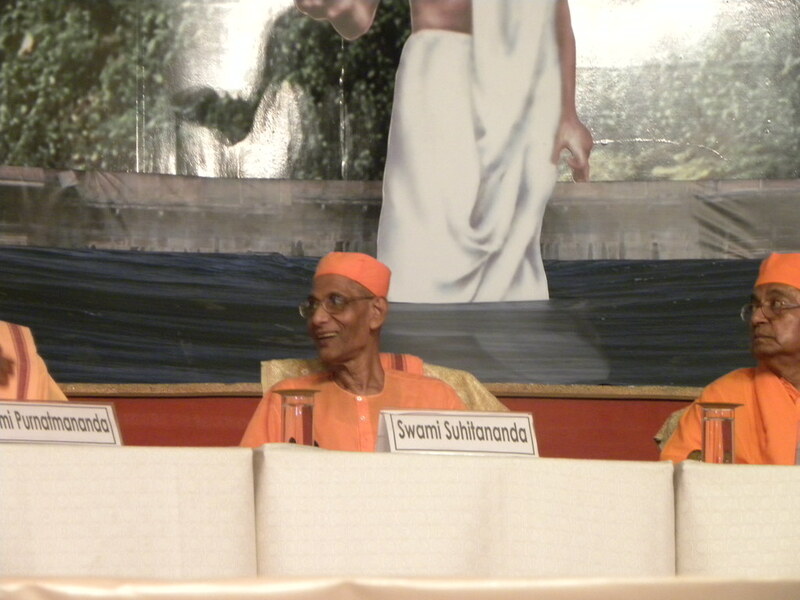 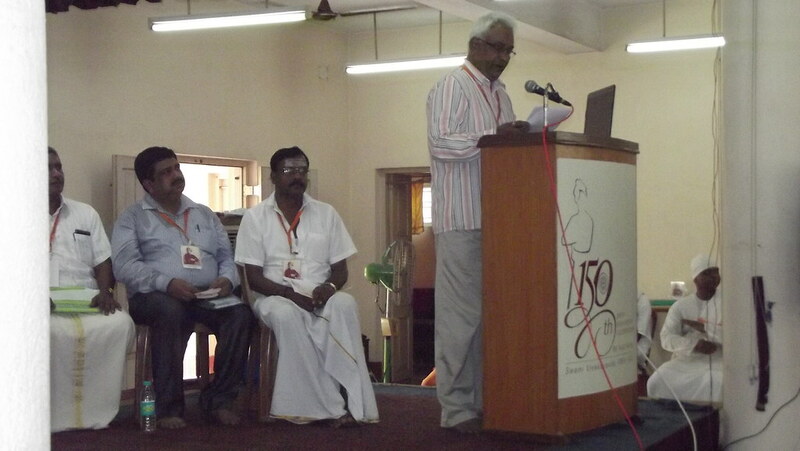 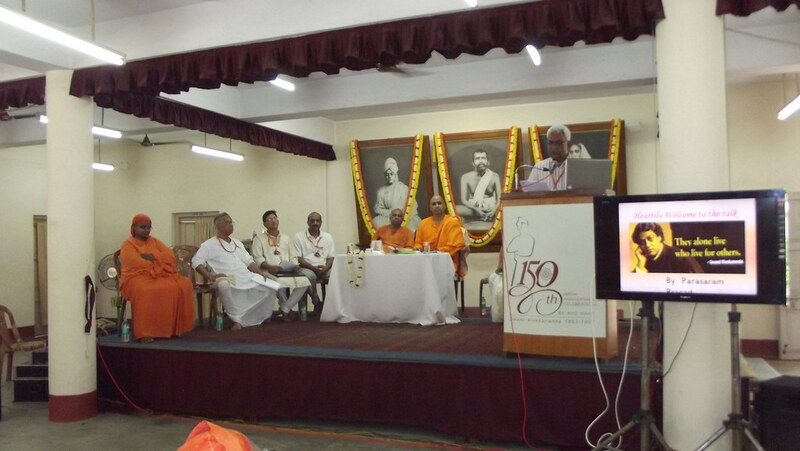 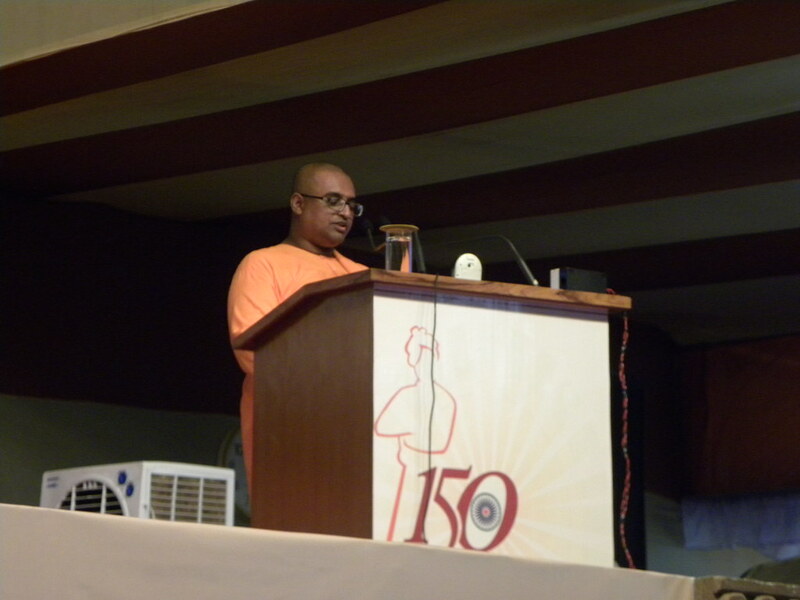 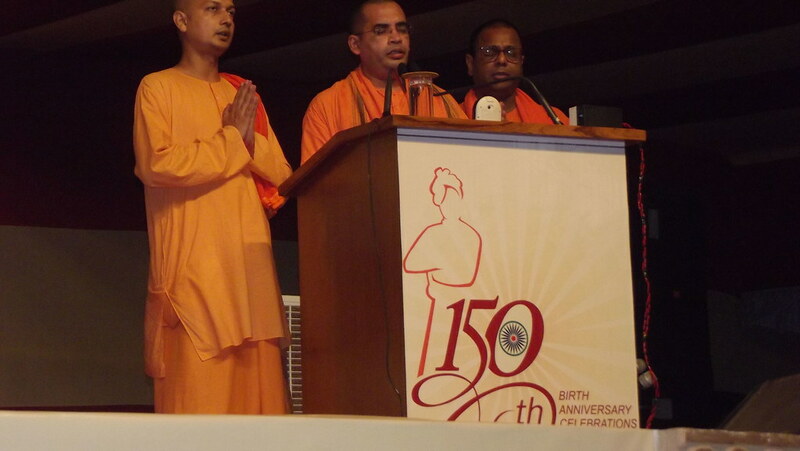 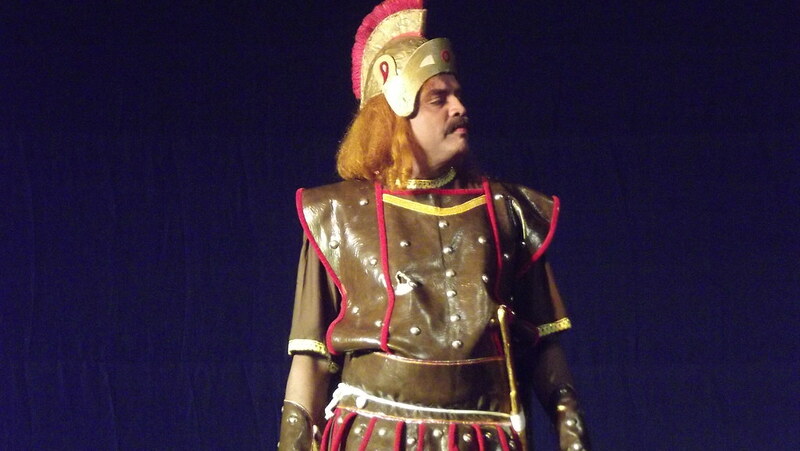 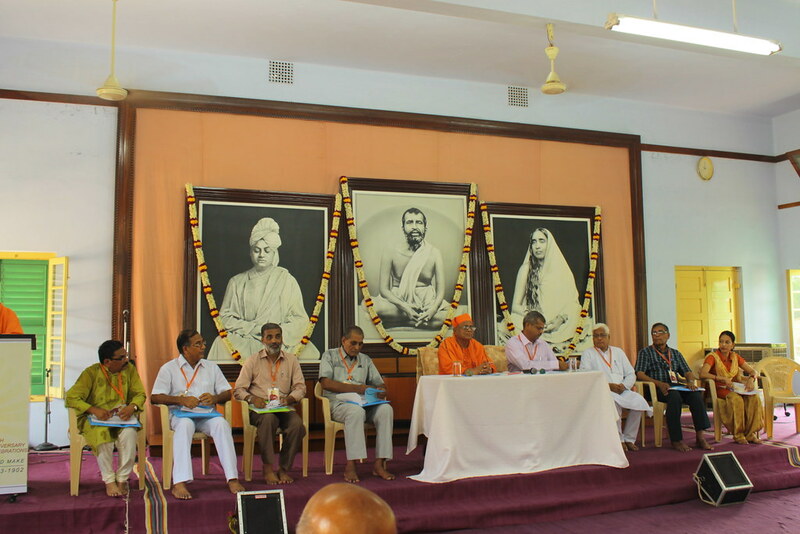 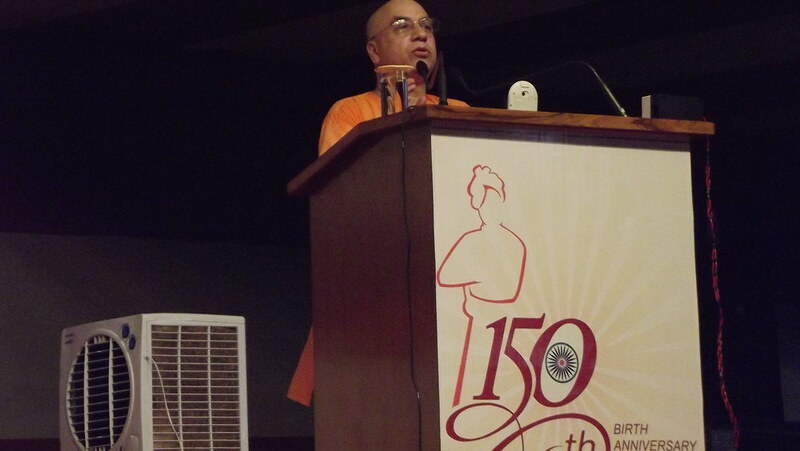 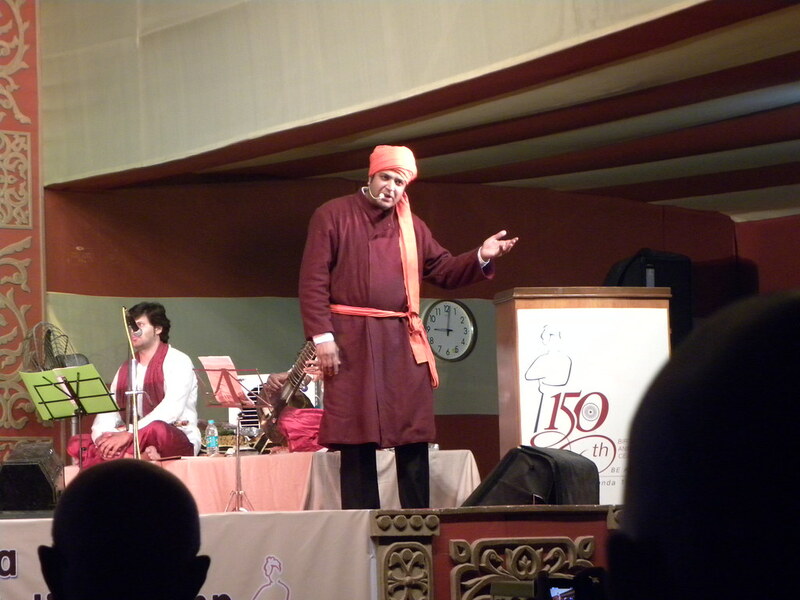 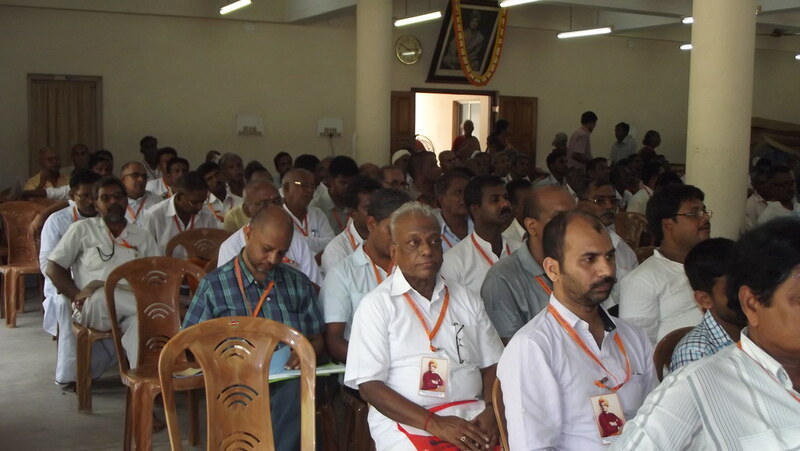 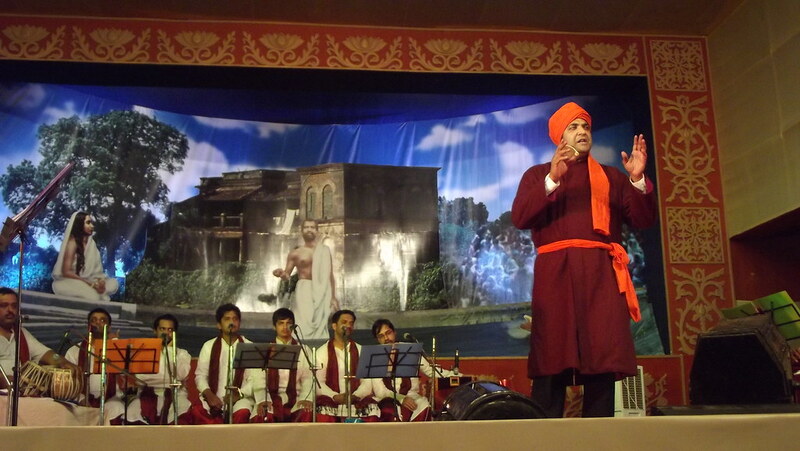 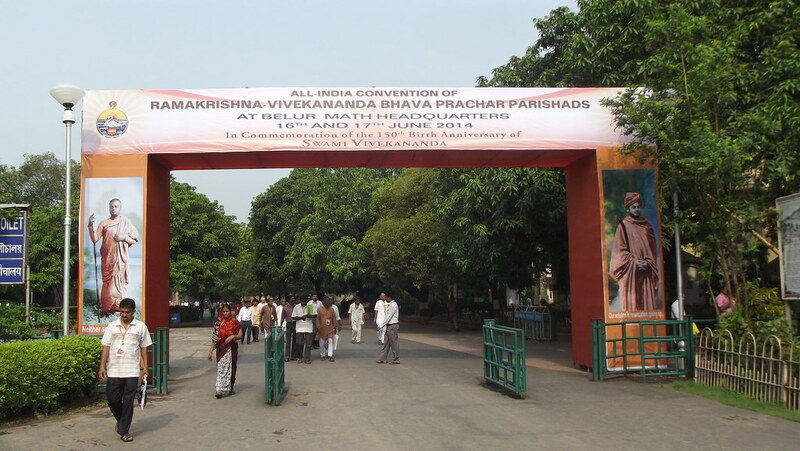 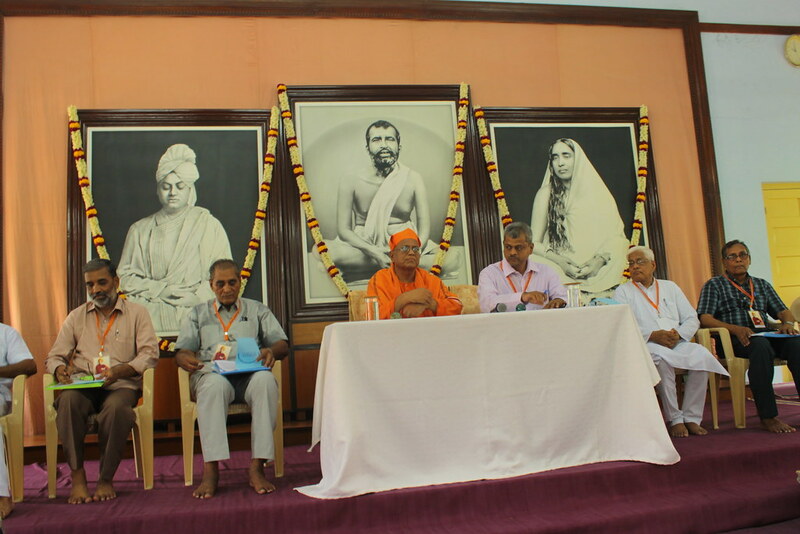 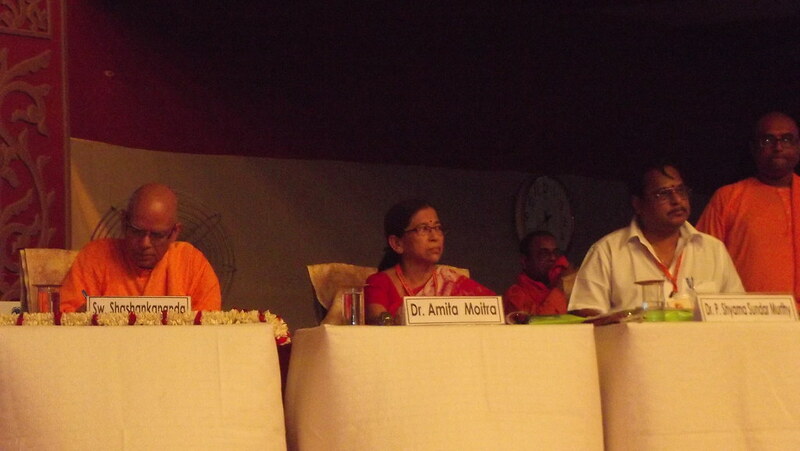 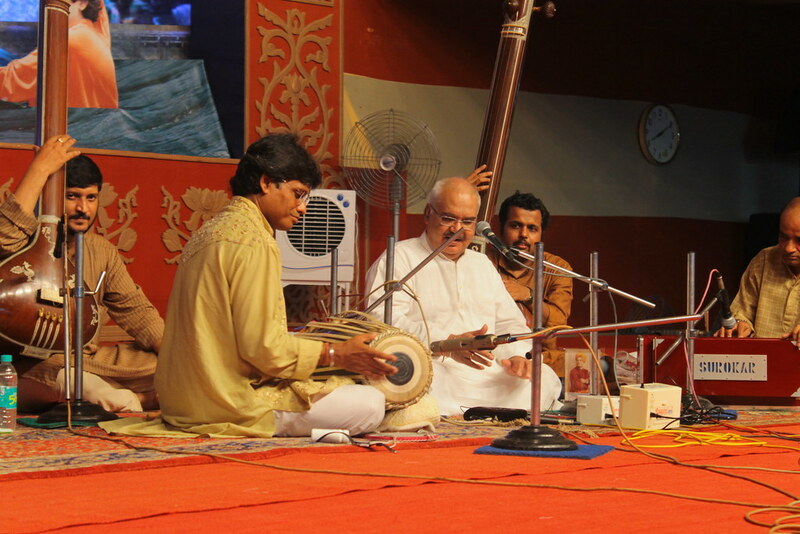 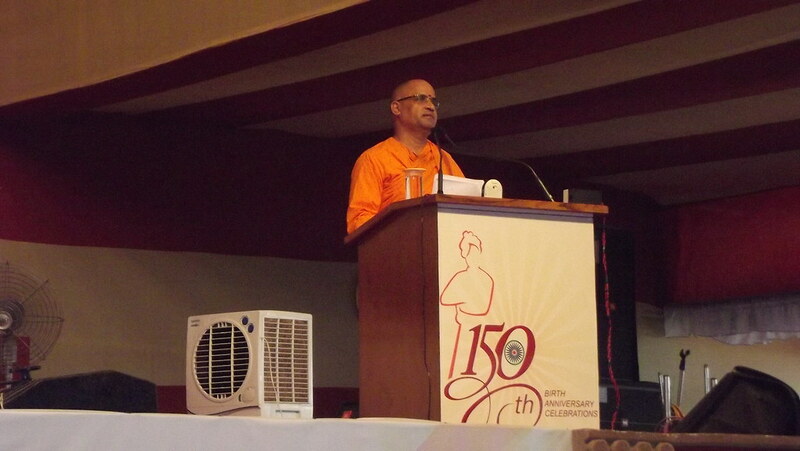 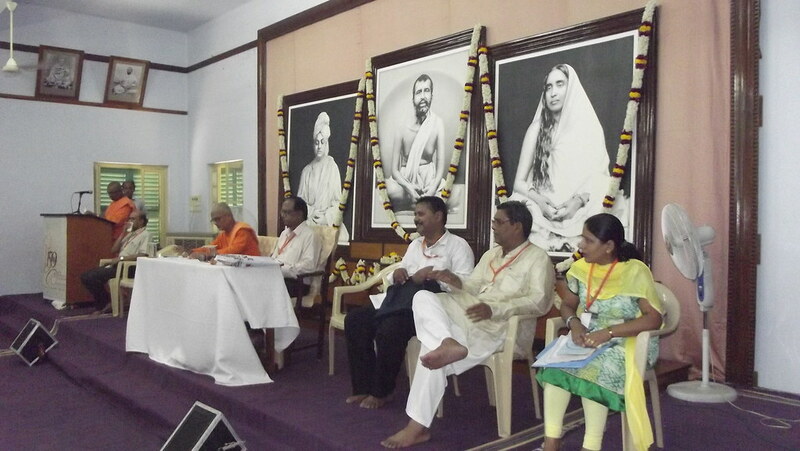 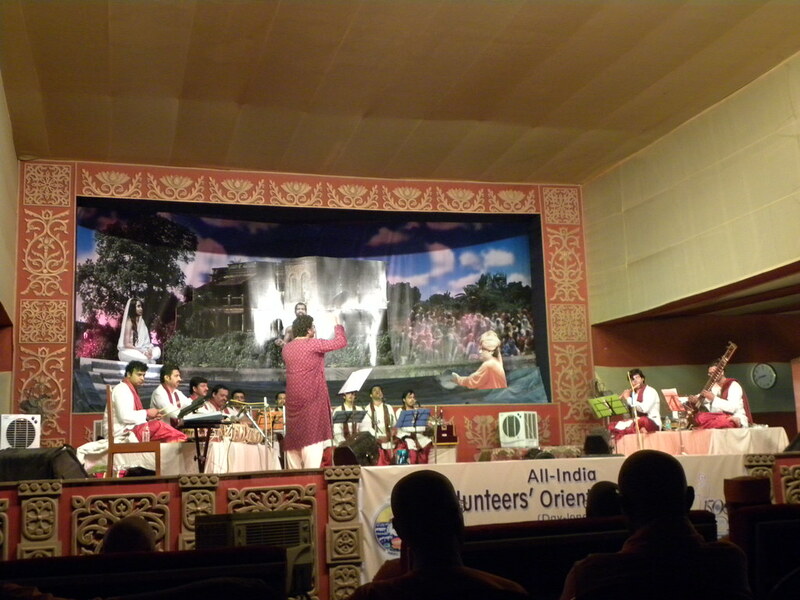 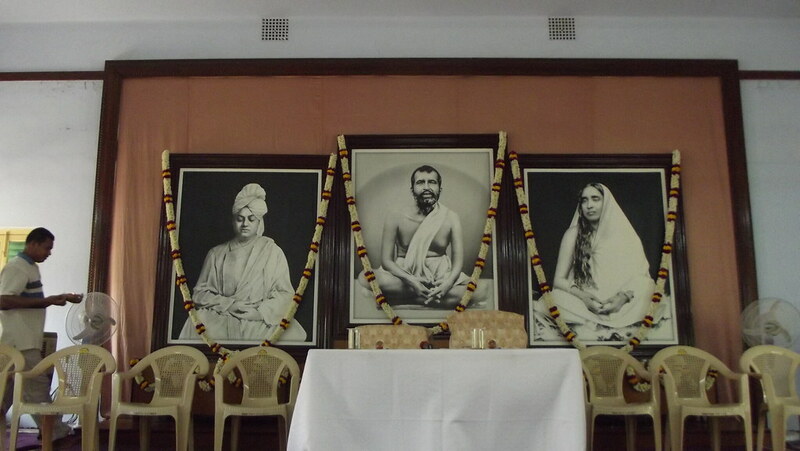 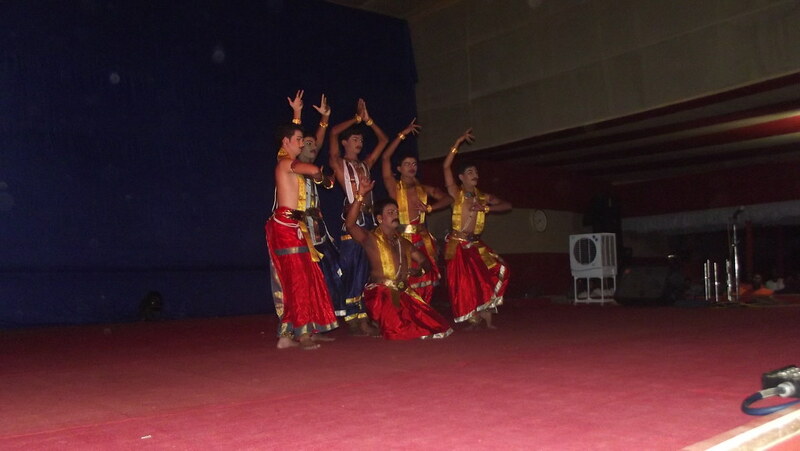 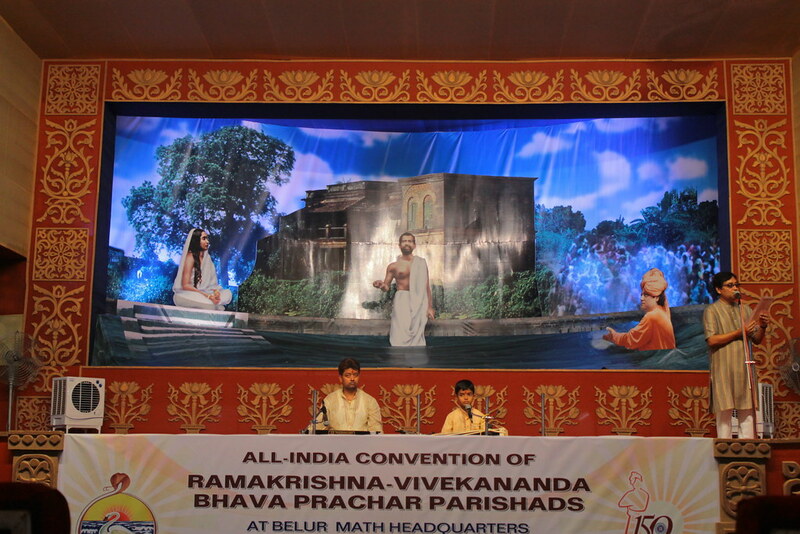 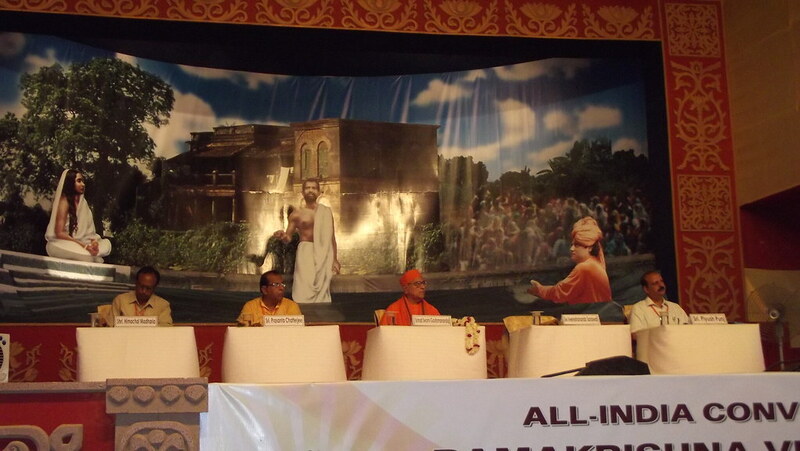 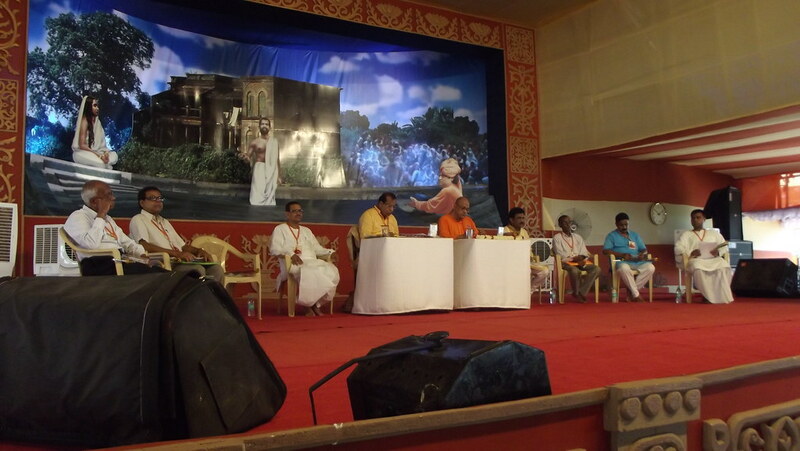 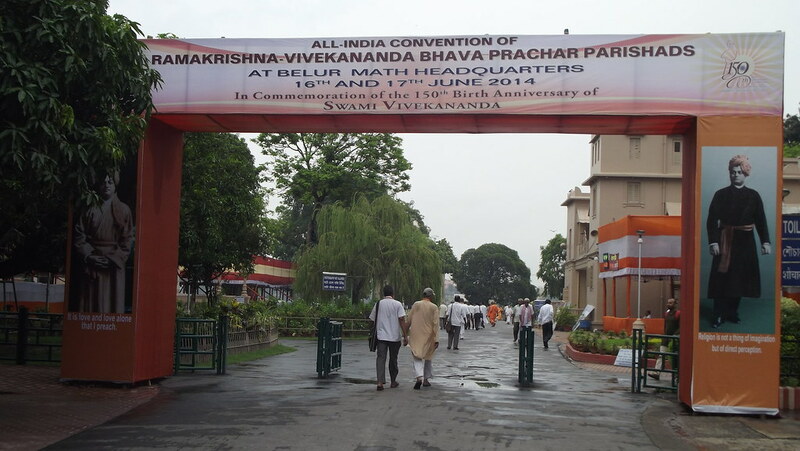 To commemorate the 150 Birth Anniversary of Swami Vivekananda, a Doctors’ Convention was held at Rajahmundry on 28 April 2013. 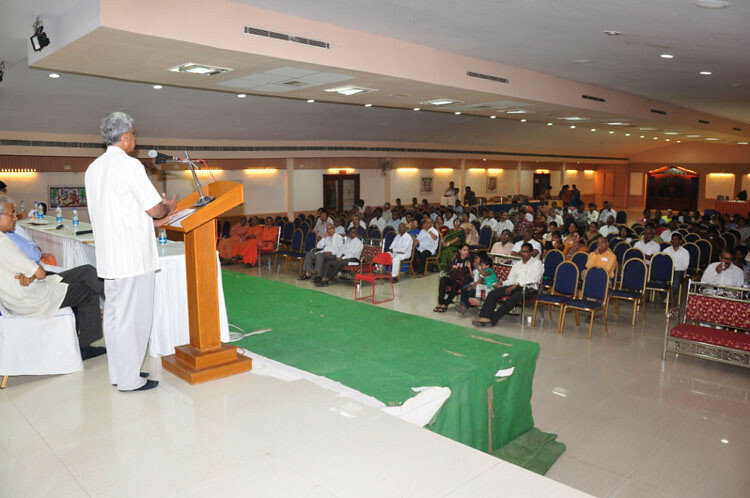 Eminent doctors from in and around Rajahmundry came to this meet and participated enthusiastically. 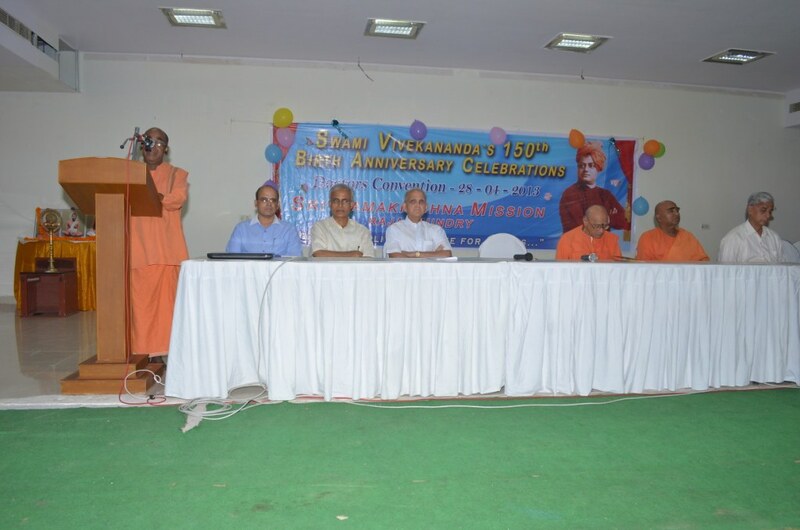 The program started with the welcome address by Swami Aksharatmananda, followed by a brief report on the medical activities being done at the Rajahmundry town centre Medical Dispensary as well as the RK Mission Tribal Medical Centre at Rampachodavaram. 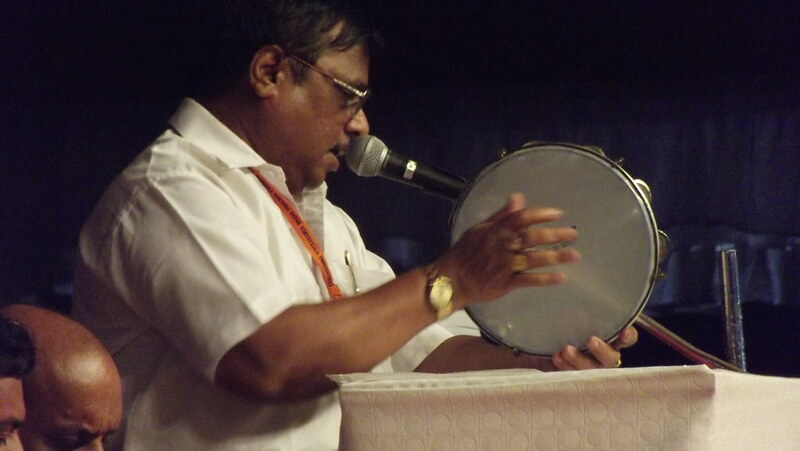 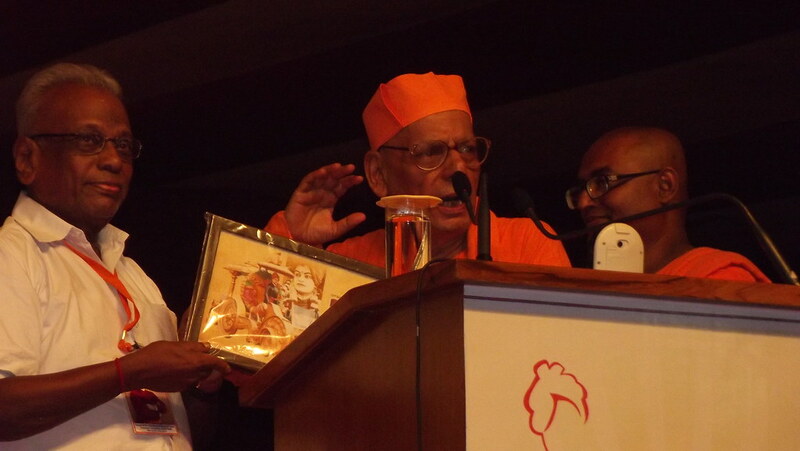 The speech by DR H Sudarshan from Bangalore, an eminent social activist as well as Padmashree recipient, on the tribal upliftment activities at Karnataka and his vision of tribal welfare was invigorating. 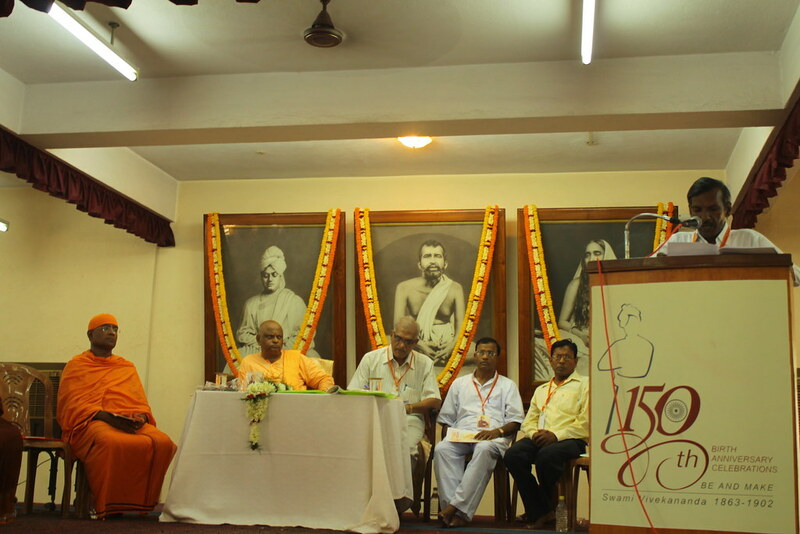 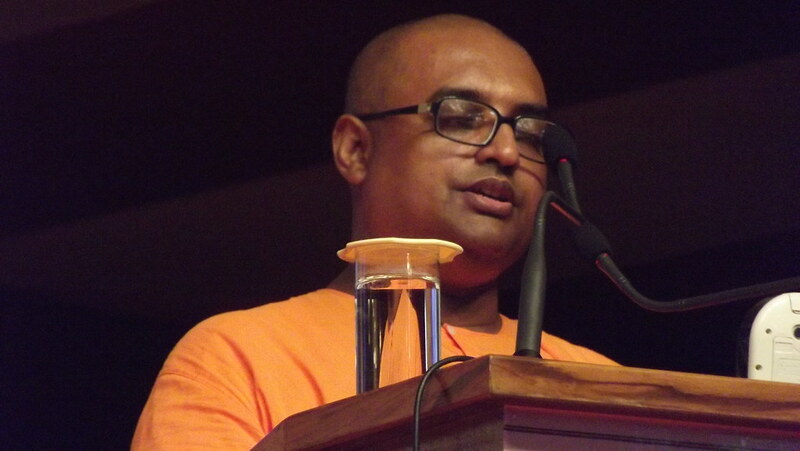 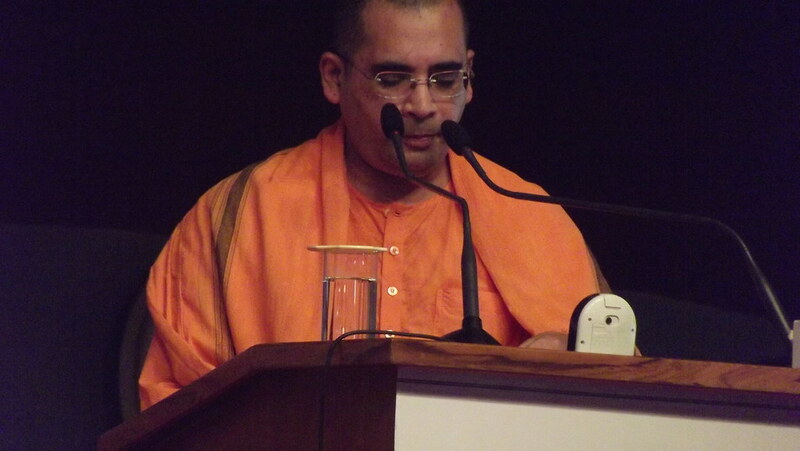 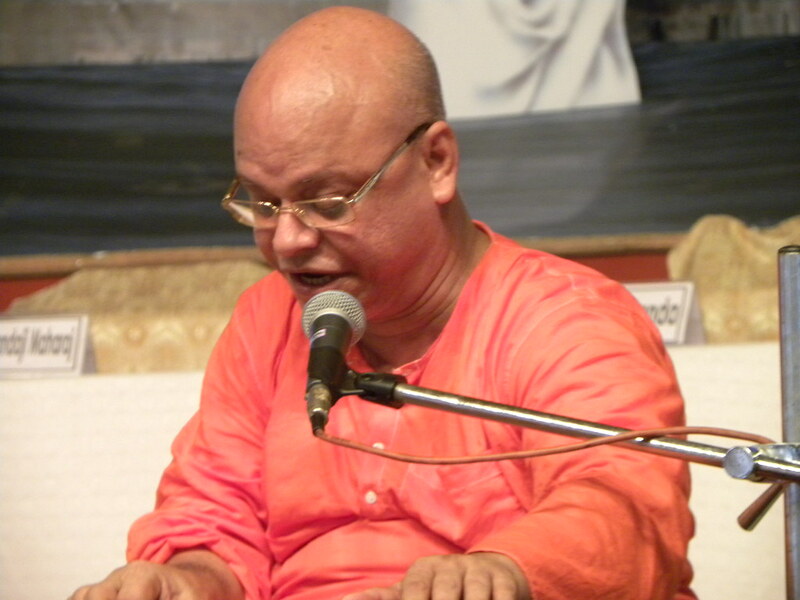 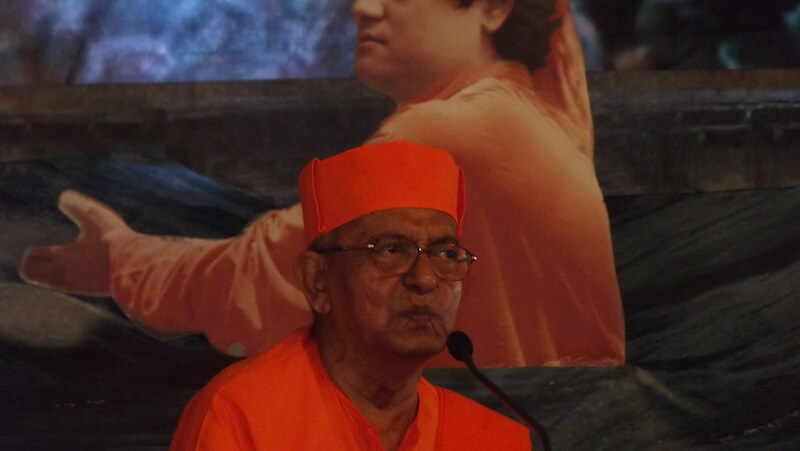 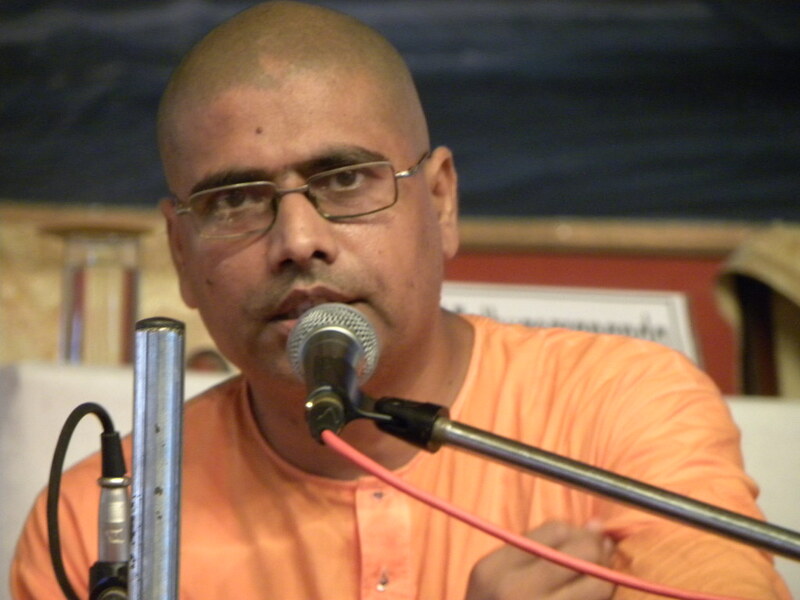 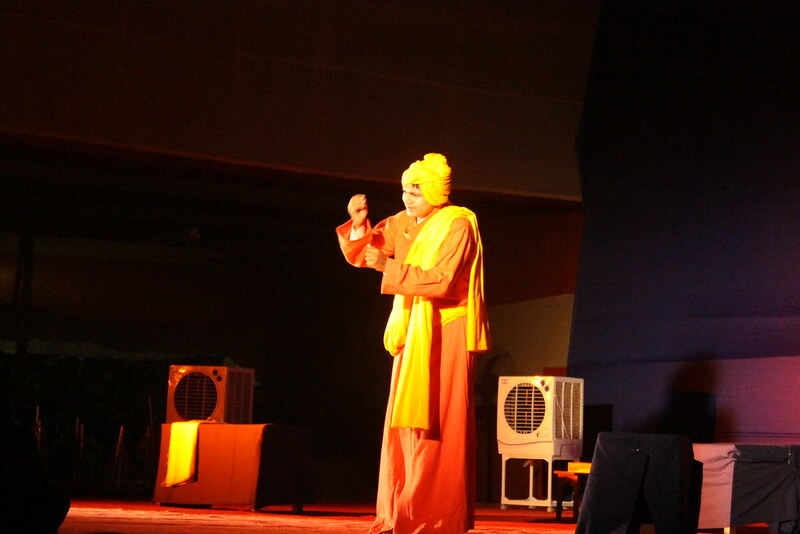 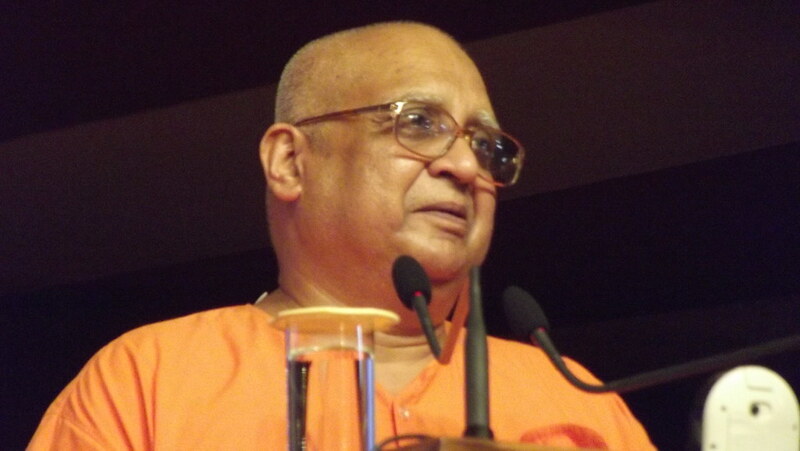 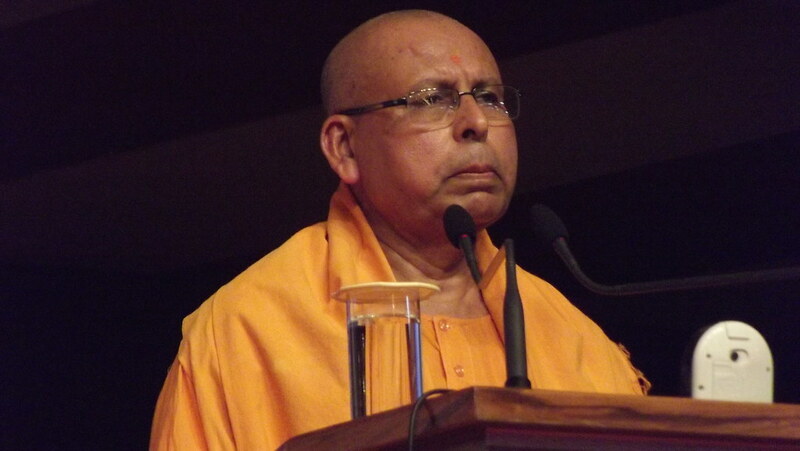 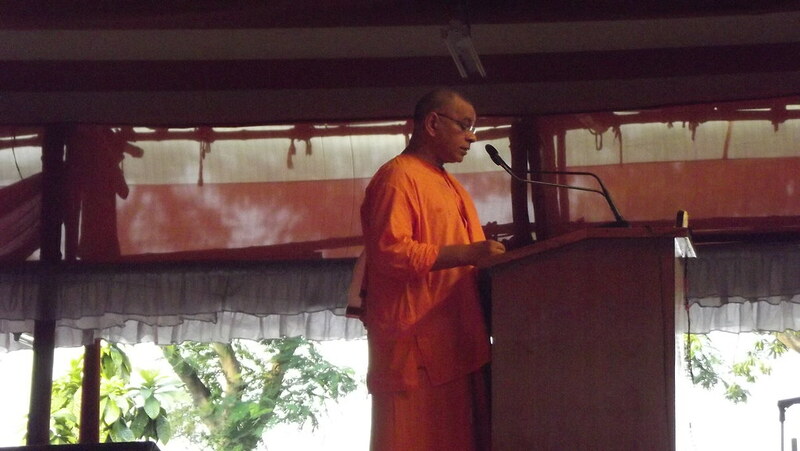 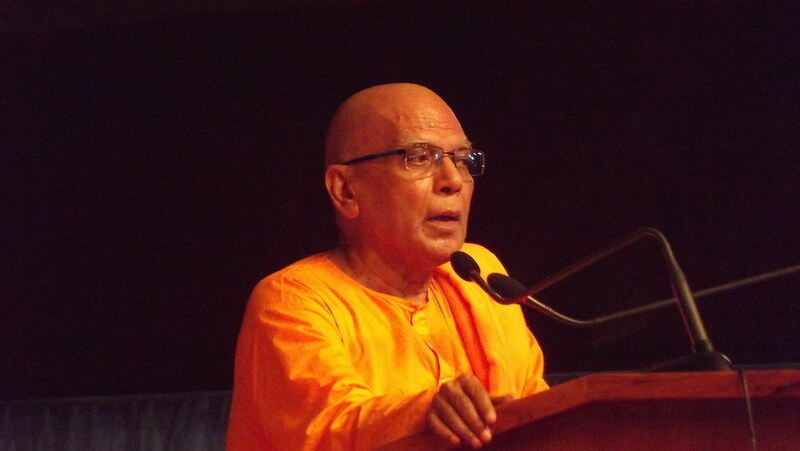 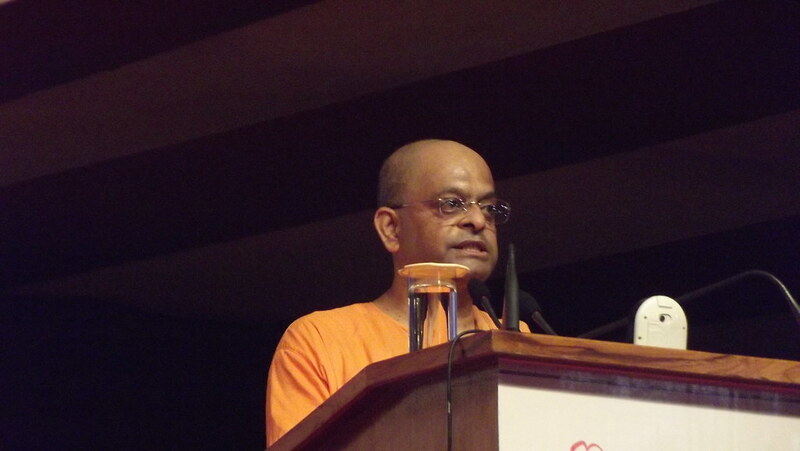 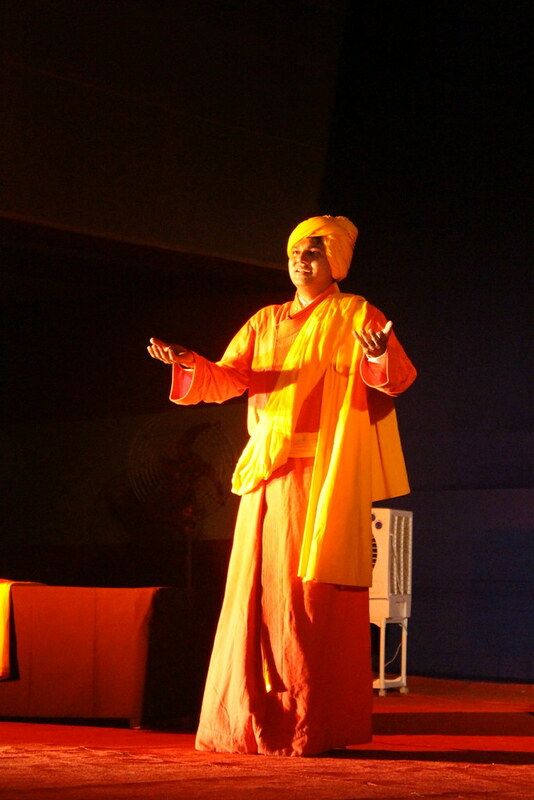 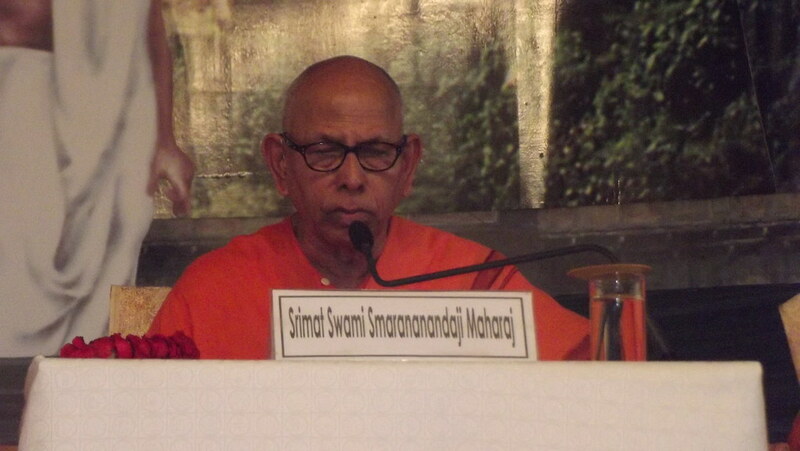 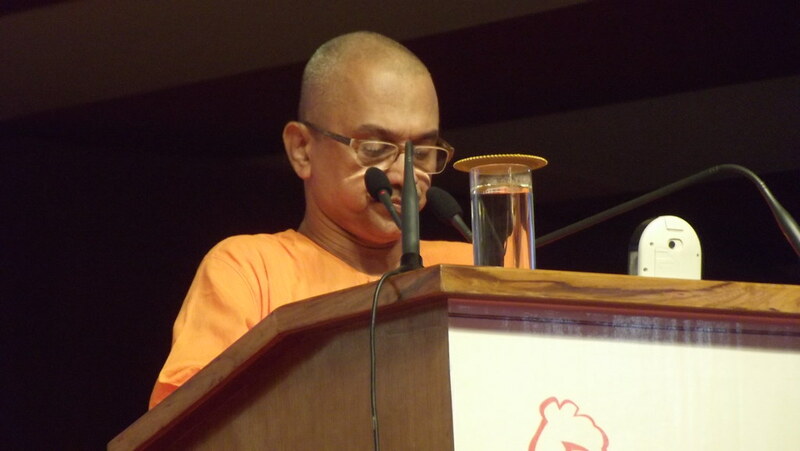 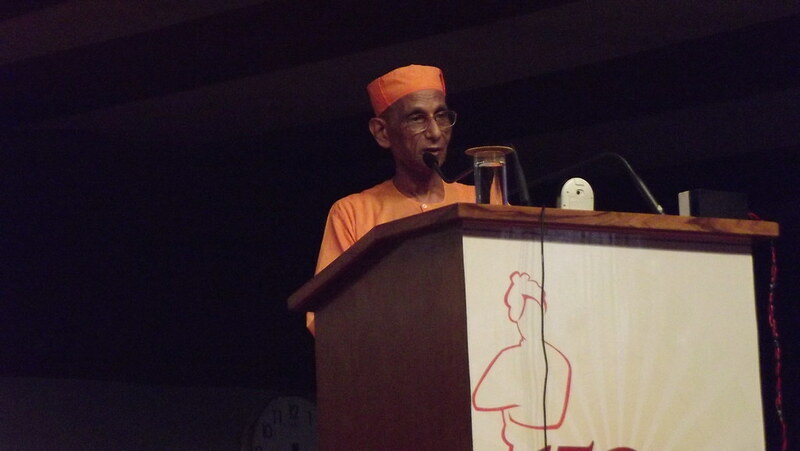 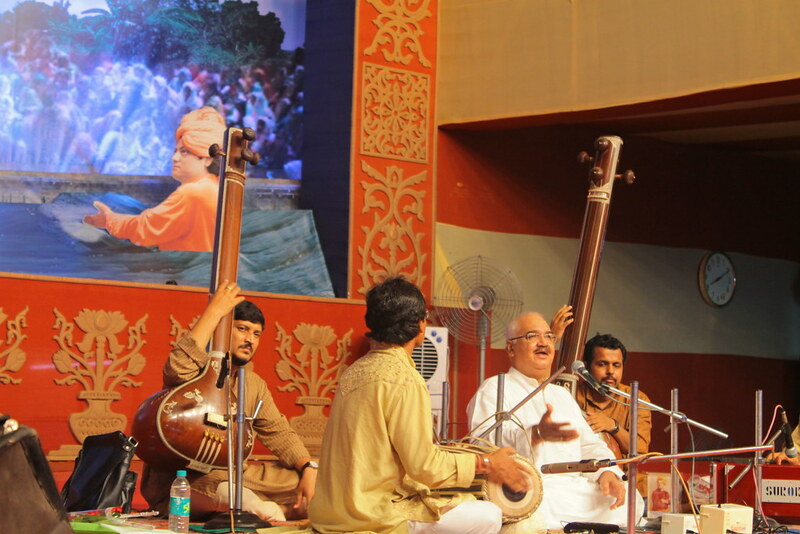 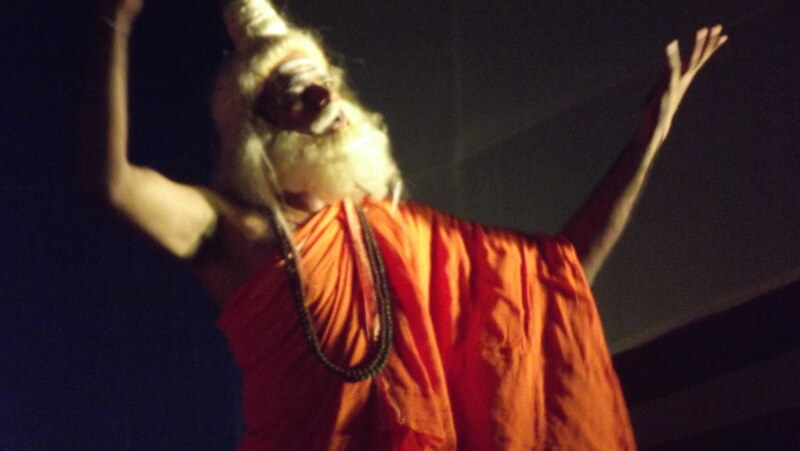 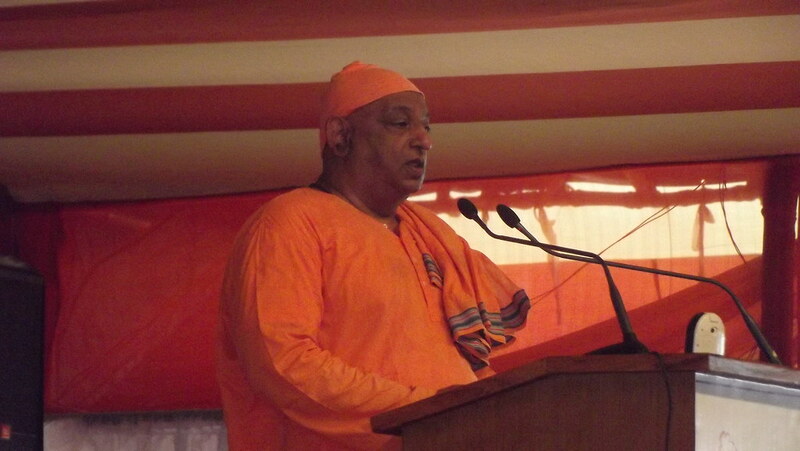 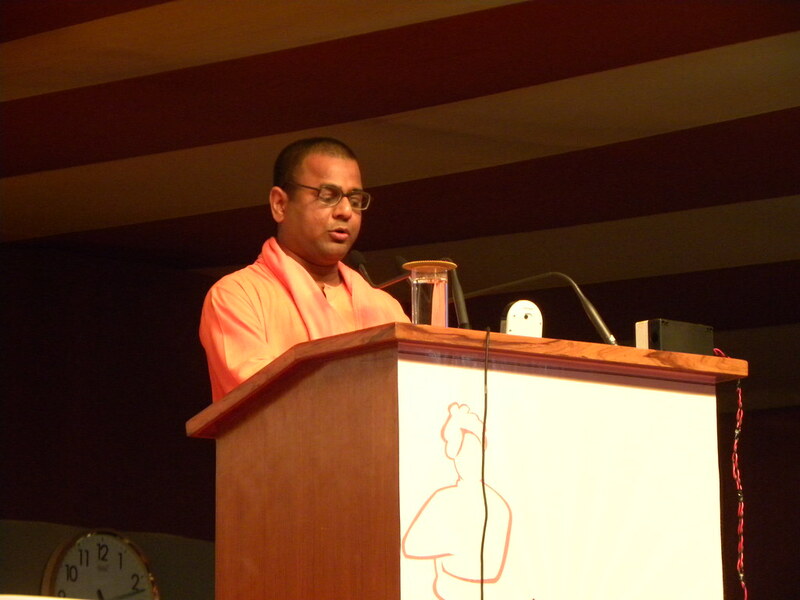 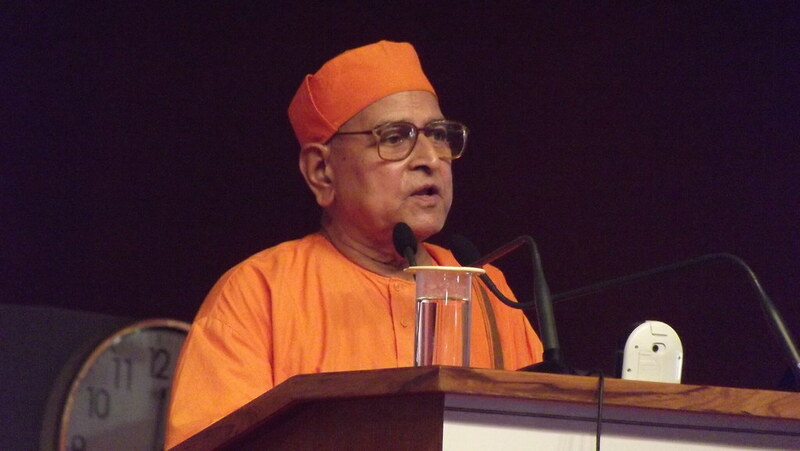 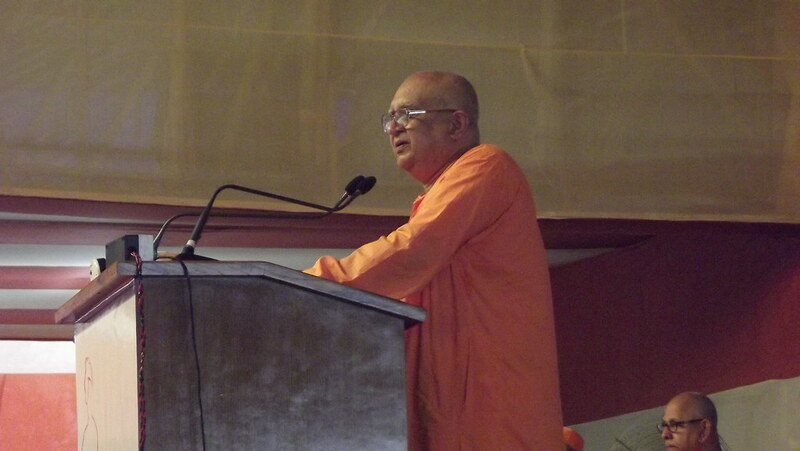 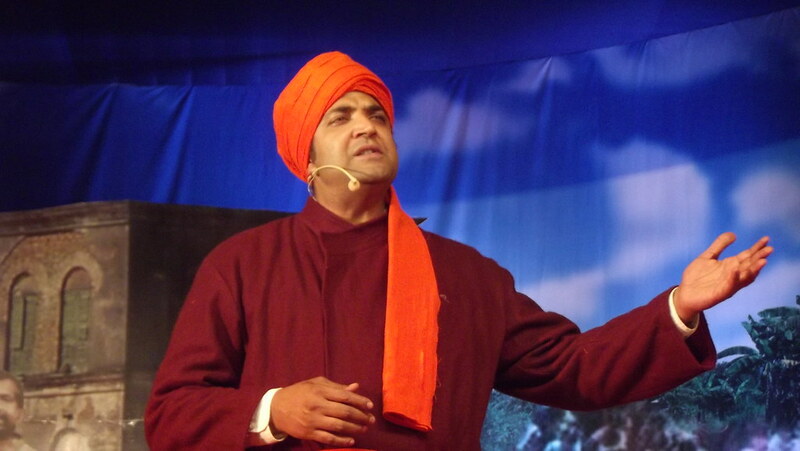 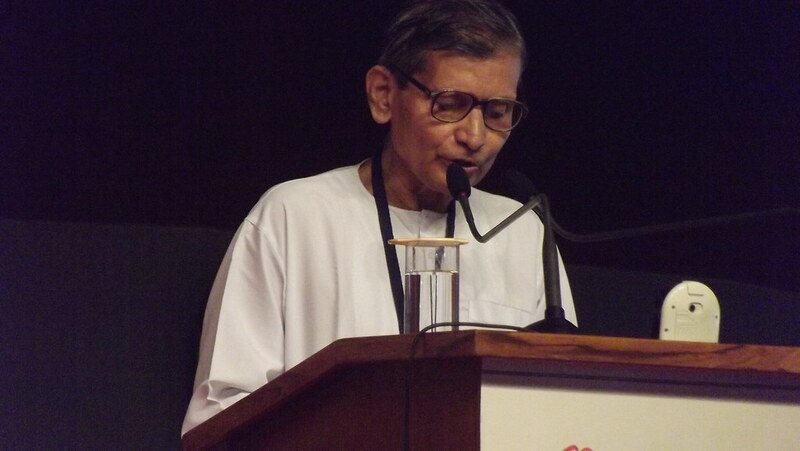 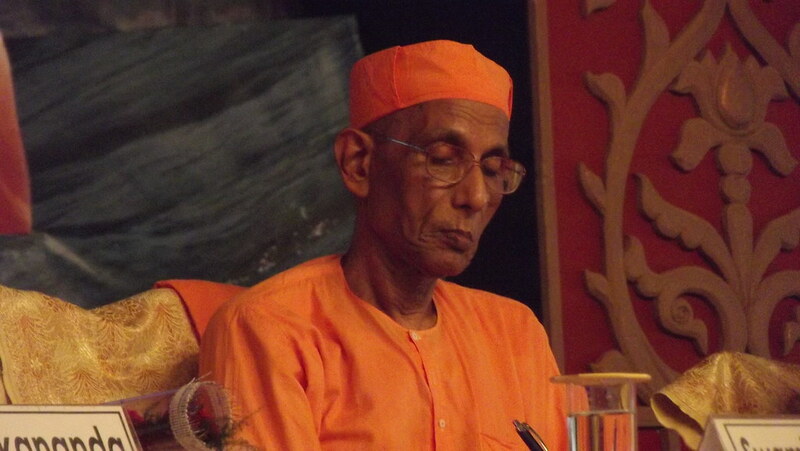 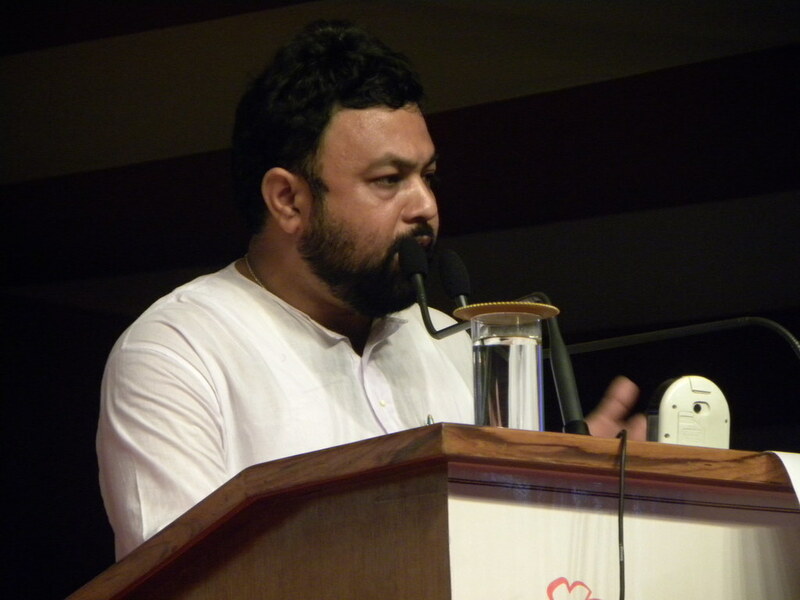 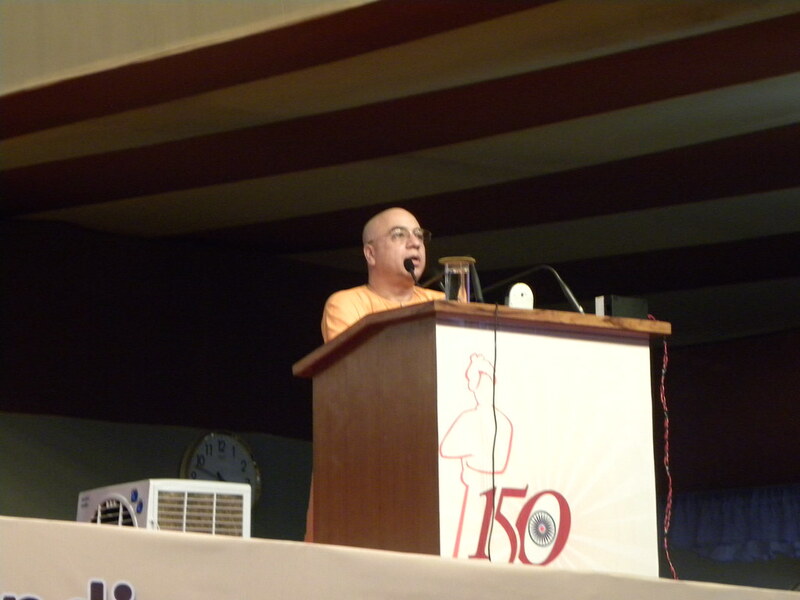 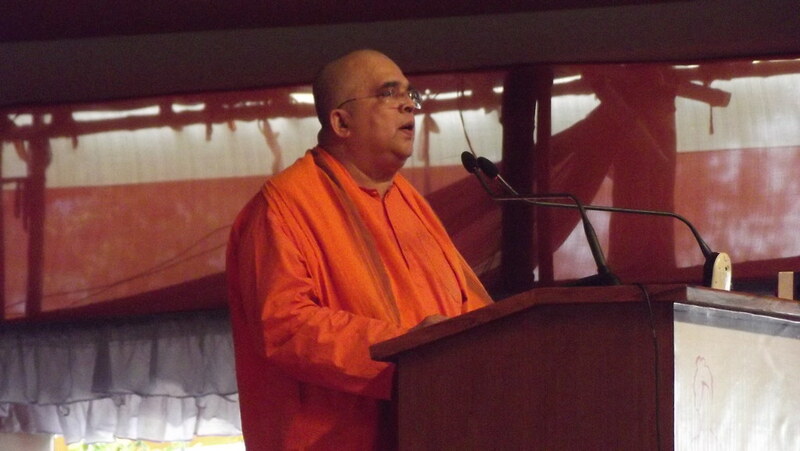 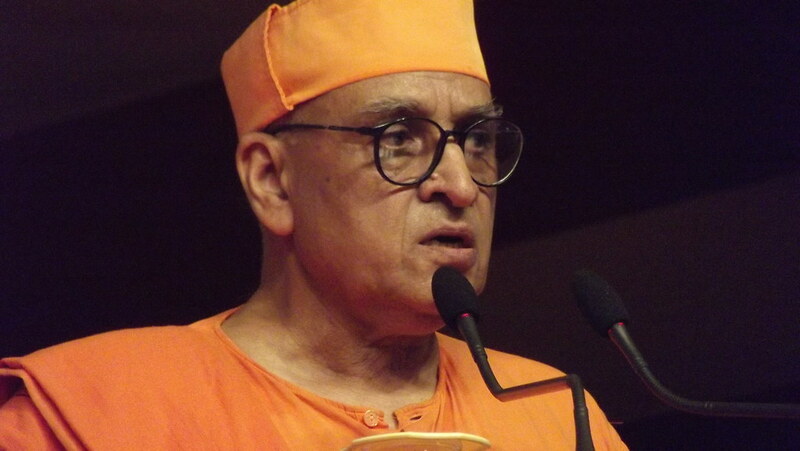 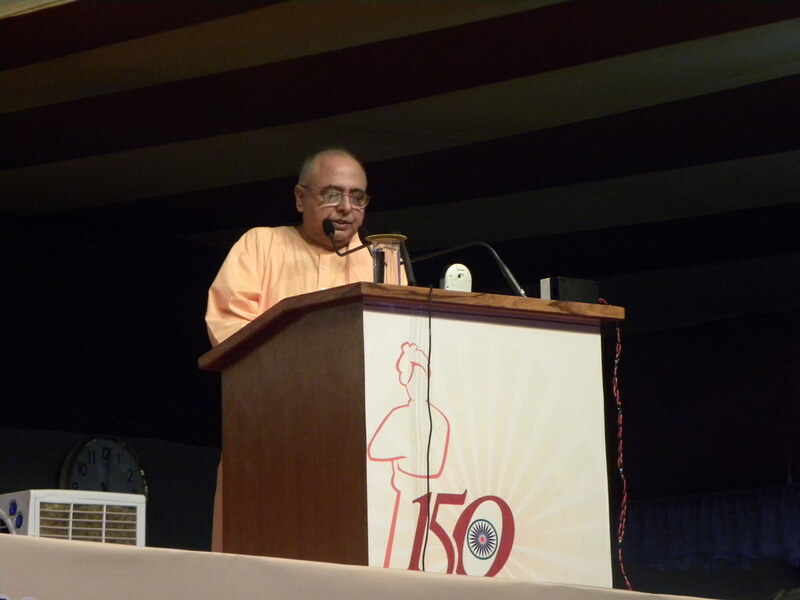 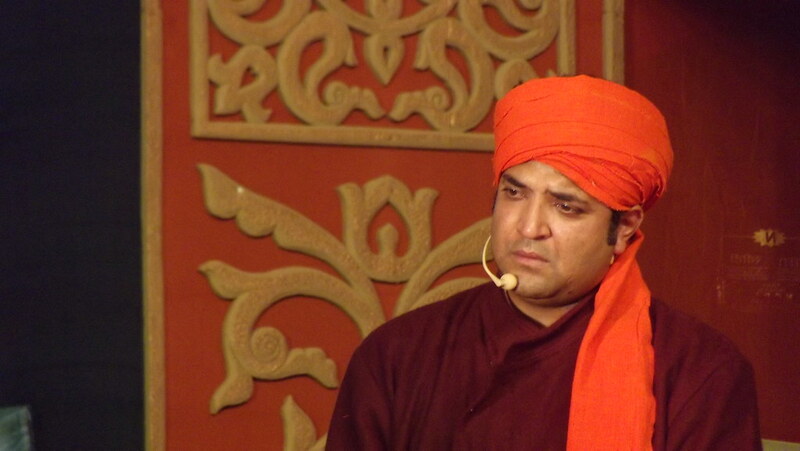 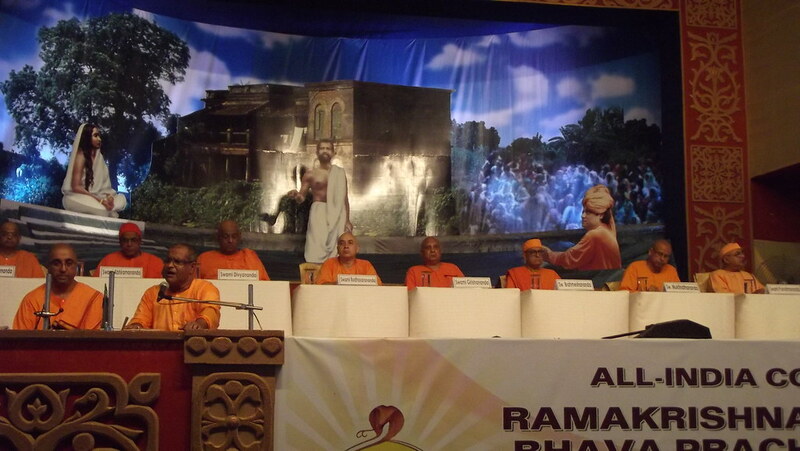 Swami Harshananda, Adyaksha, Ramakrishna Math, Bangalore spoke on ‘PHILOSOPHY OF SOCIAL SERVICE IN HINDUISM’ .His anecdotes and inspiring stories from the teachings of Sri Ramakrishna Paramahamsa and Swami Vivekananda struck a chord in the hearts of the audience . 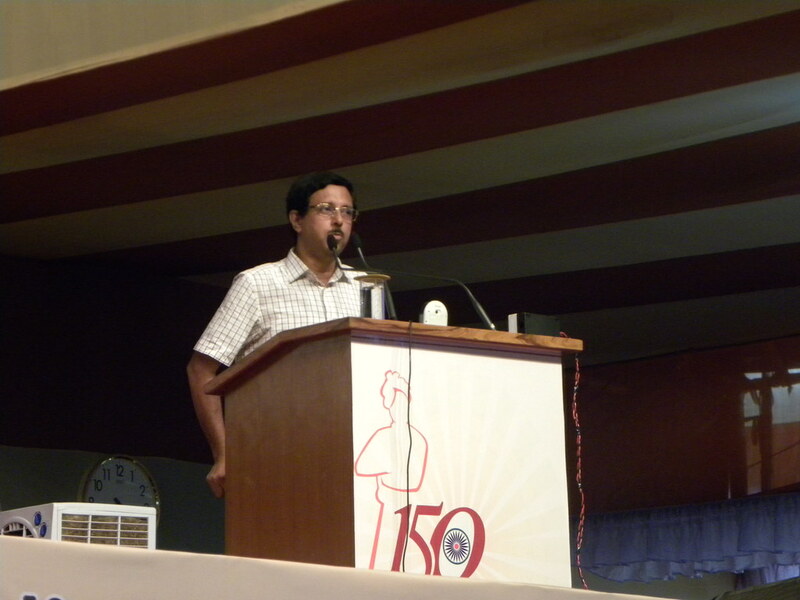 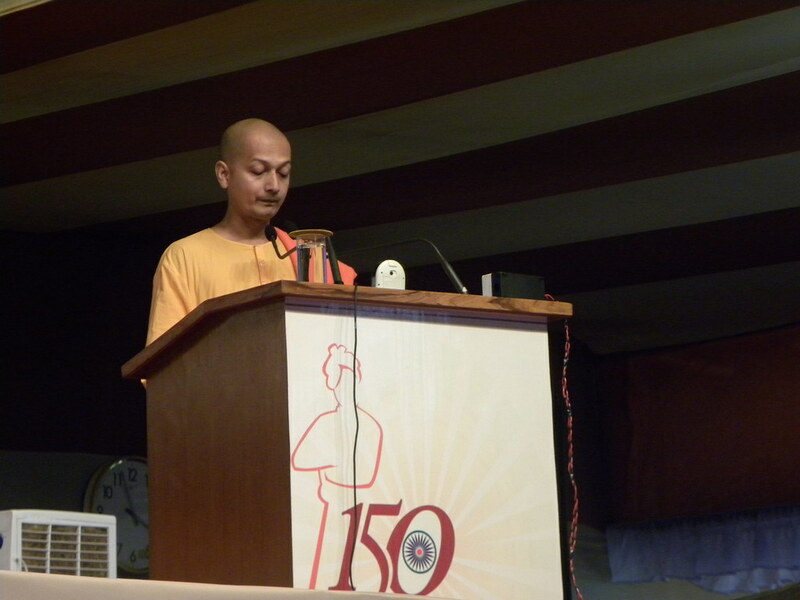 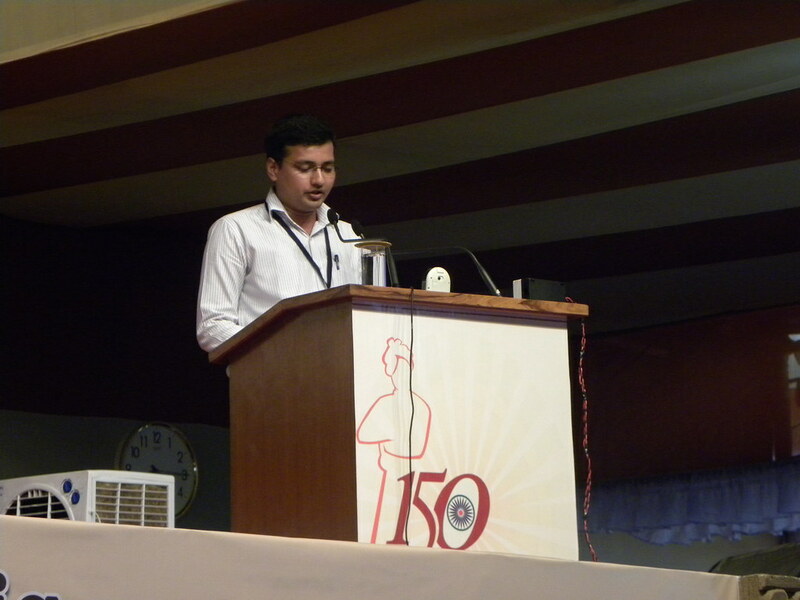 “Social service as a national responsibility” was the topic on which Lt Murty Jasti, an ex Indian Navy officer spoke. 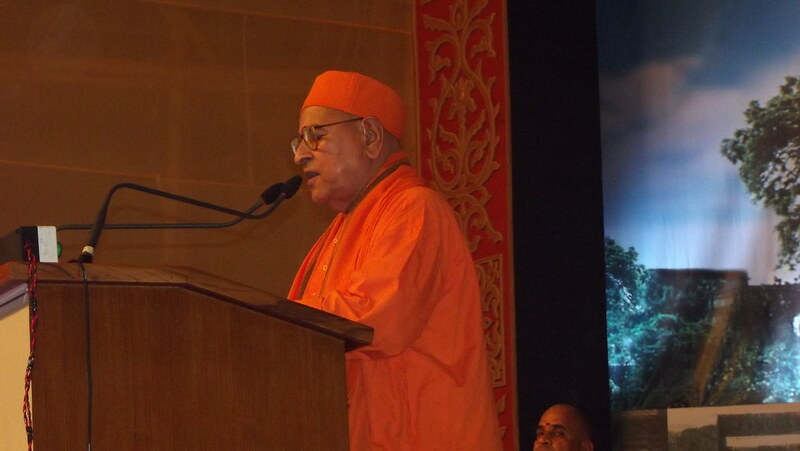 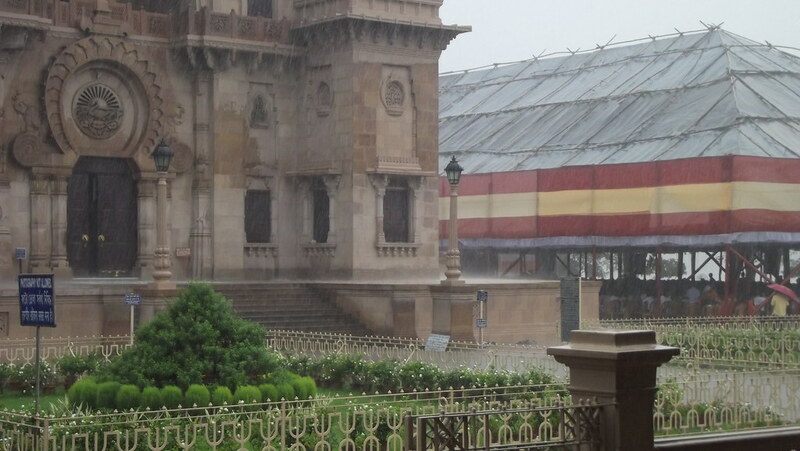 He reiterated the idea that it is the rightful duty to all of us as citizens of India to give back to society at least a little of what we have received.. Dr G.V. 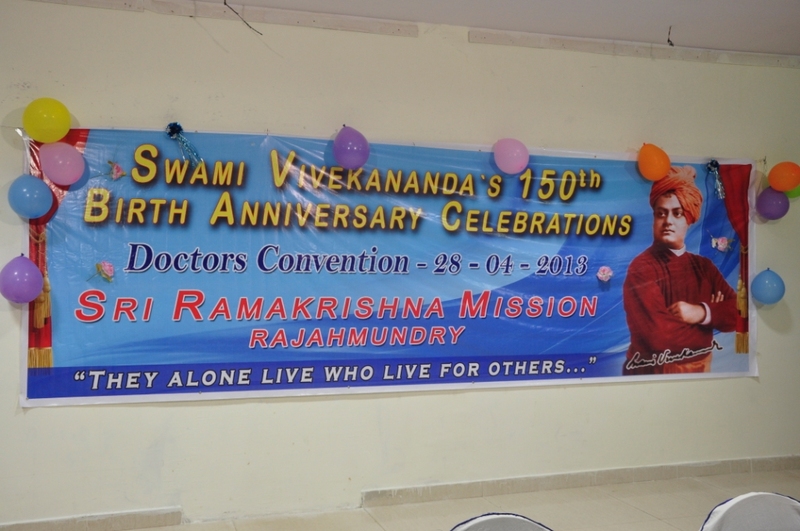 Rama Rao, an eminent physician from RJY spoke on the importance of social service and his association with RK mission dispensary for the last 20years. 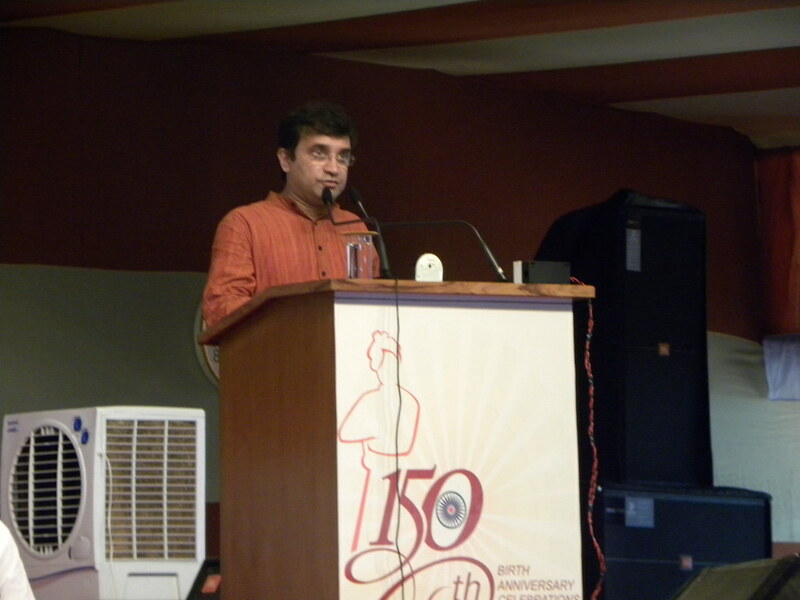 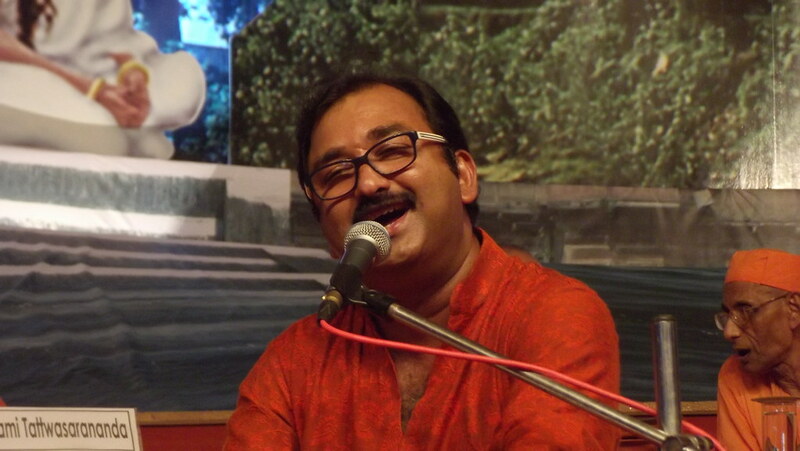 He said a doctor is most happy when the patient goes back happy with a smiling relieved face. 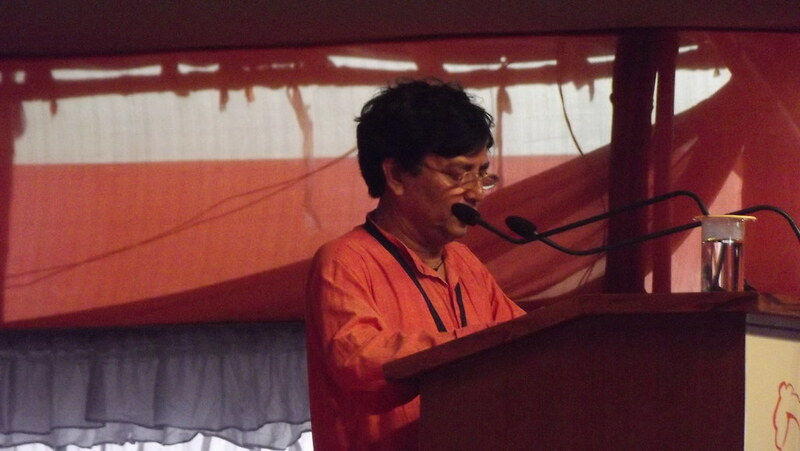 He also shared his experiences in his association with tribal medical service. 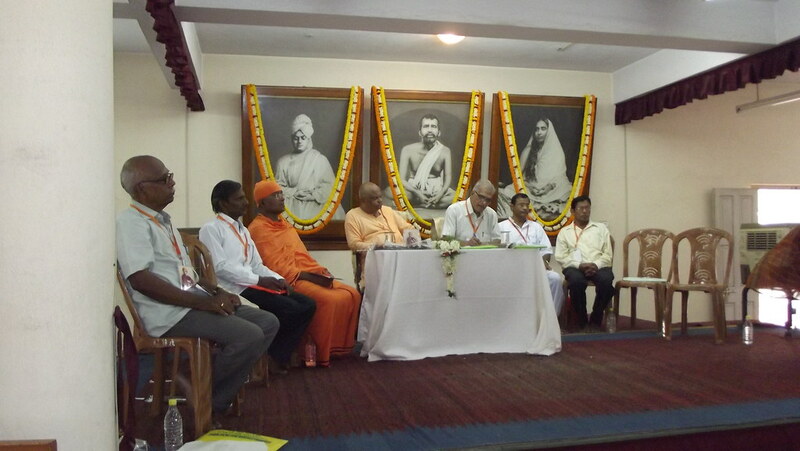 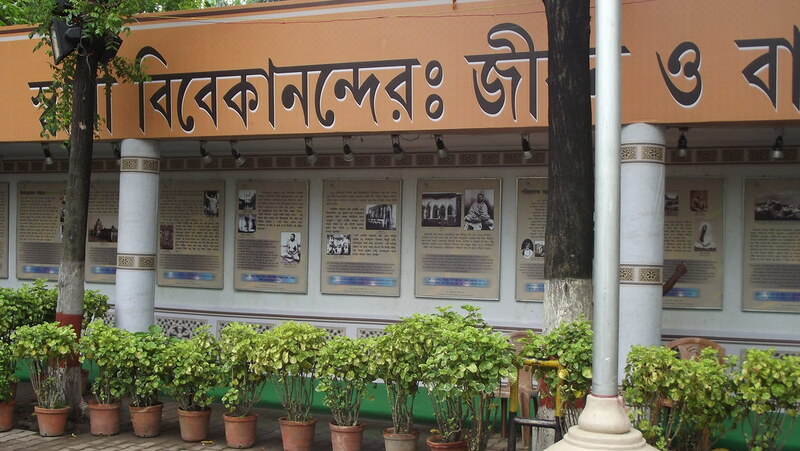 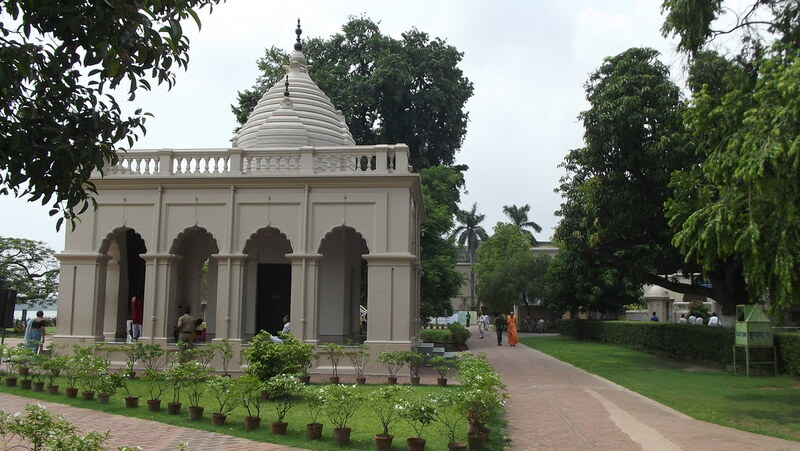 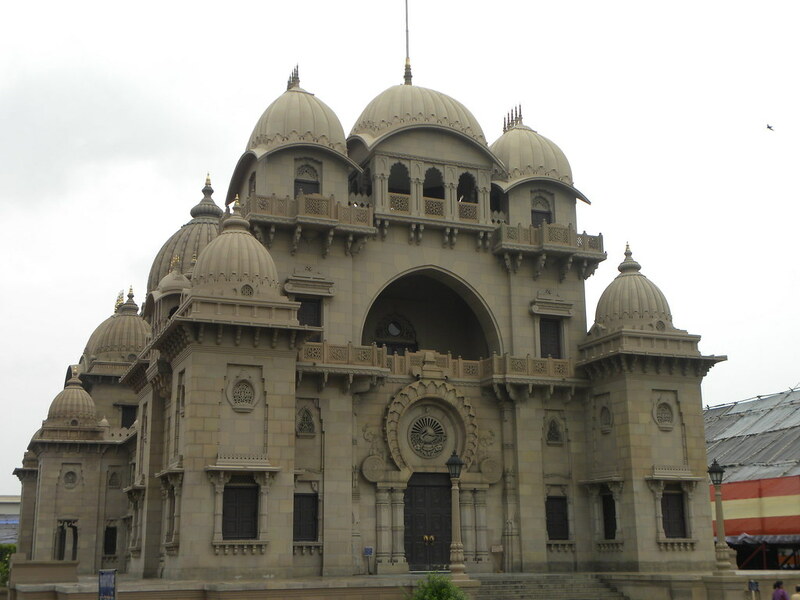 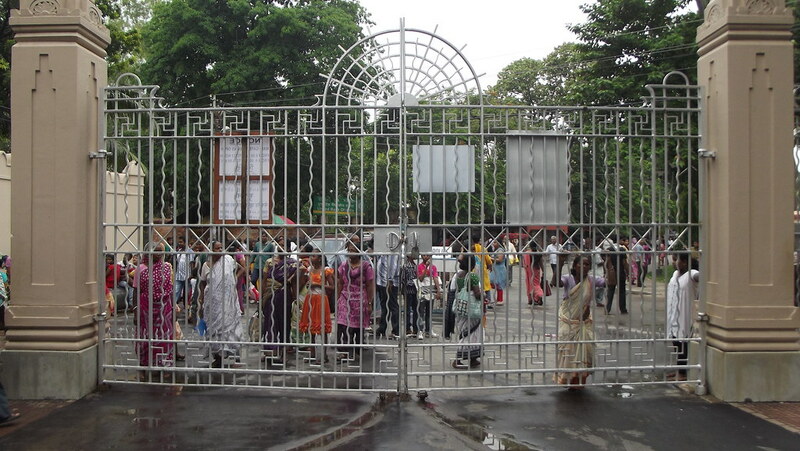 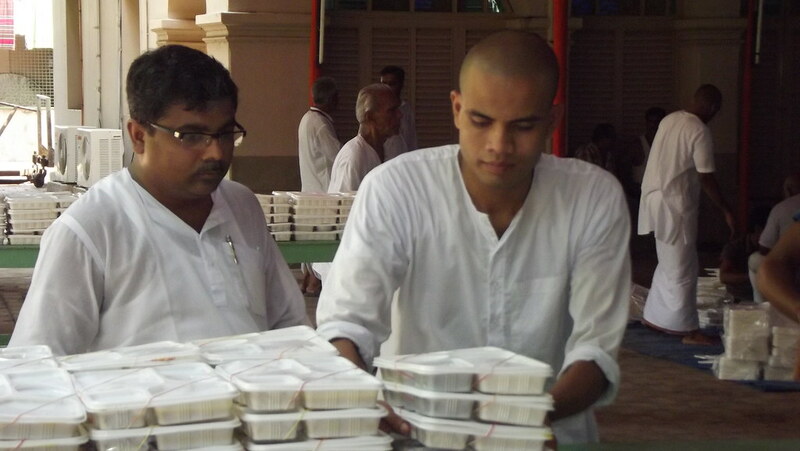 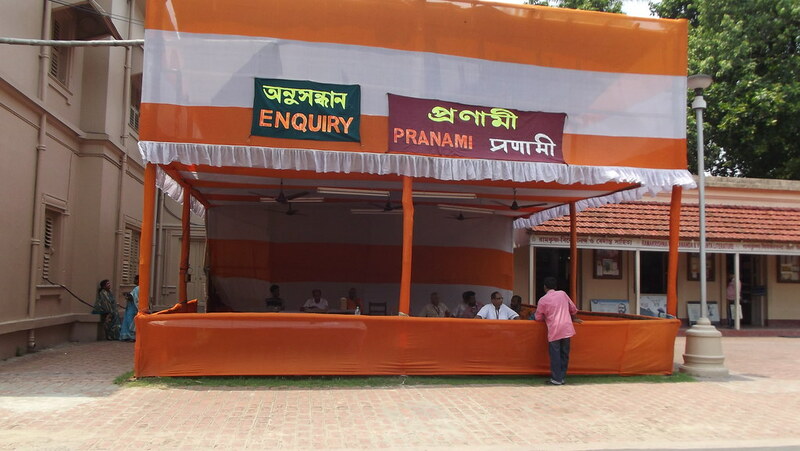 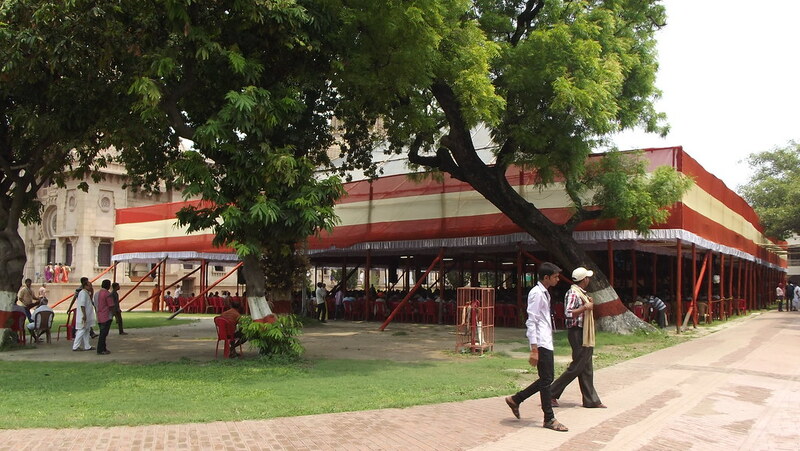 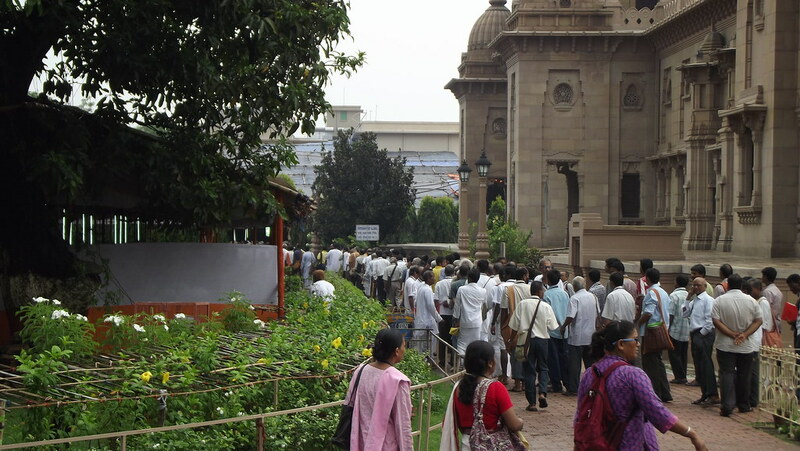 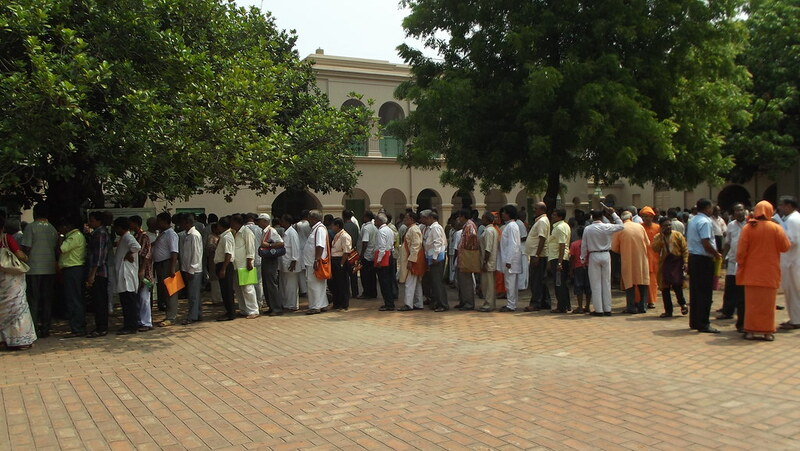 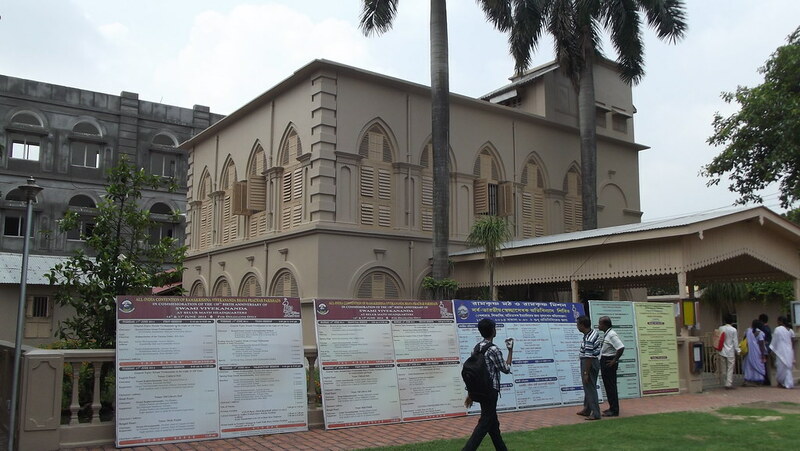 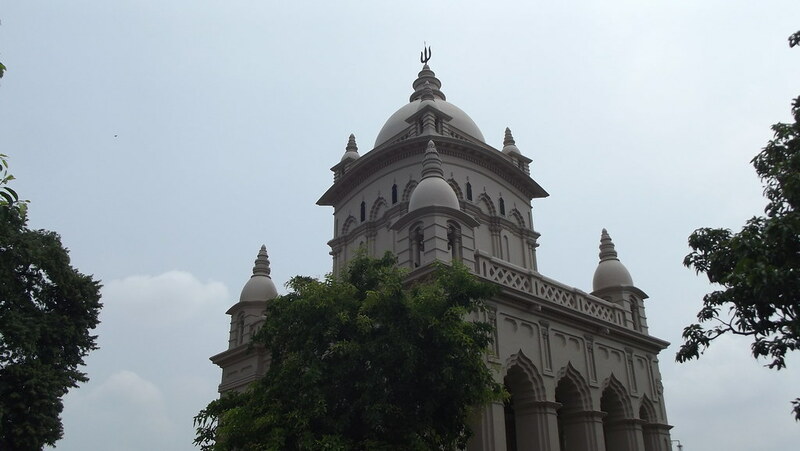 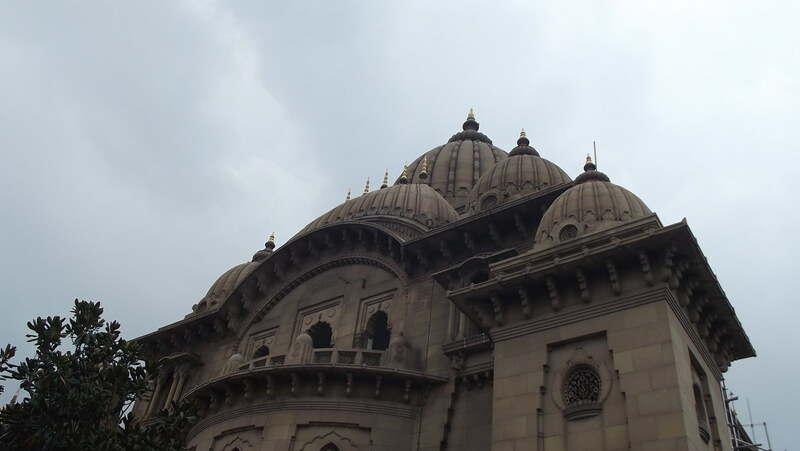 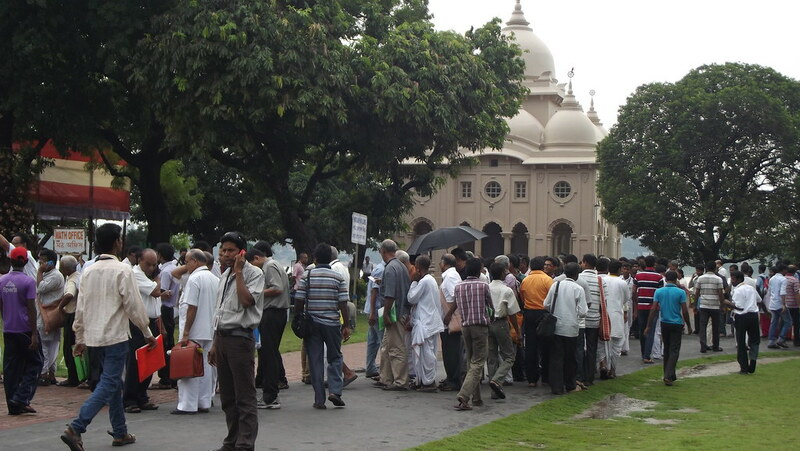 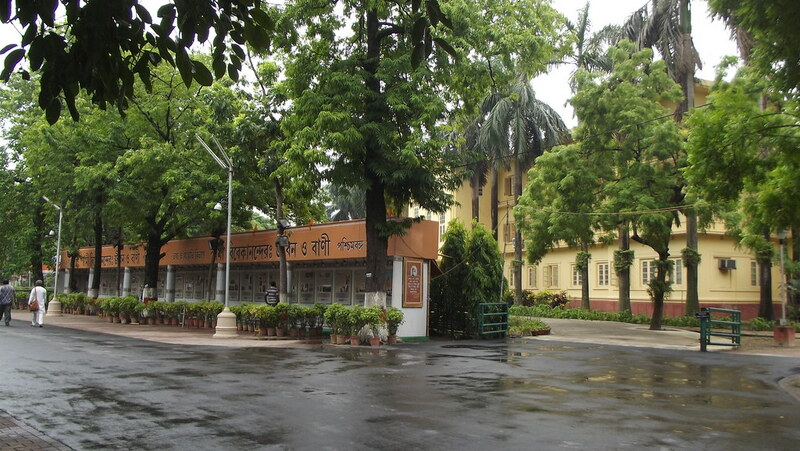 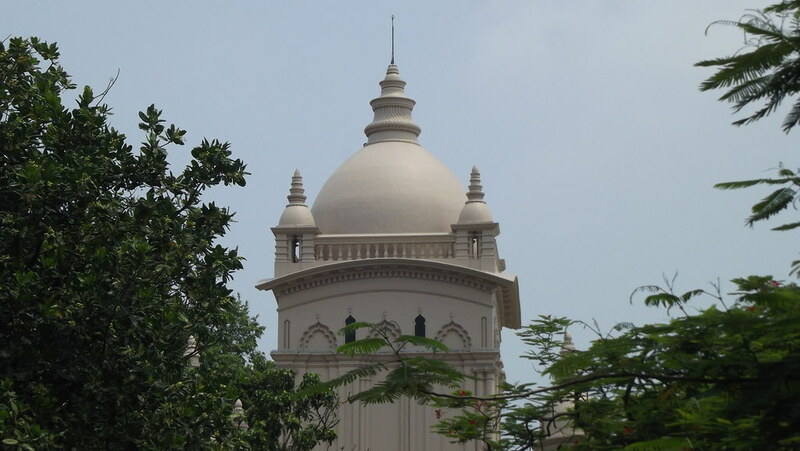 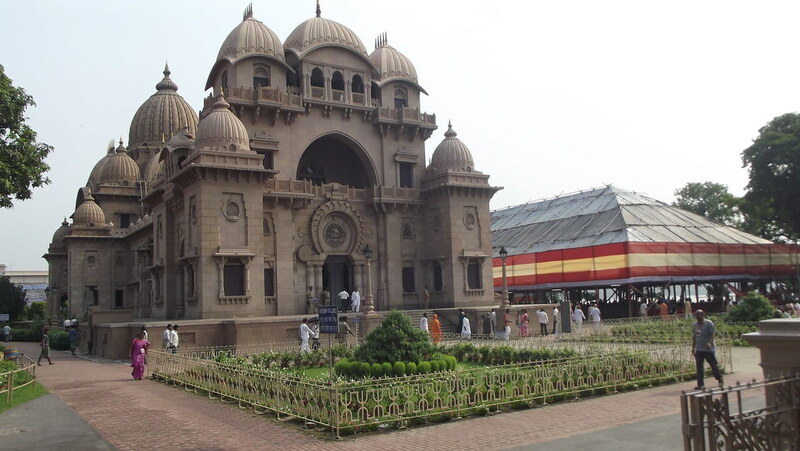 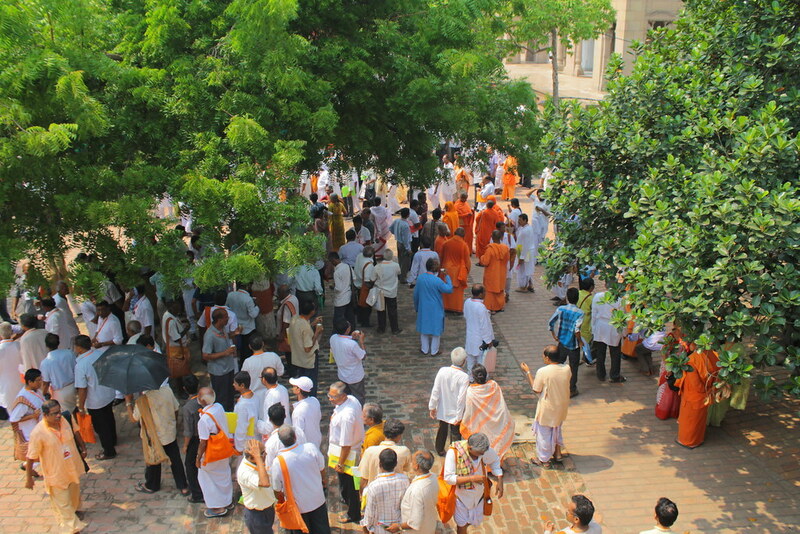 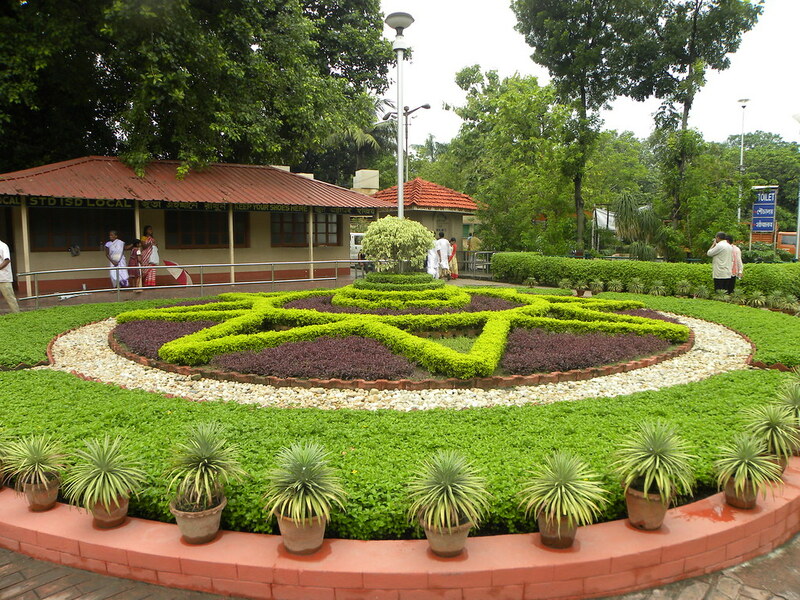 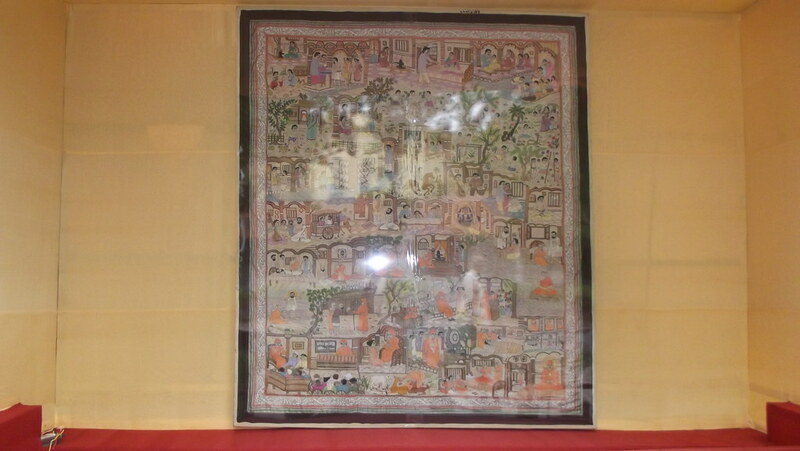 As such Ramakrishna Mission Dispensary ,with over a team of 30 doctors covering all specialties including medicine, cardiology, neurology, nephrology, psychiatry, pediatrics and gynecology, catering to all segments of society in general and the poor man in particular , with full range of diagnostic services including X-ray, ECG, ECHO, Ultrasound , auto analyzer and cell counter, has been very popular and has been able to create belief and faith in the mind of the patients and common man, which is what Medical treatment is all about. 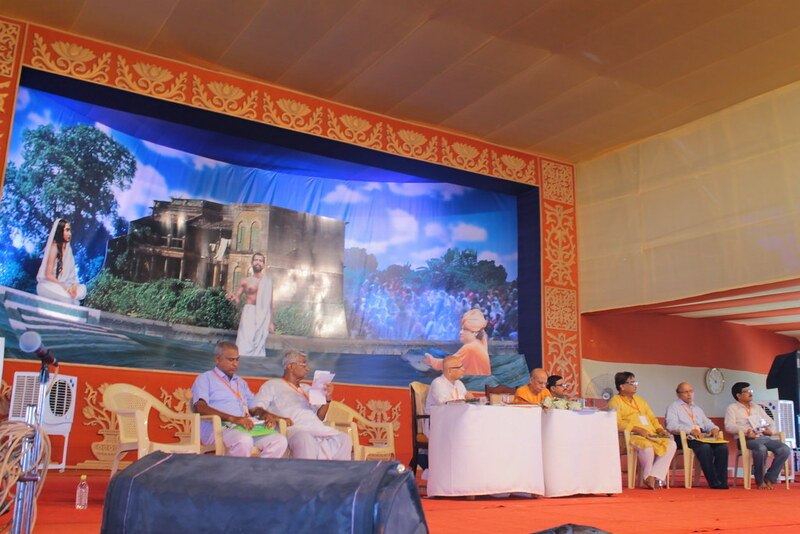 Dr K .Suryanarayana, a prominent and a senior most Physician in RJY, as well as one of the founder members of this YAGNA of tribal medical service, spoke at length on the medical related activities at Rampachodavaram, a tribal village. 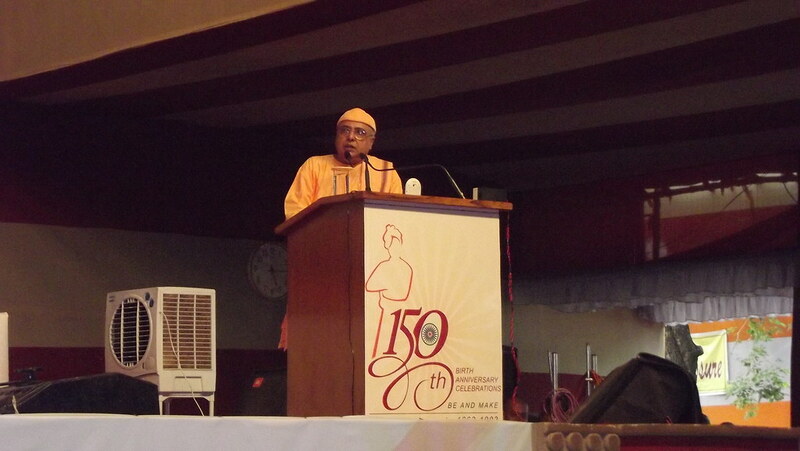 He explained how in early 1980s , the tribal medical dispensary started as a small centre gradually went onto expand with many sub centers in the tribal region ,with each unit equipped with mobile x ray unit as well as facilities for lab tests. 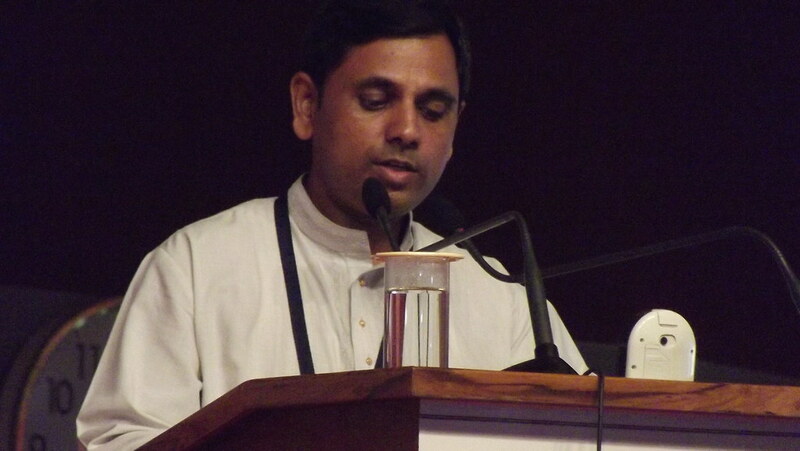 Dr K. Suryanarayana shared his experiences with the tribal patients; how rampant the disease TB was, and the ignorance, malnutrition and the associated fears that the people harbored.. 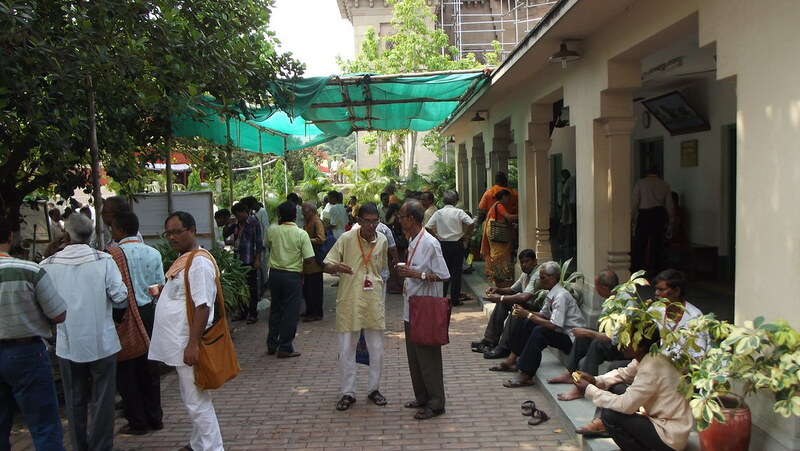 Initially in the 1980s more than 70% patients had TB. 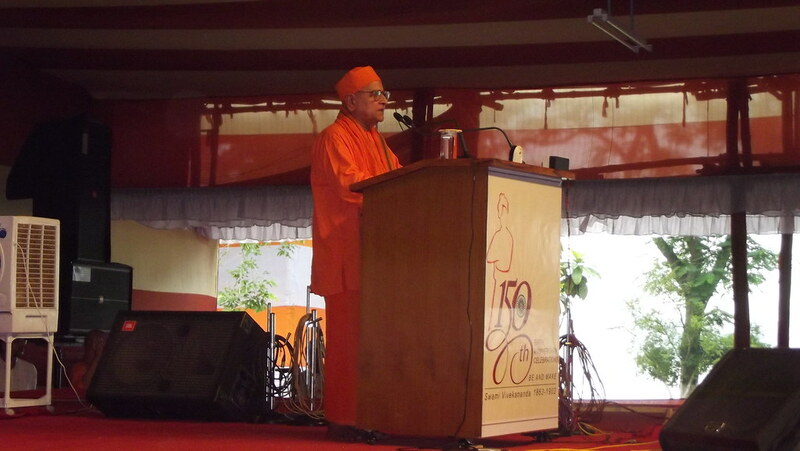 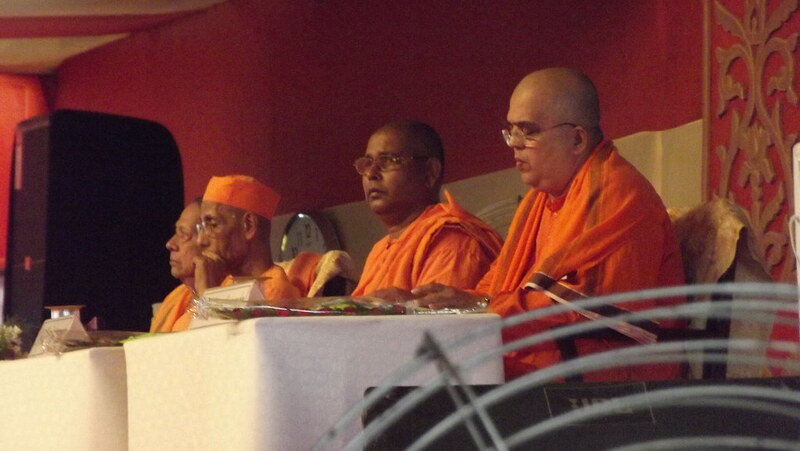 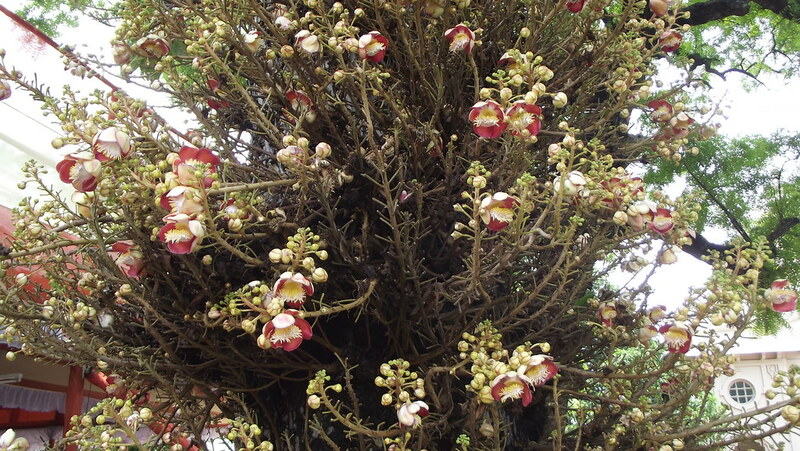 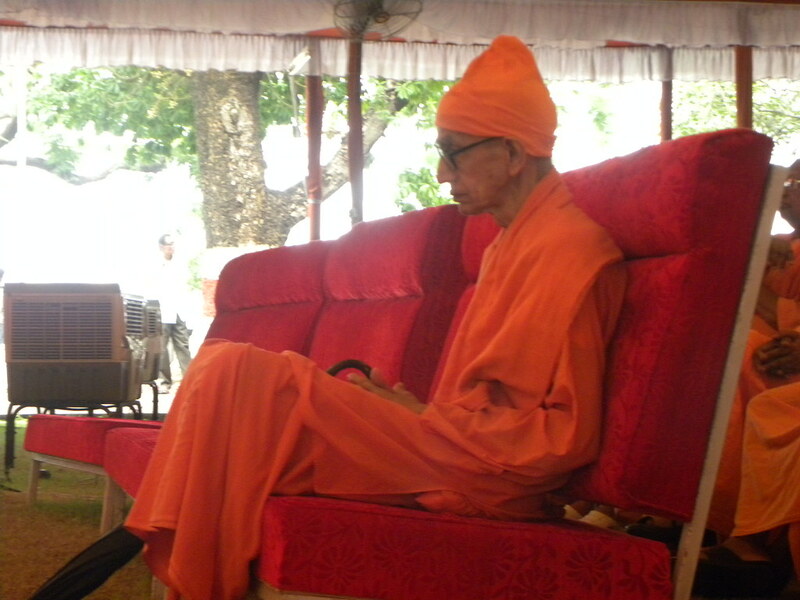 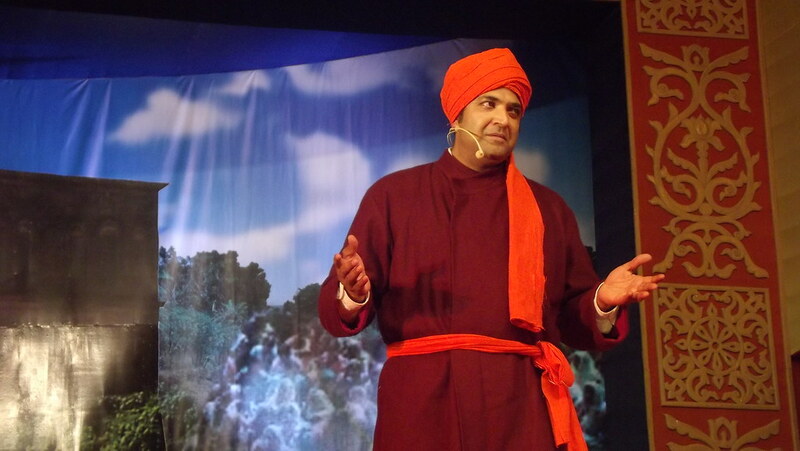 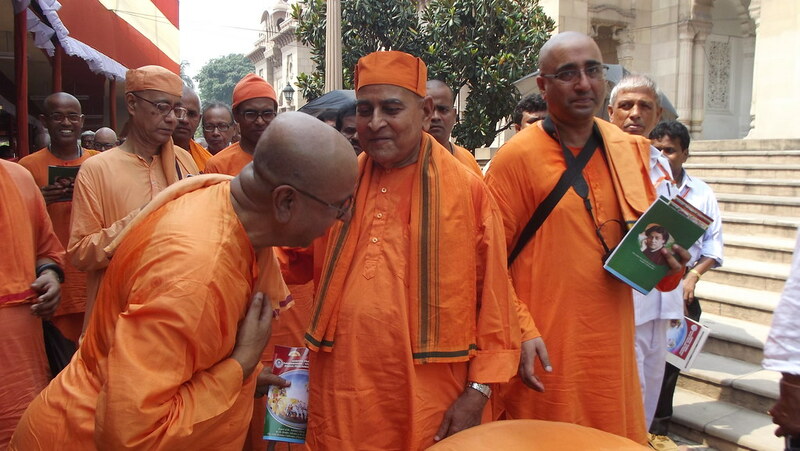 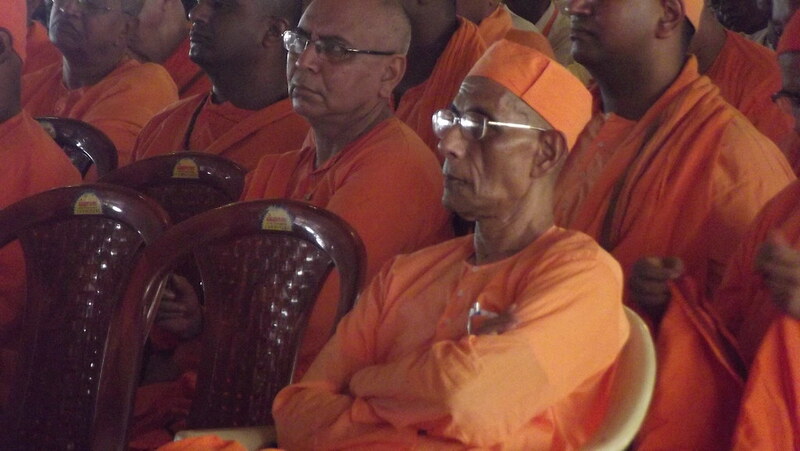 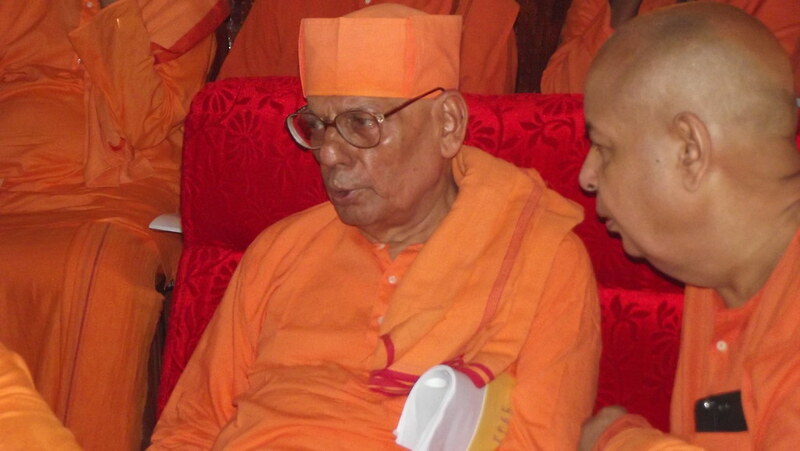 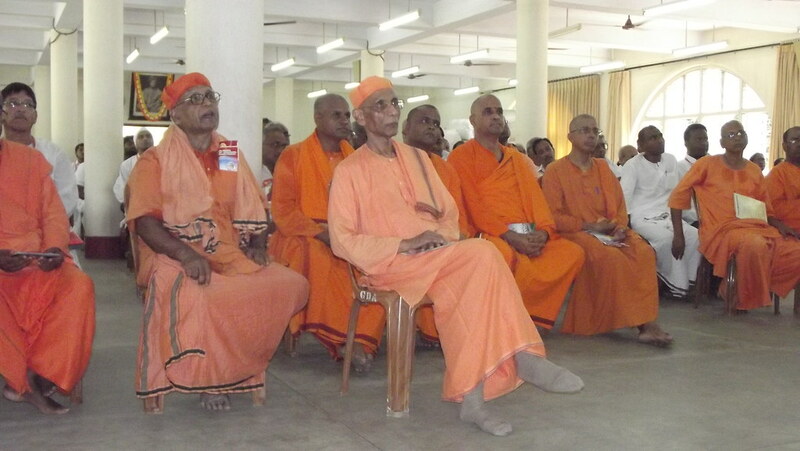 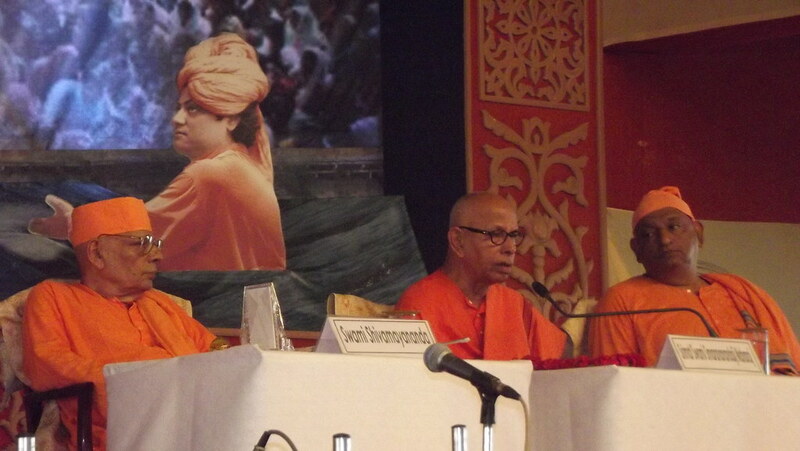 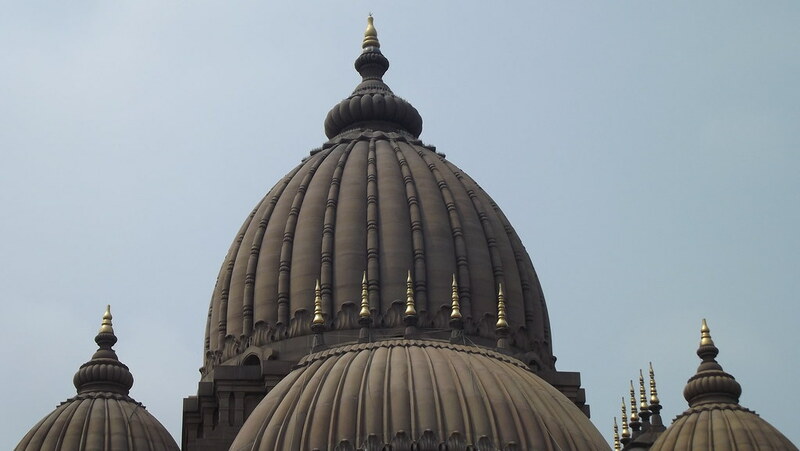 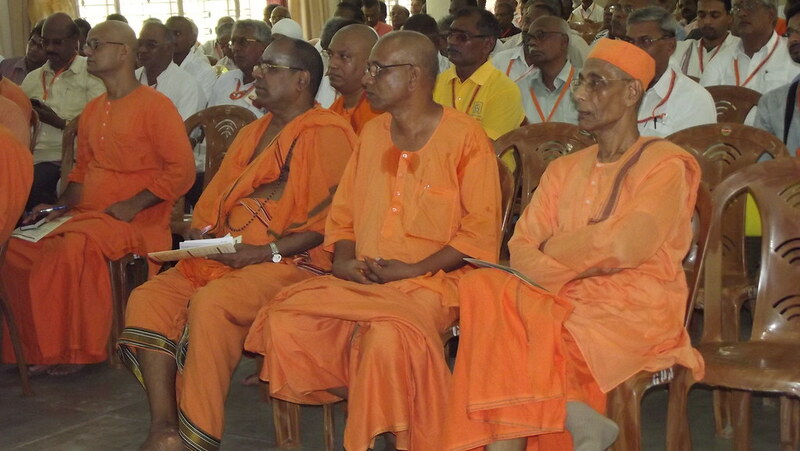 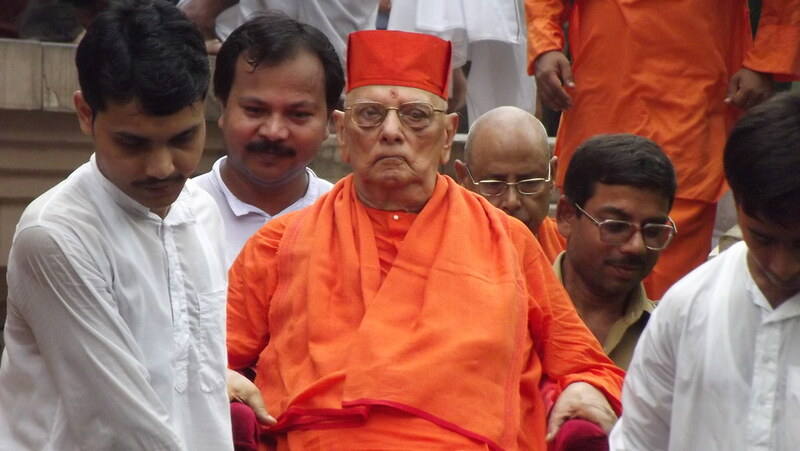 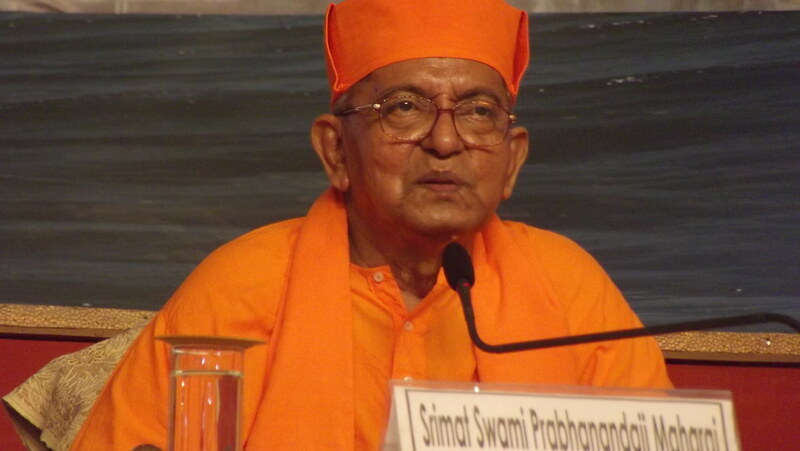 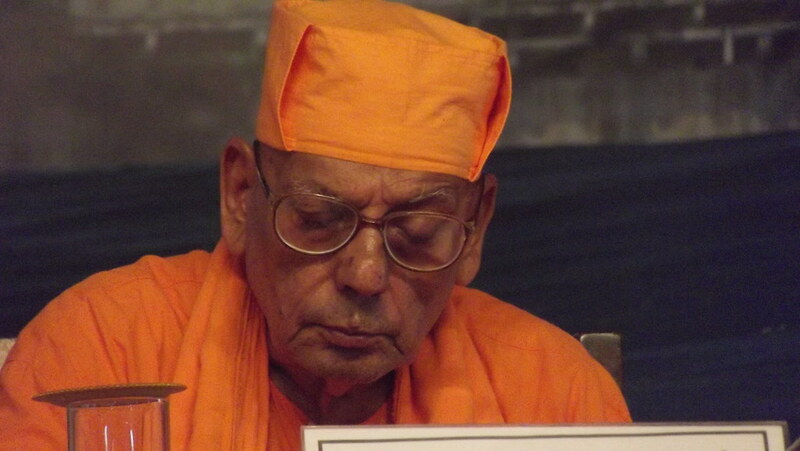 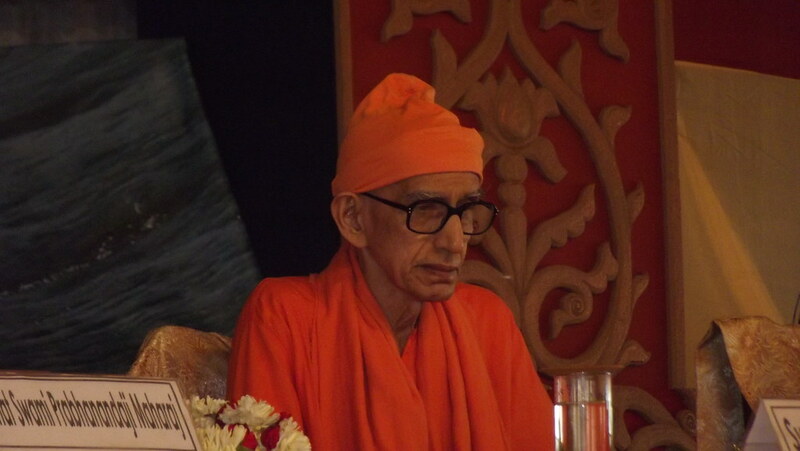 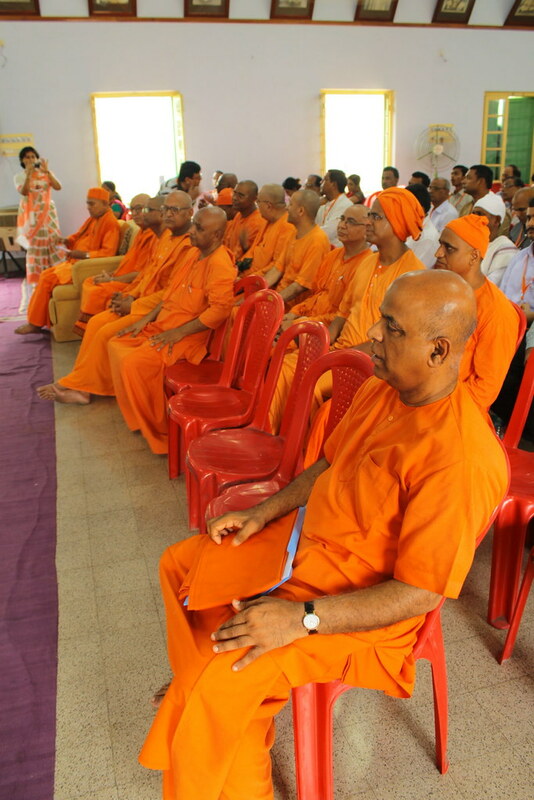 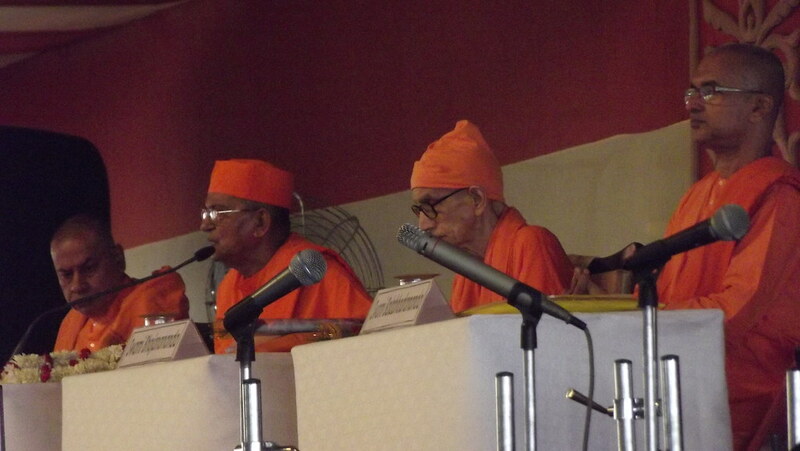 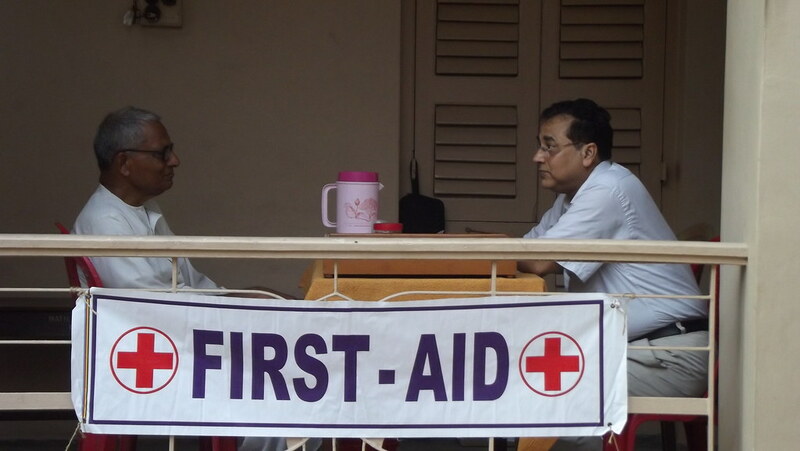 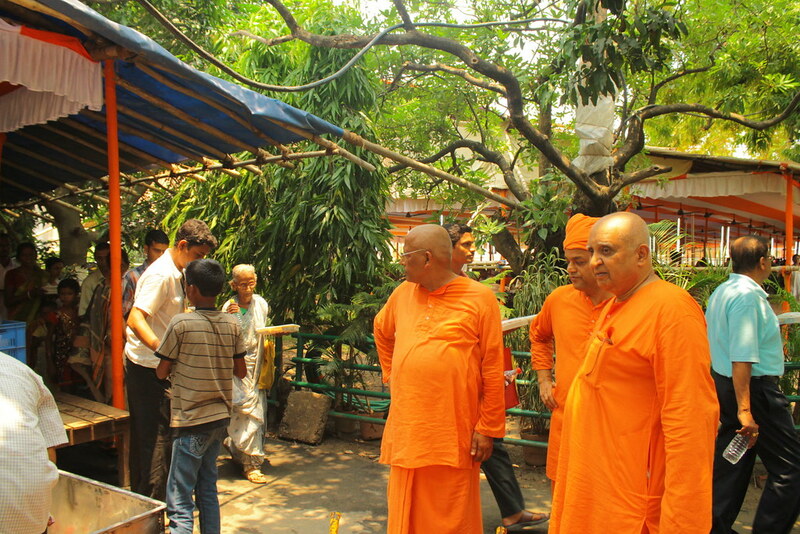 Over the years, due to active intervention and increased awareness levels , spread through the untiring efforts of RK Mission Swamijis and team of doctors , it was felt that the efforts have borne fruit and the disease has come down to a great extent. 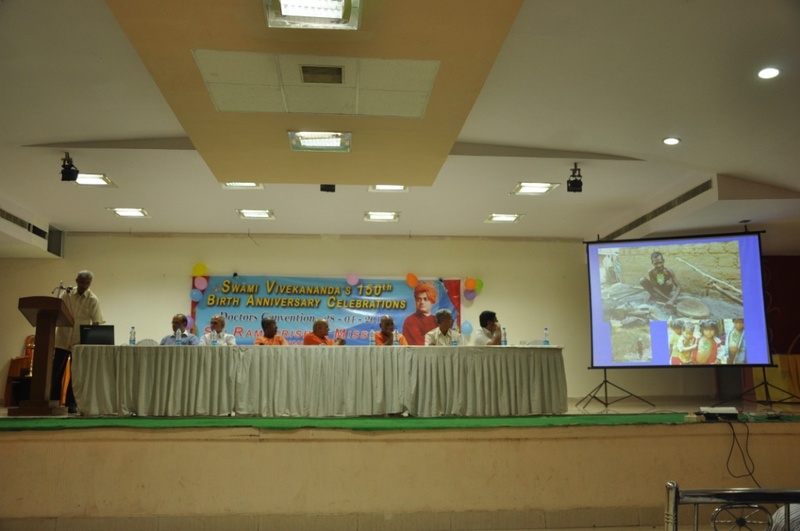 The Doctors recalled how initially with just two doctors and a few paramedical staff the tribal camps were started and how it has now reached the present stage wherein a full-fledged team takes care of the tribal patients 4 days in a week, with a special camp every month and a maha mega camp involving all specialties every 4 months. 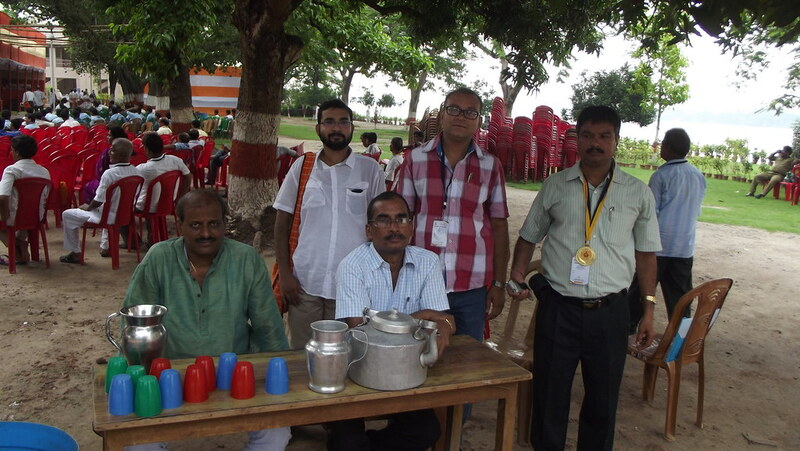 These medical camps have been immensely popular with the tribes, and on an average close to 1000 patients attend every camp. 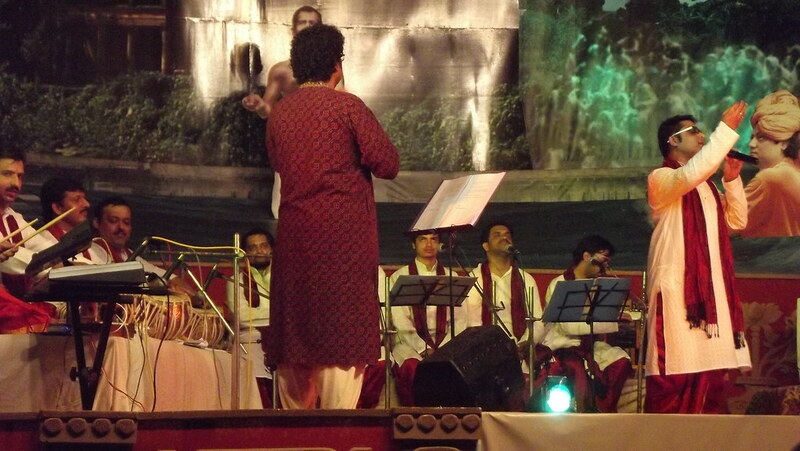 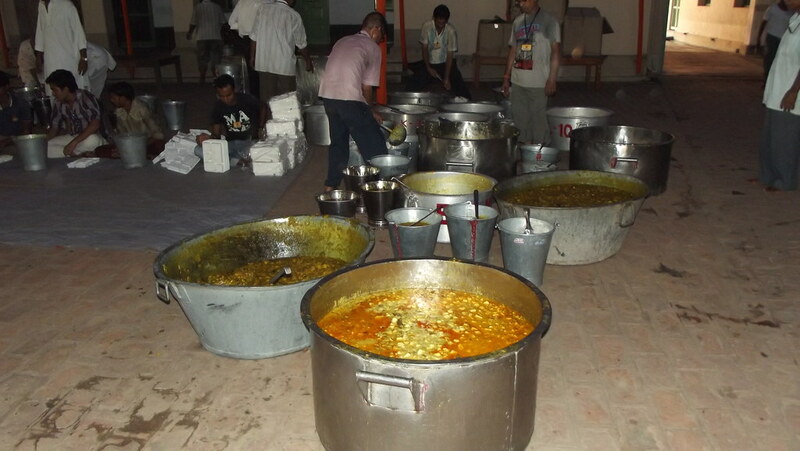 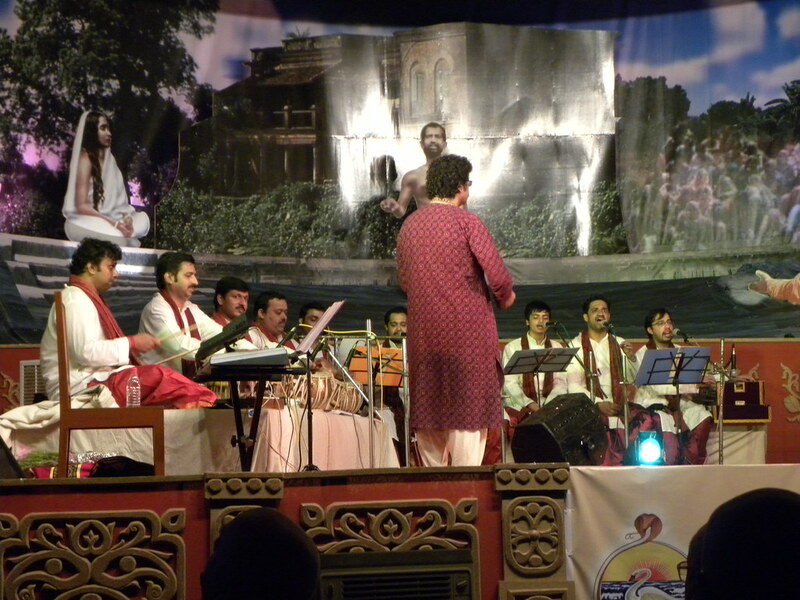 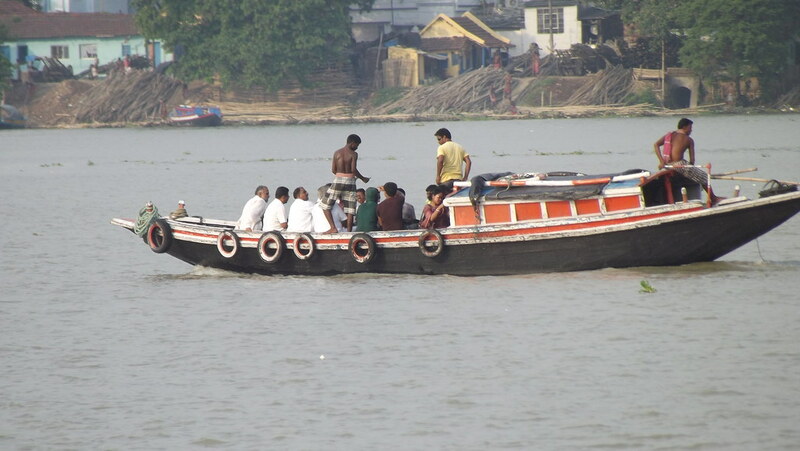 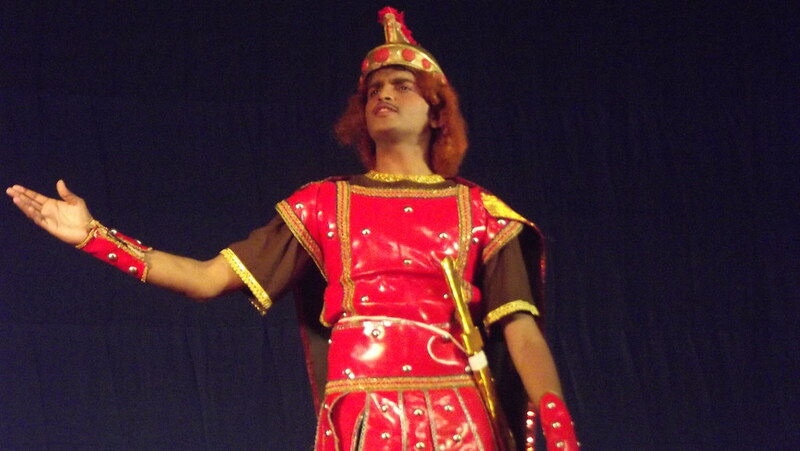 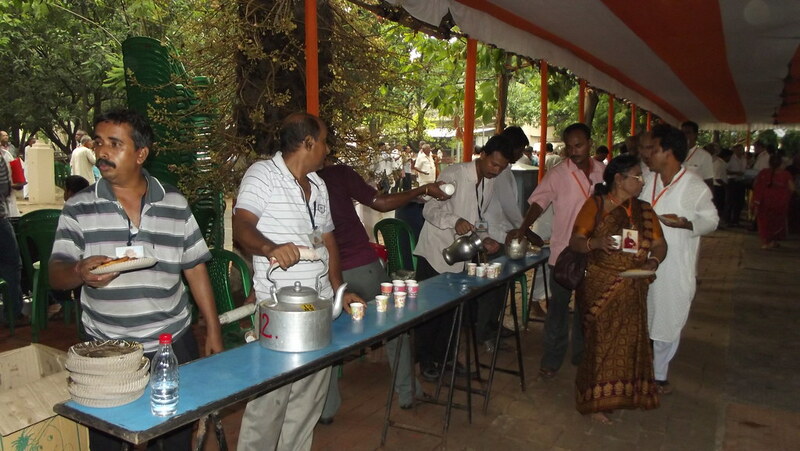 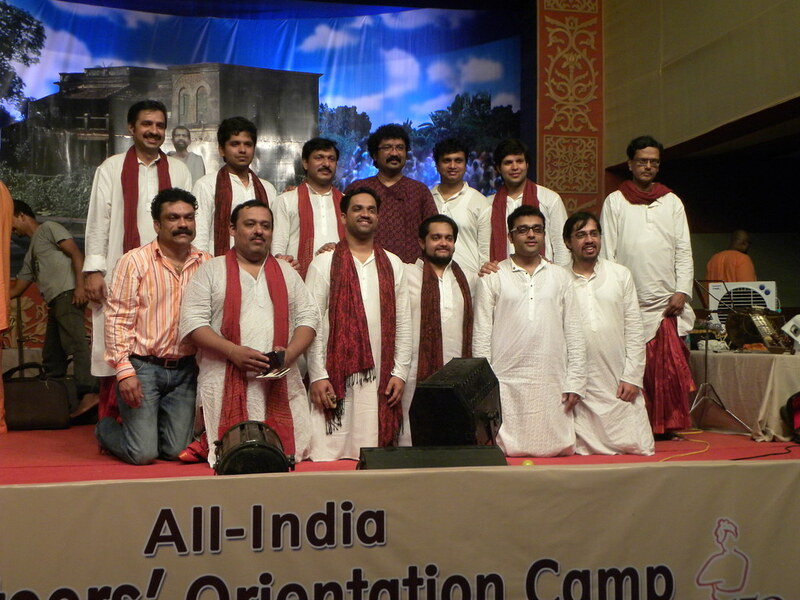 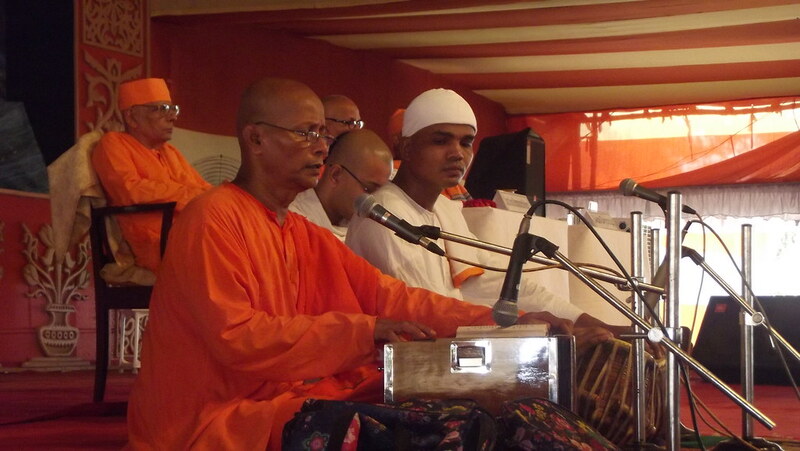 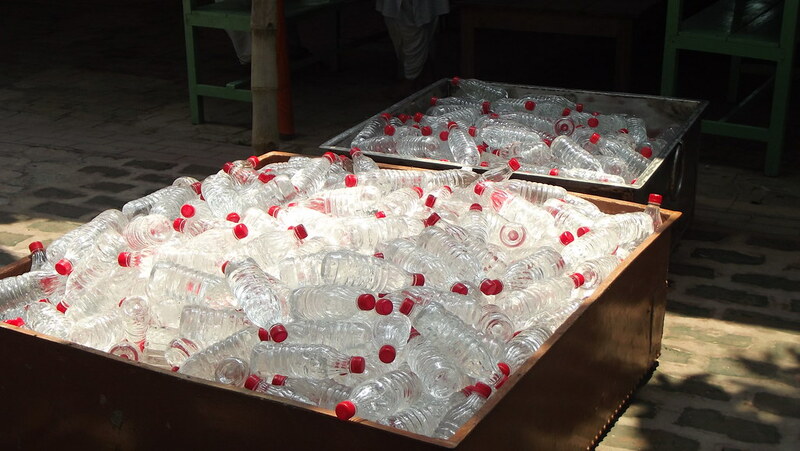 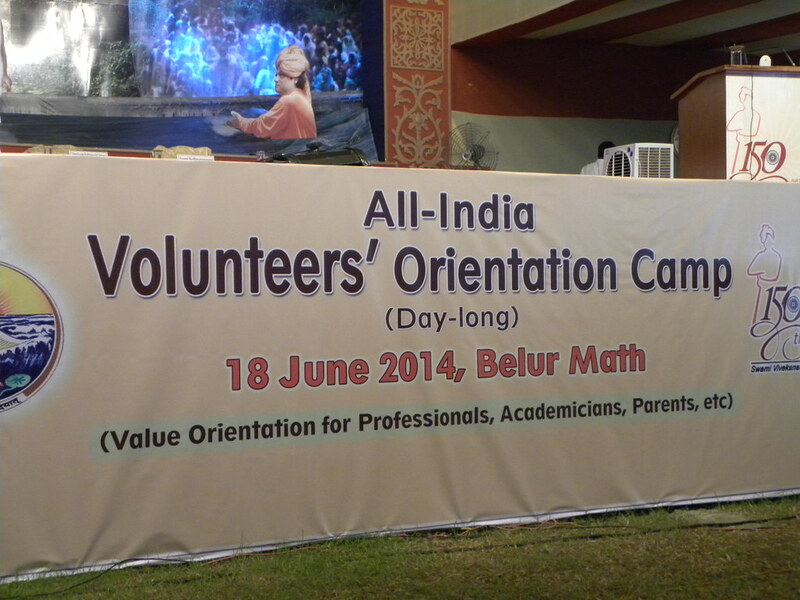 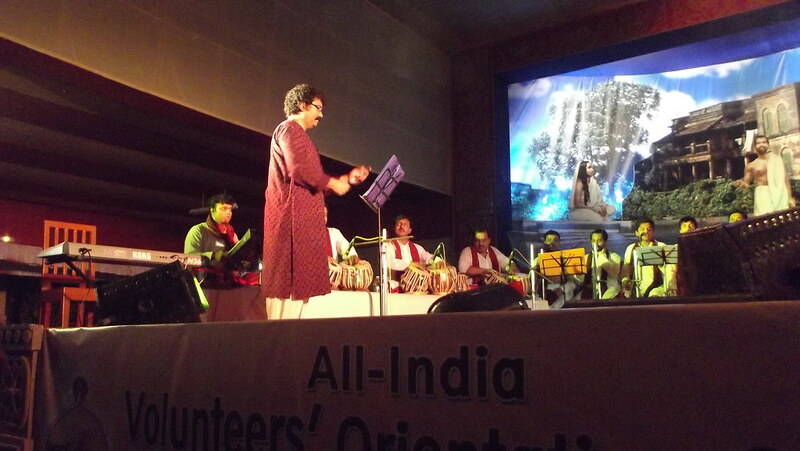 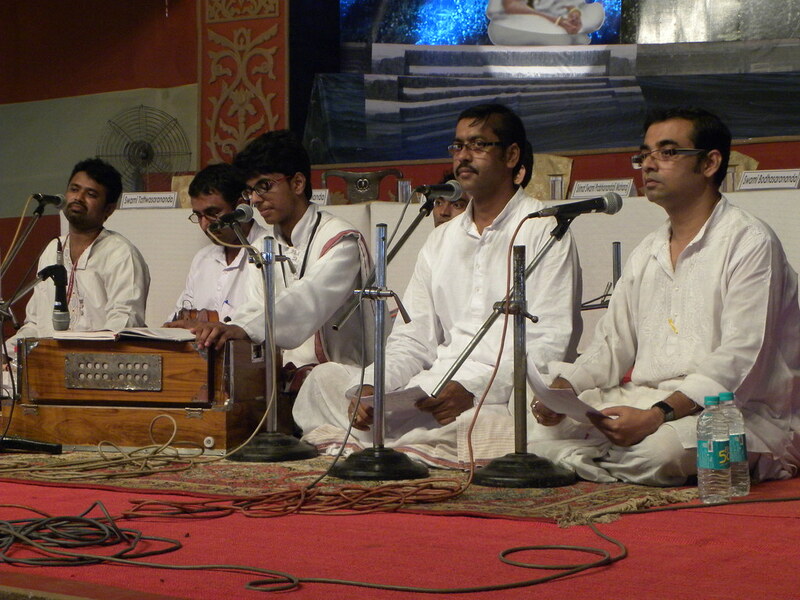 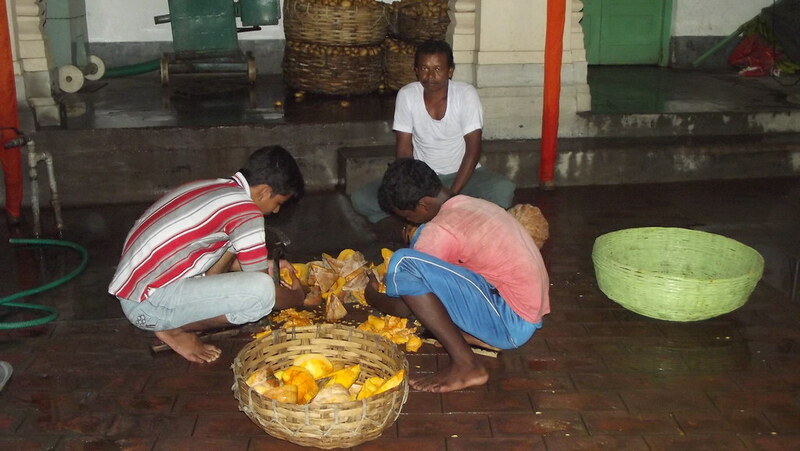 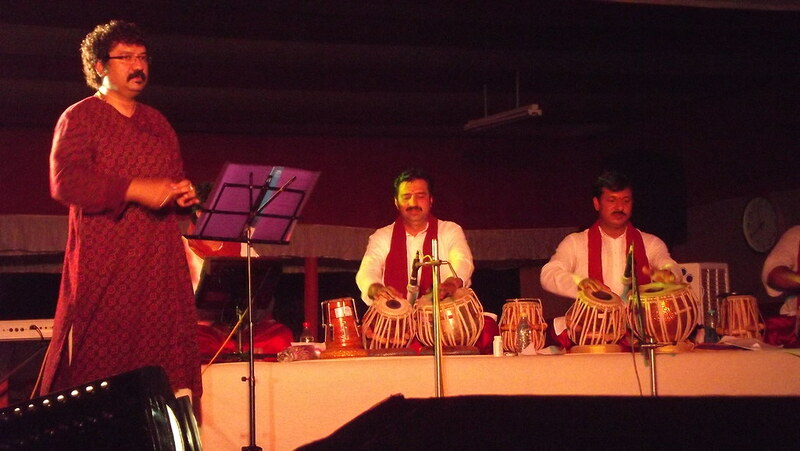 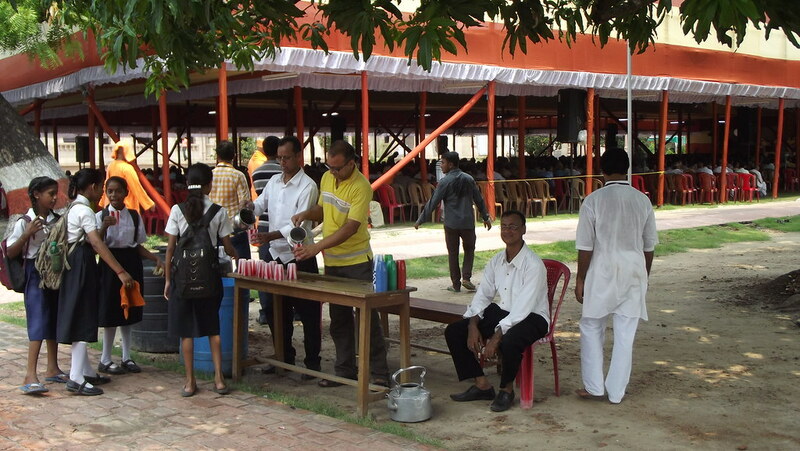 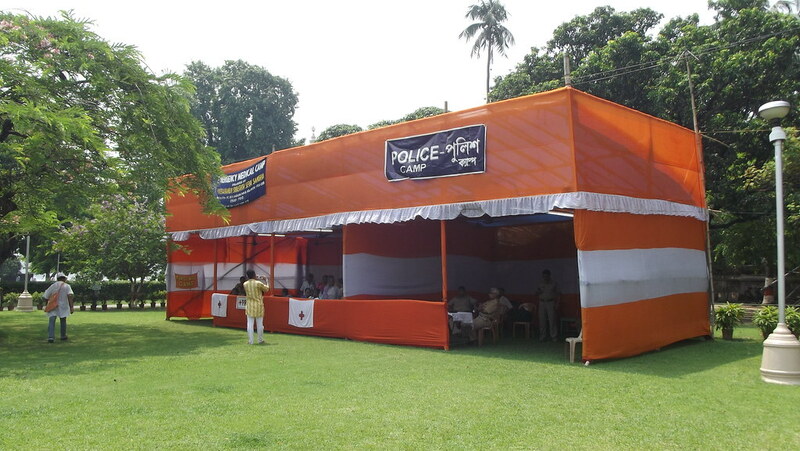 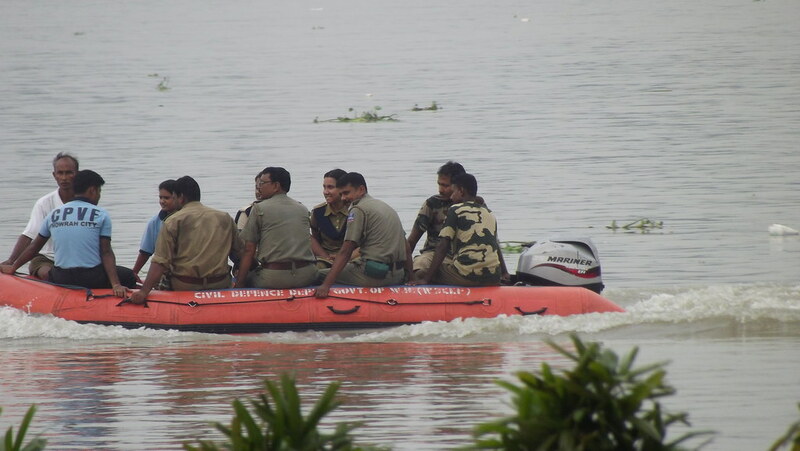 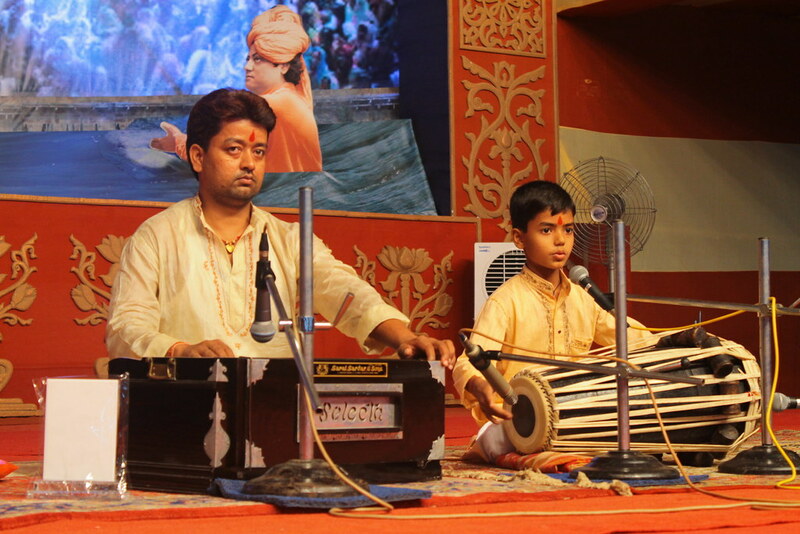 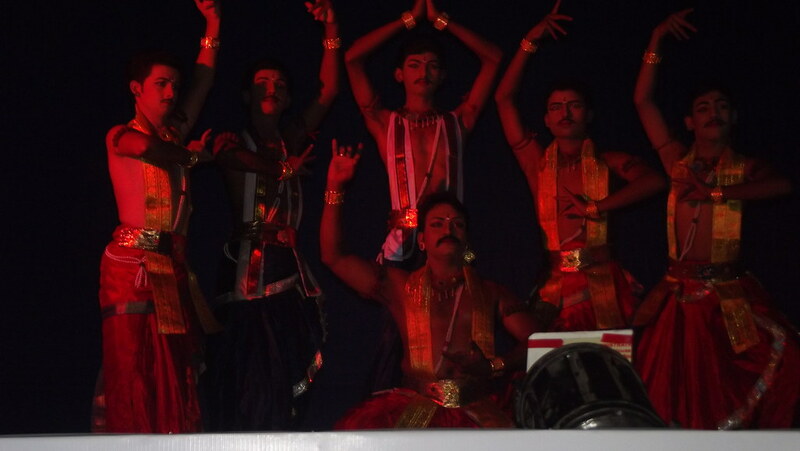 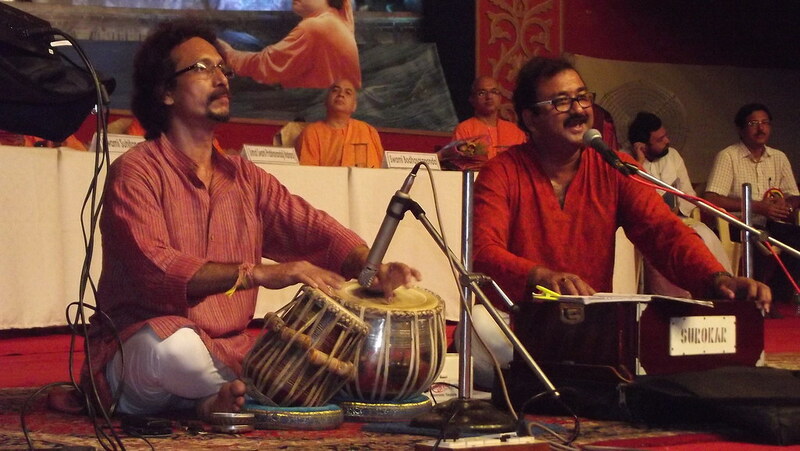 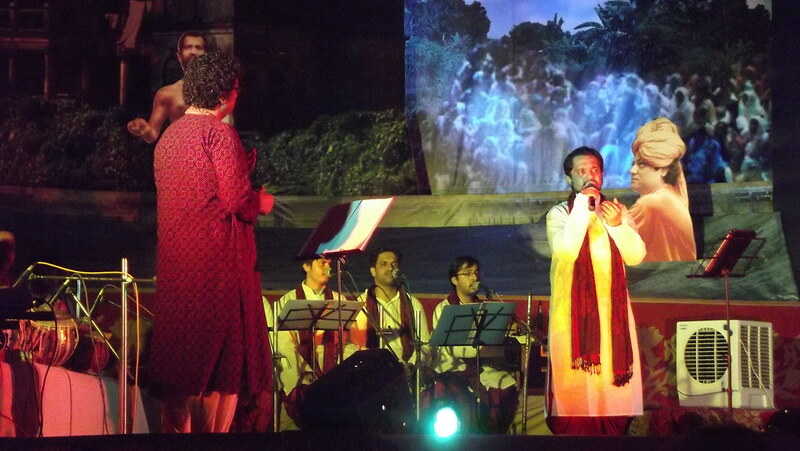 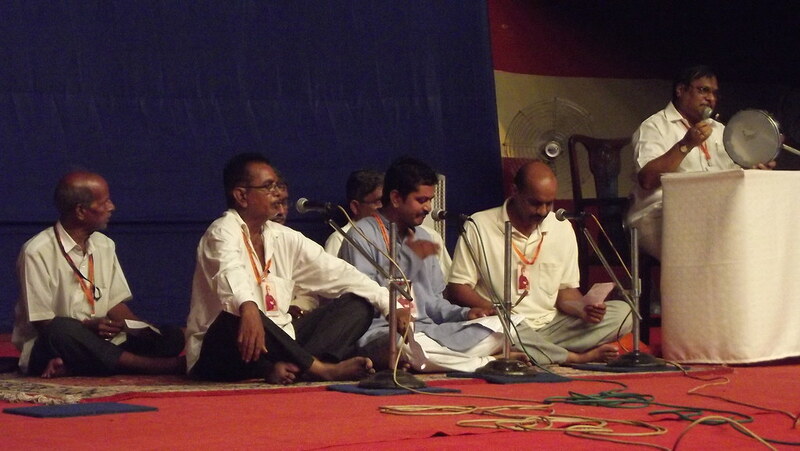 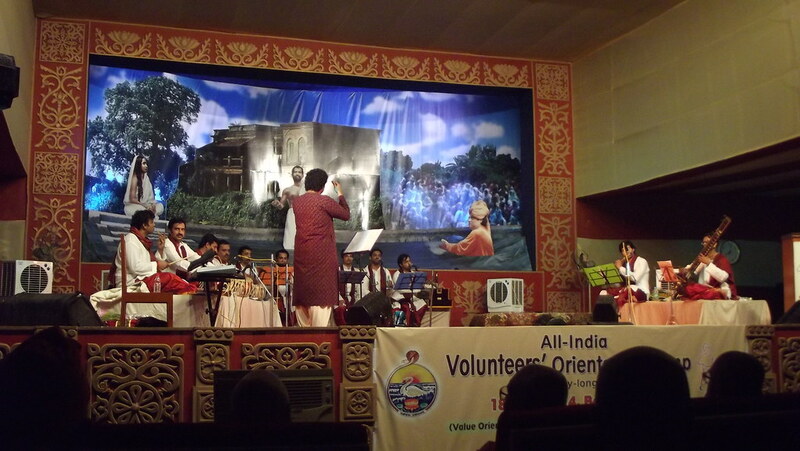 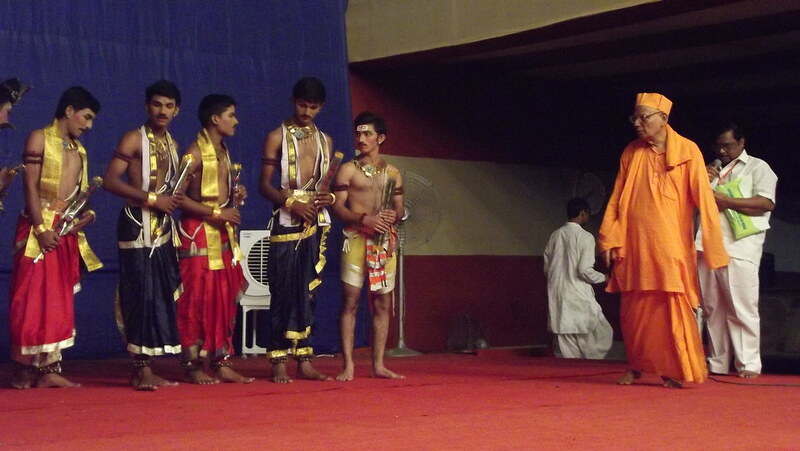 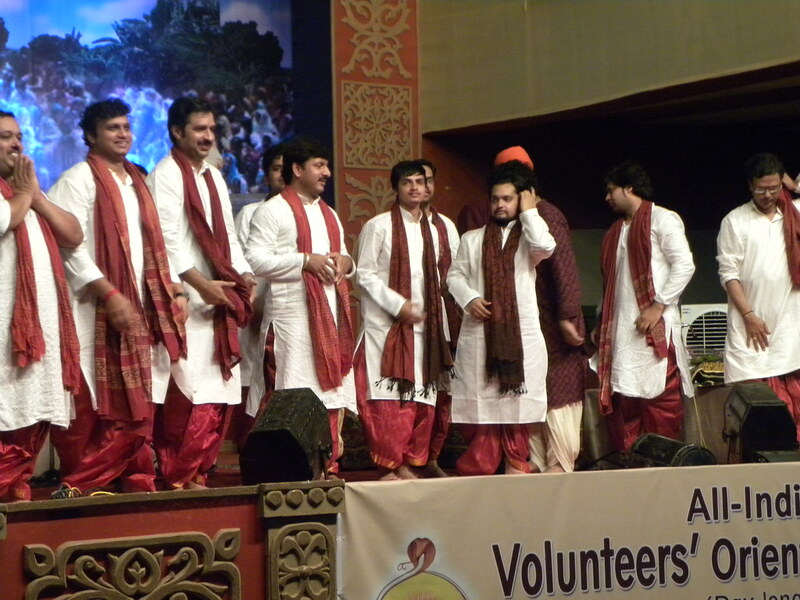 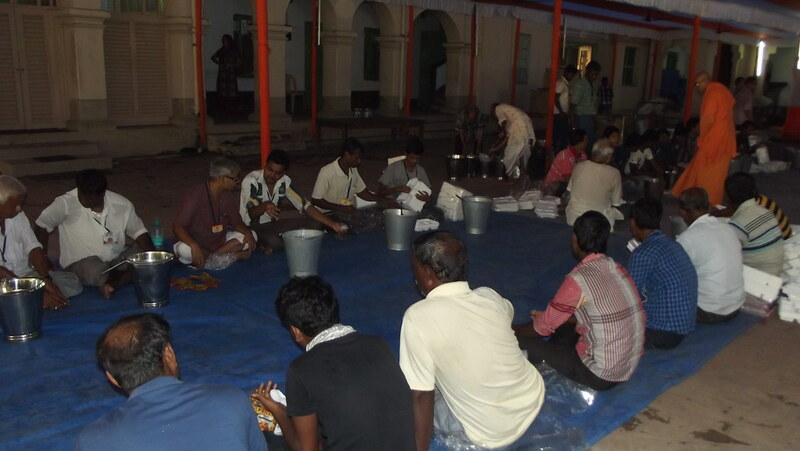 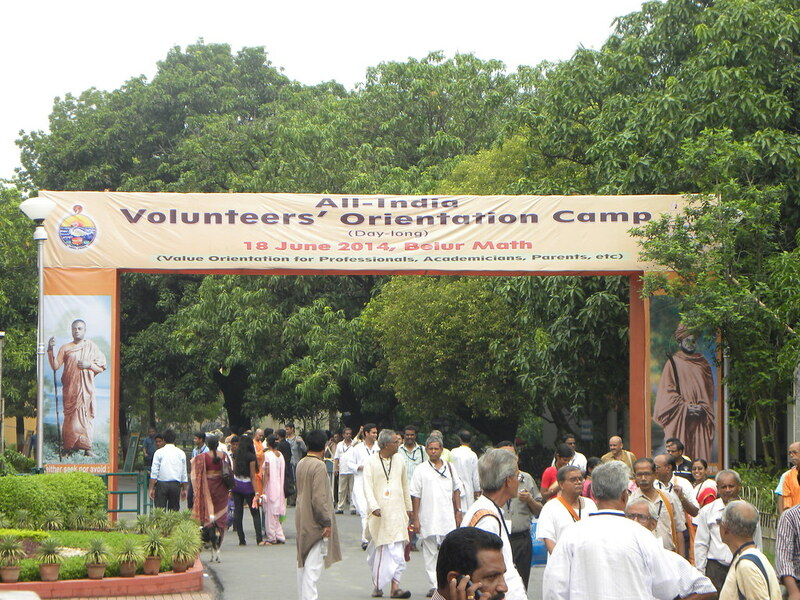 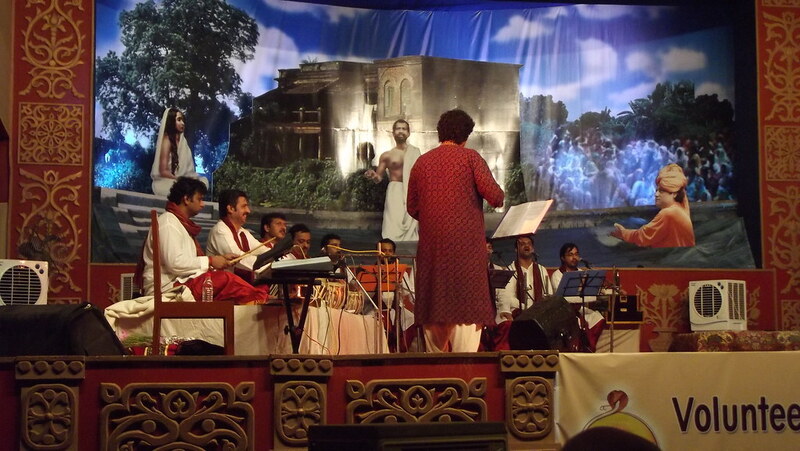 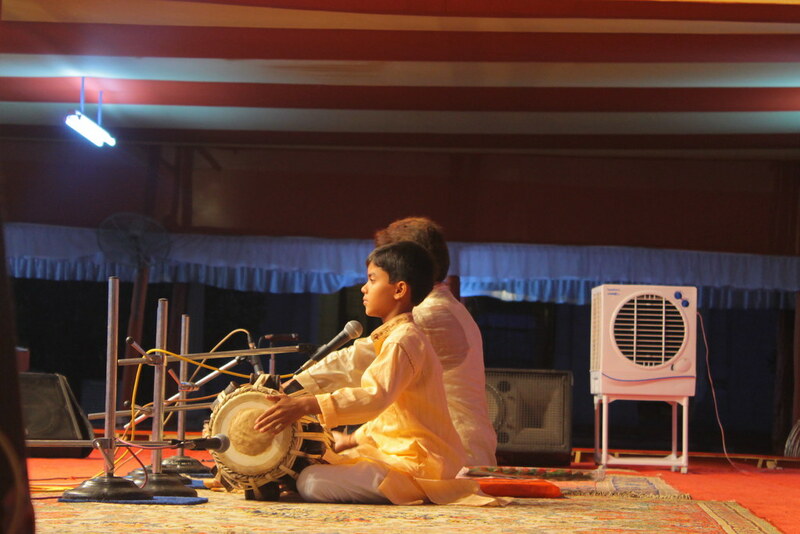 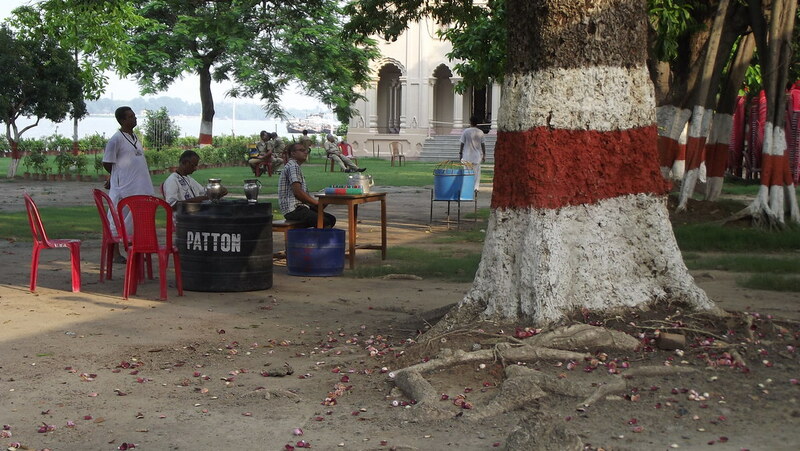 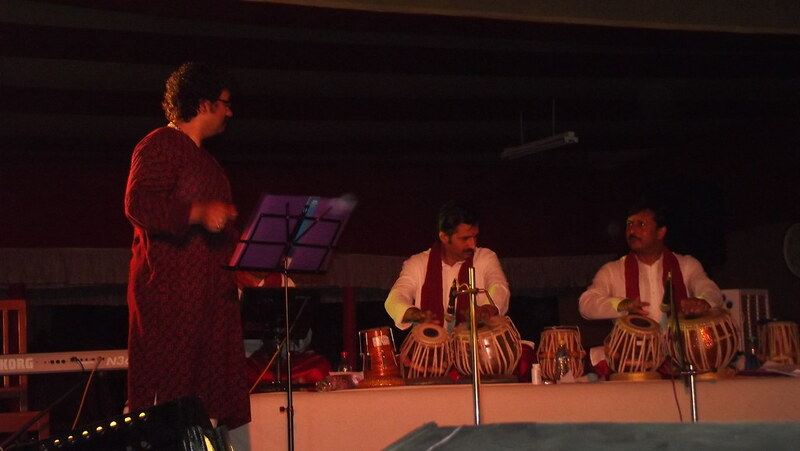 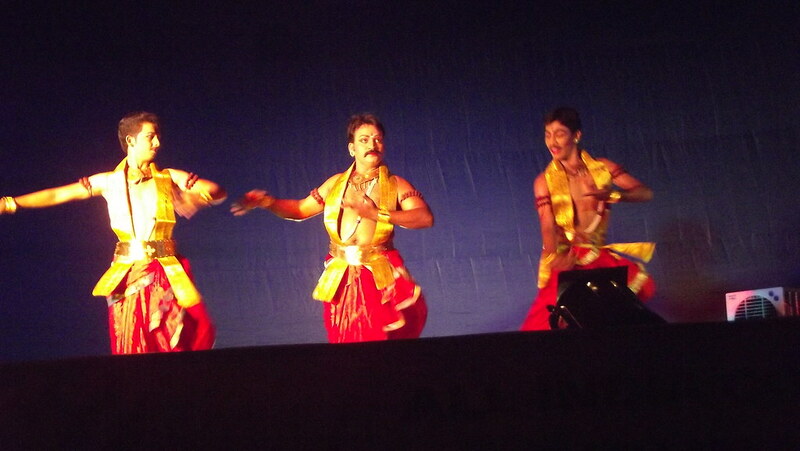 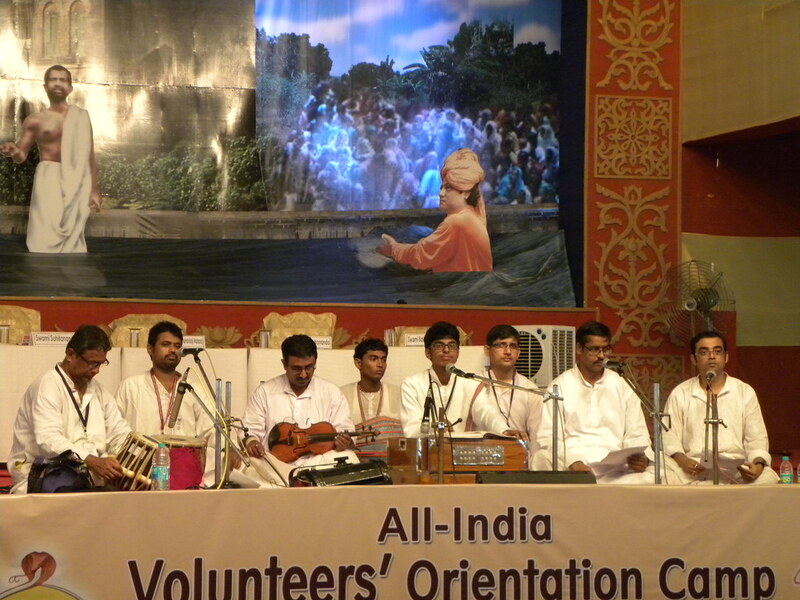 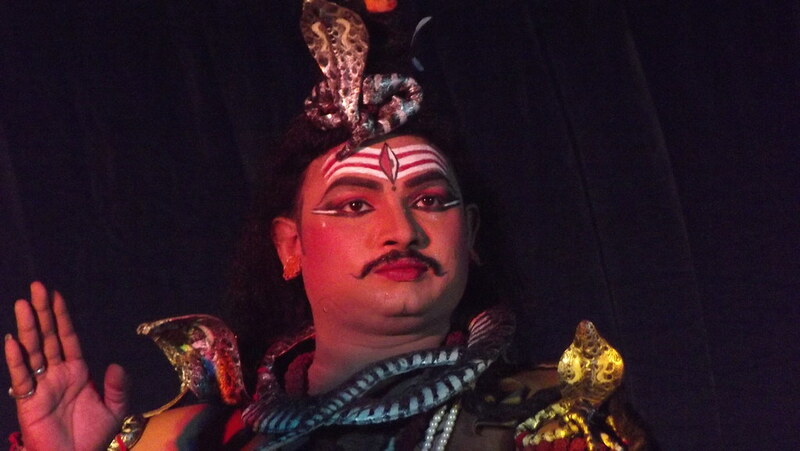 (These camps also provide an opportunity for the youth to act as volunteers and enhance their awareness.) 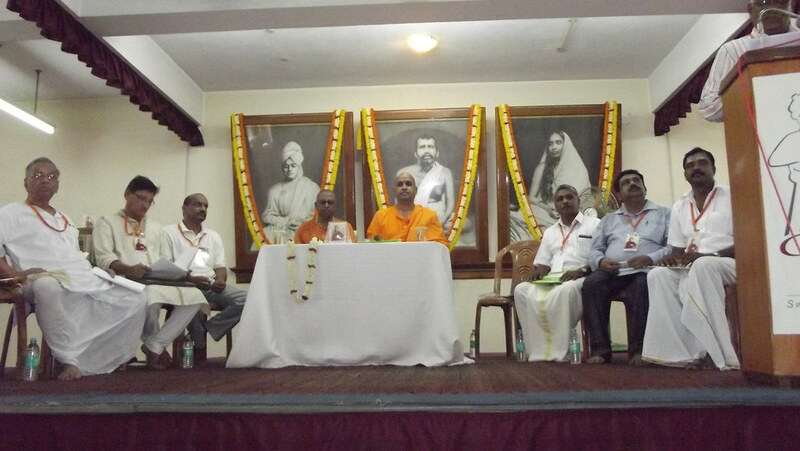 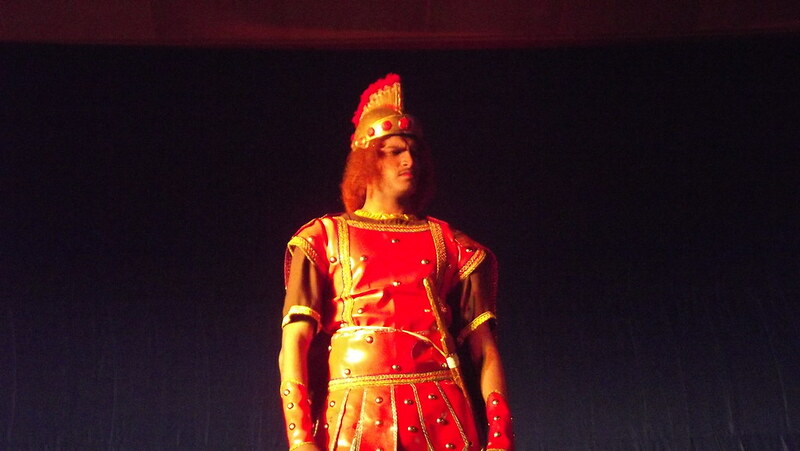 The convention was well attended. 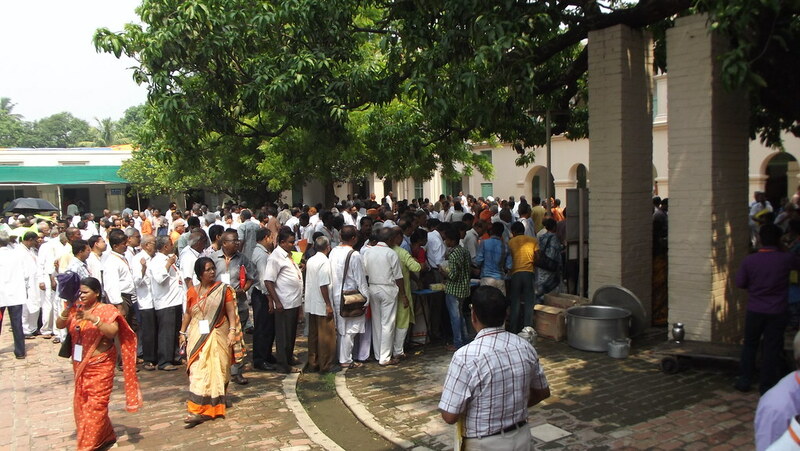 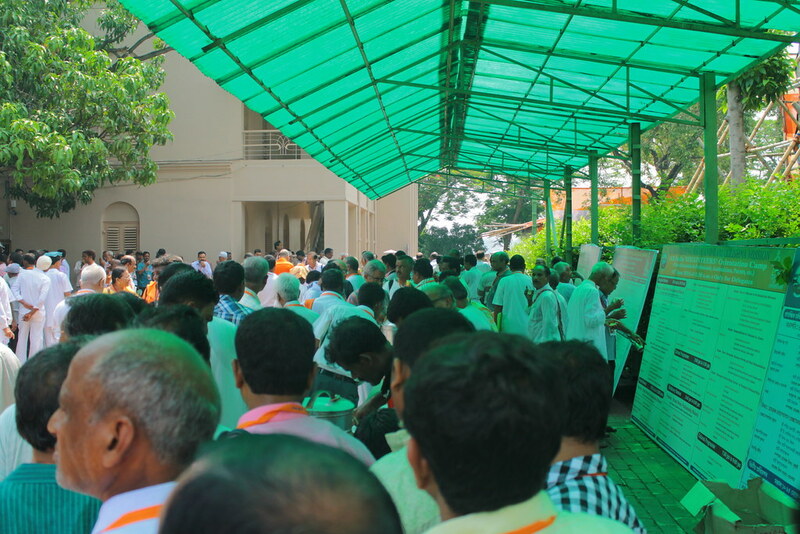 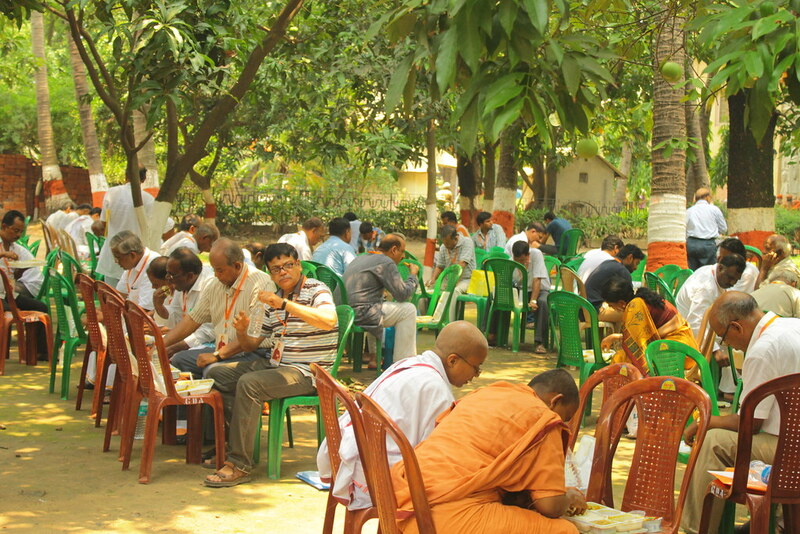 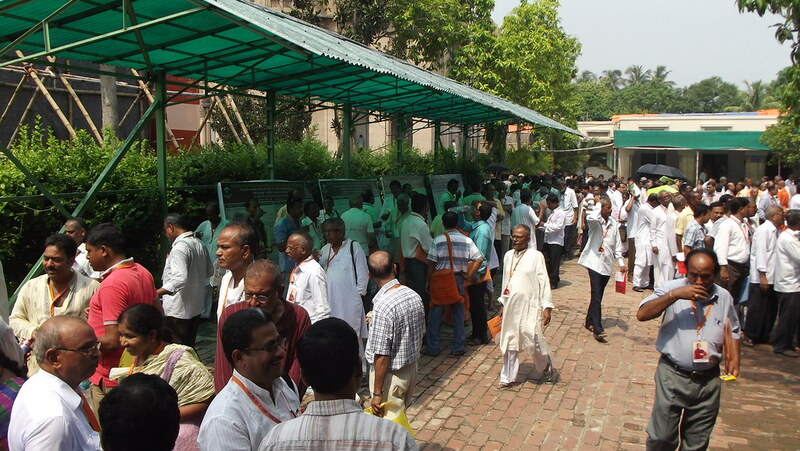 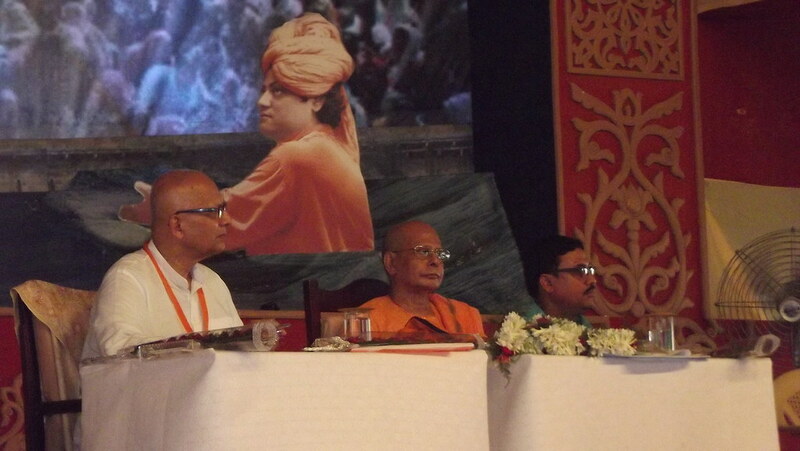 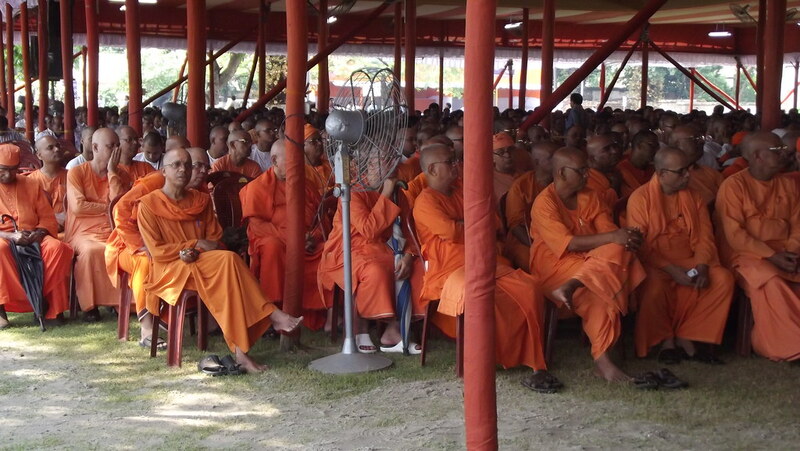 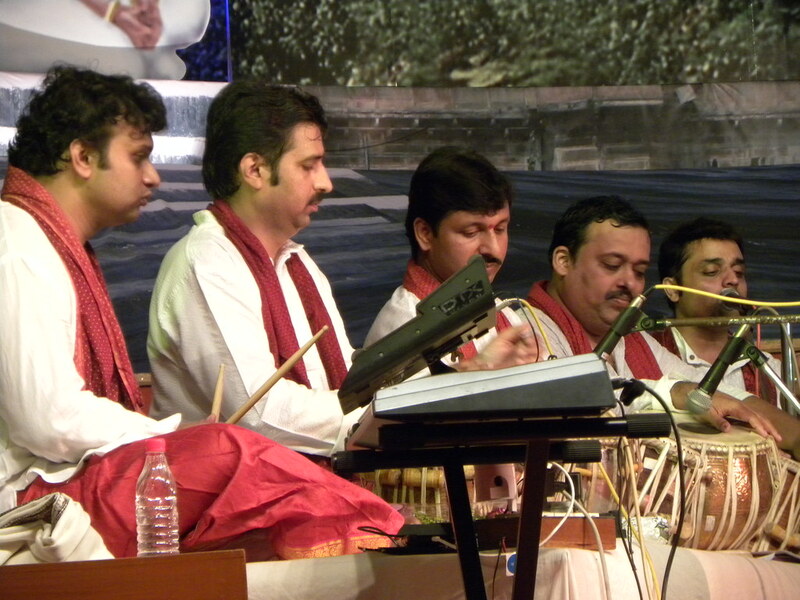 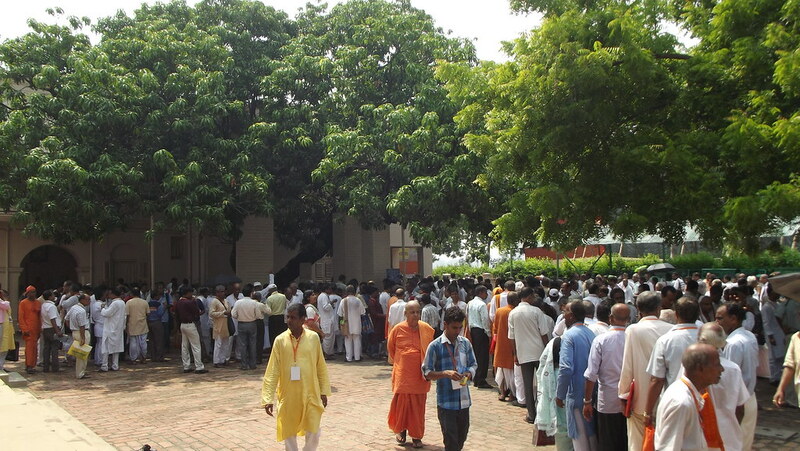 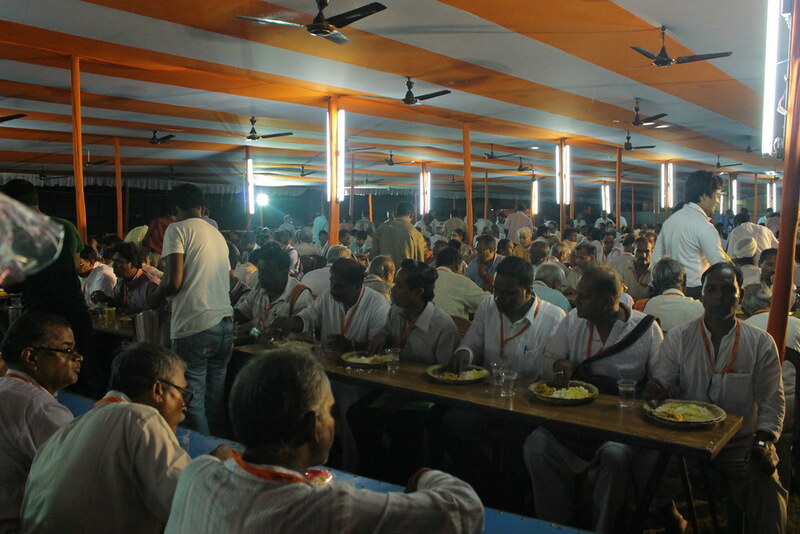 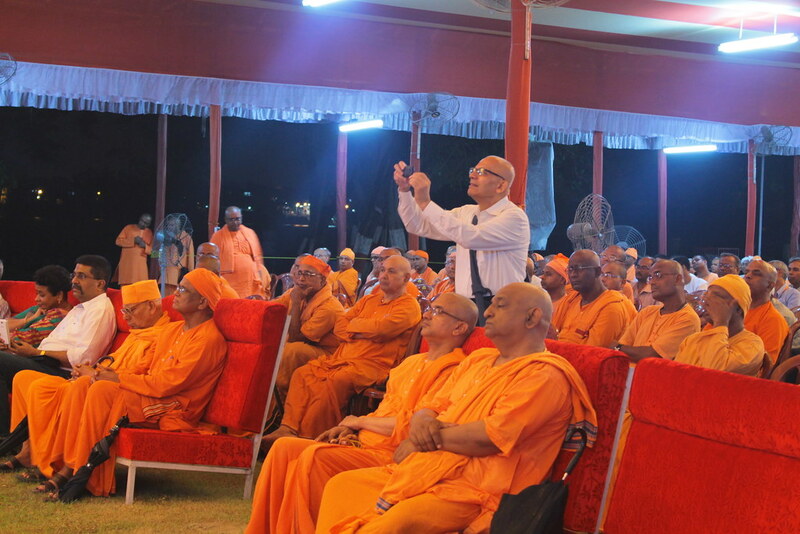 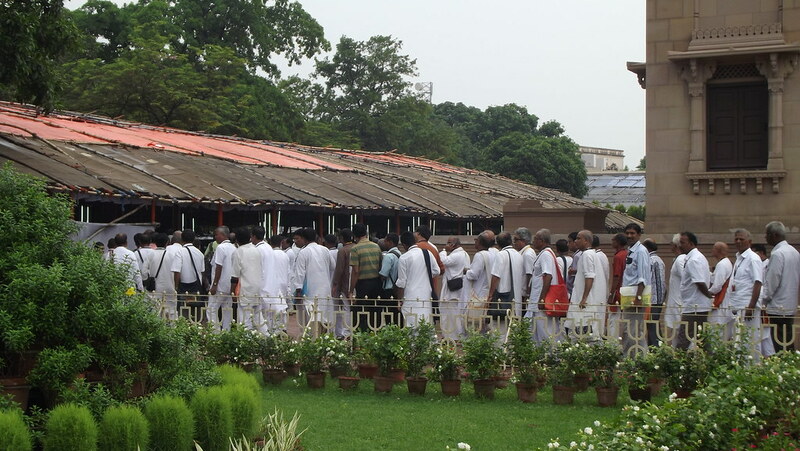 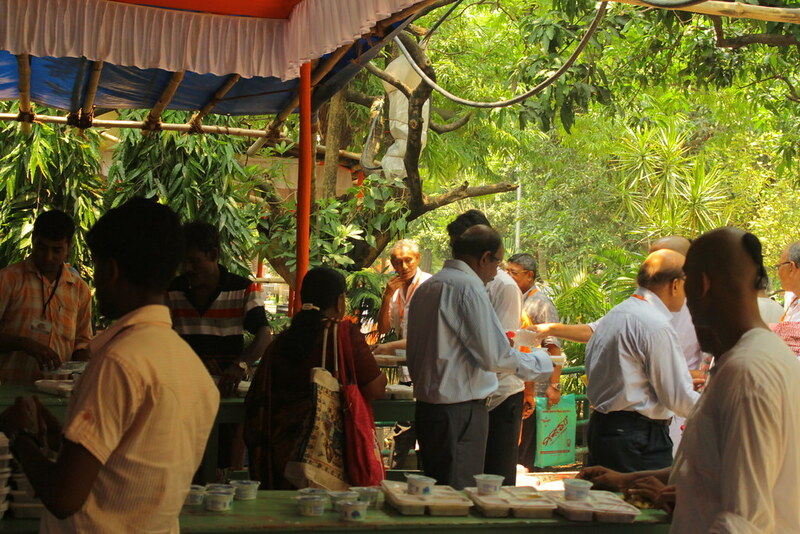 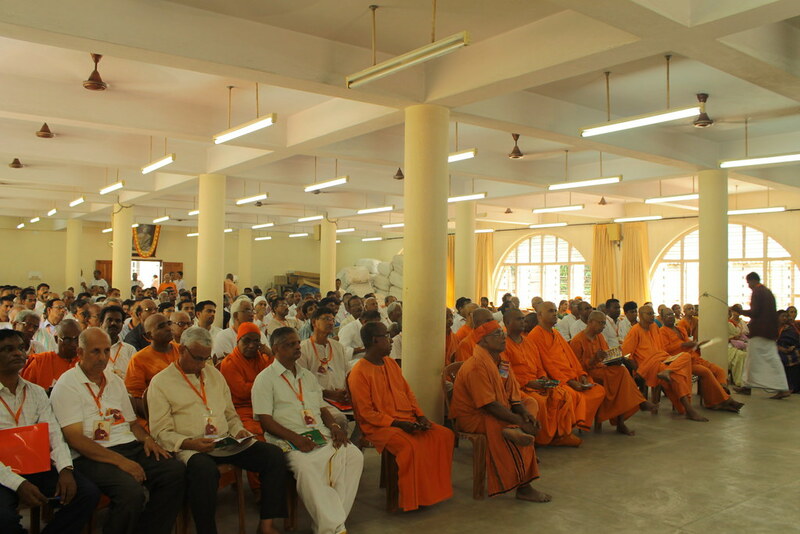 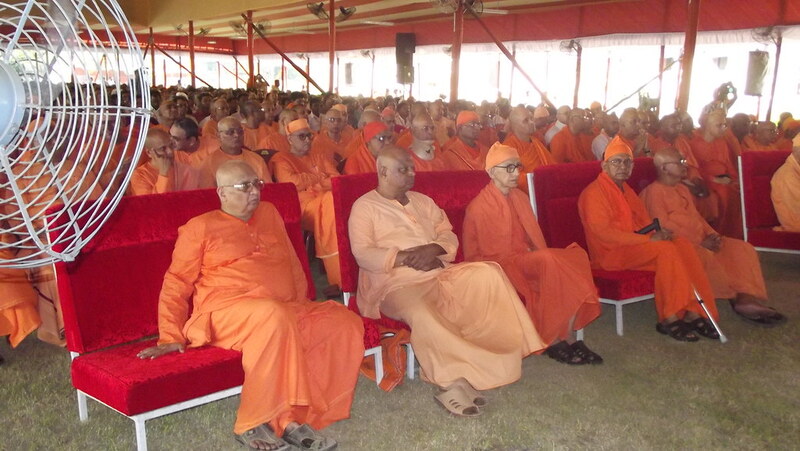 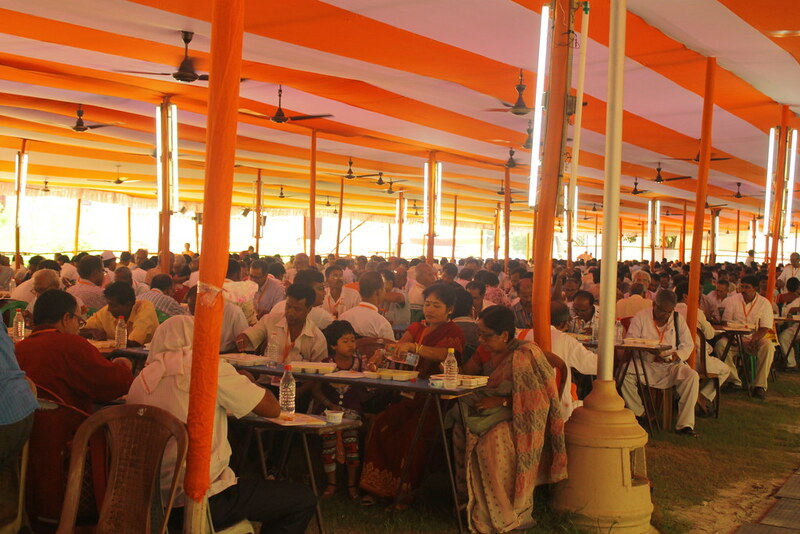 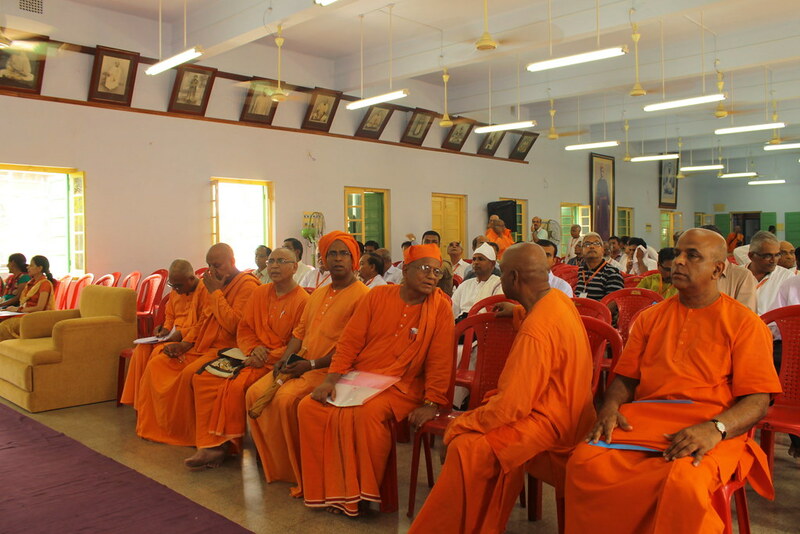 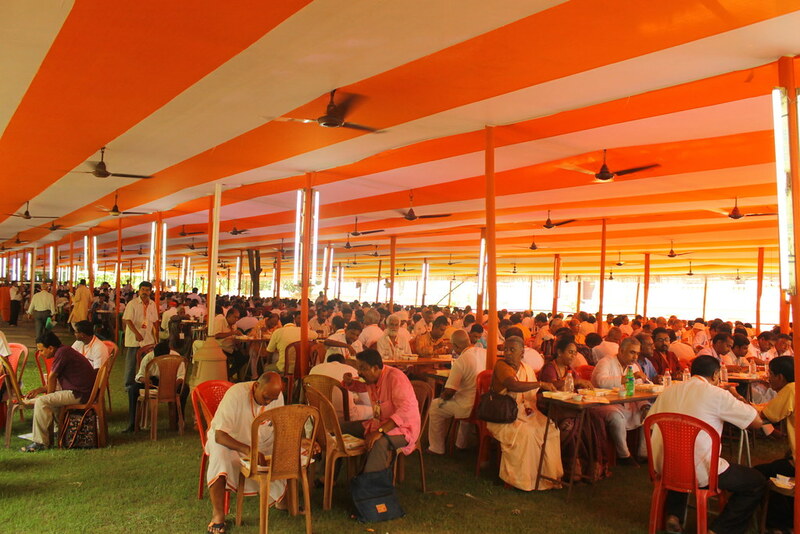 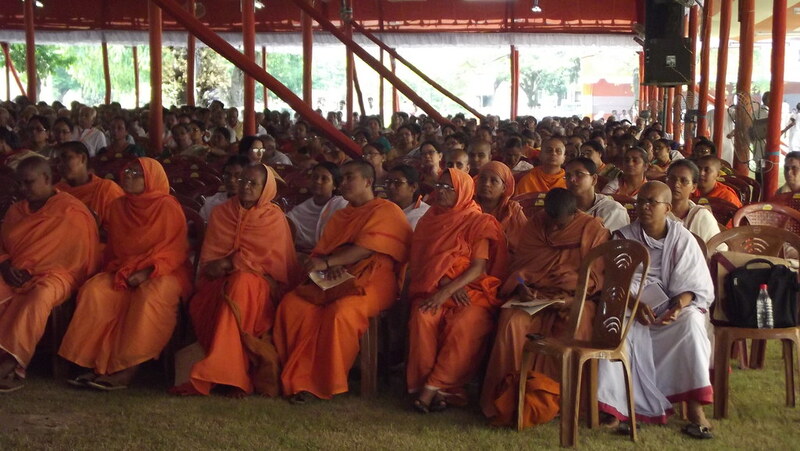 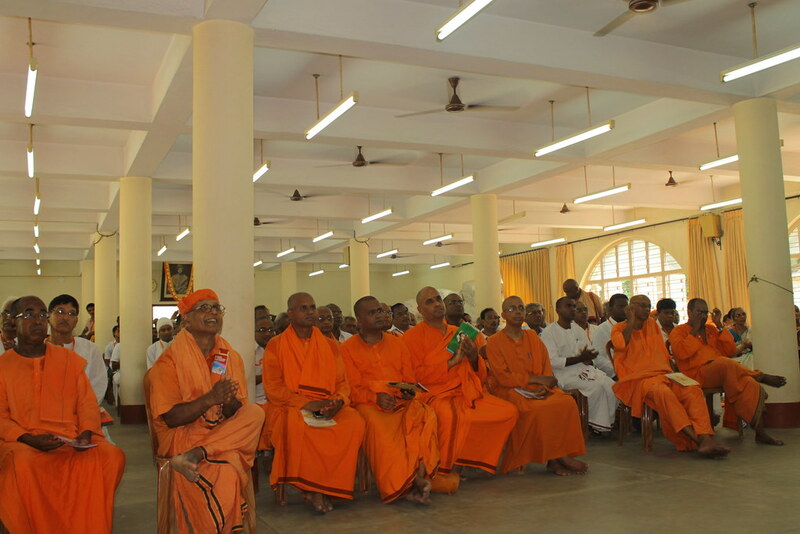 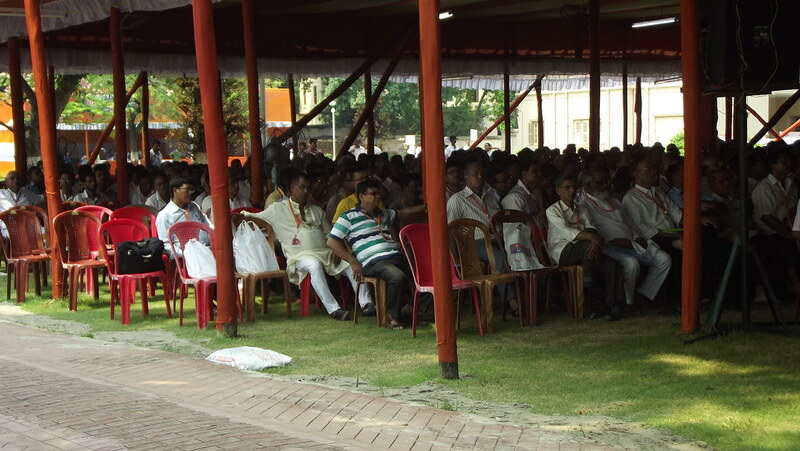 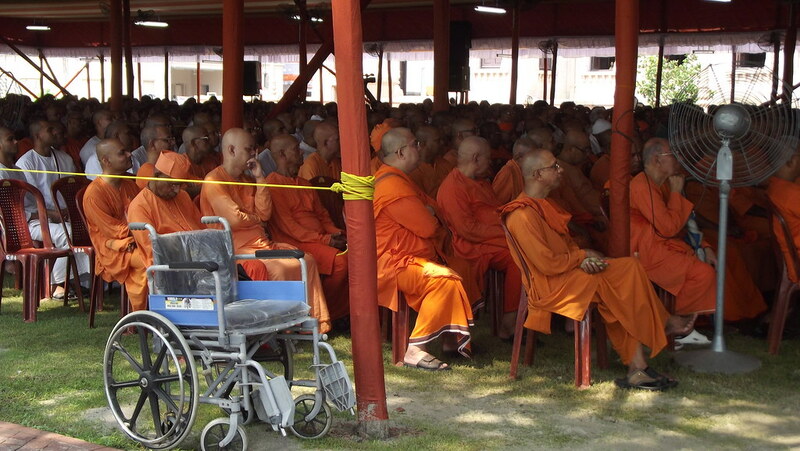 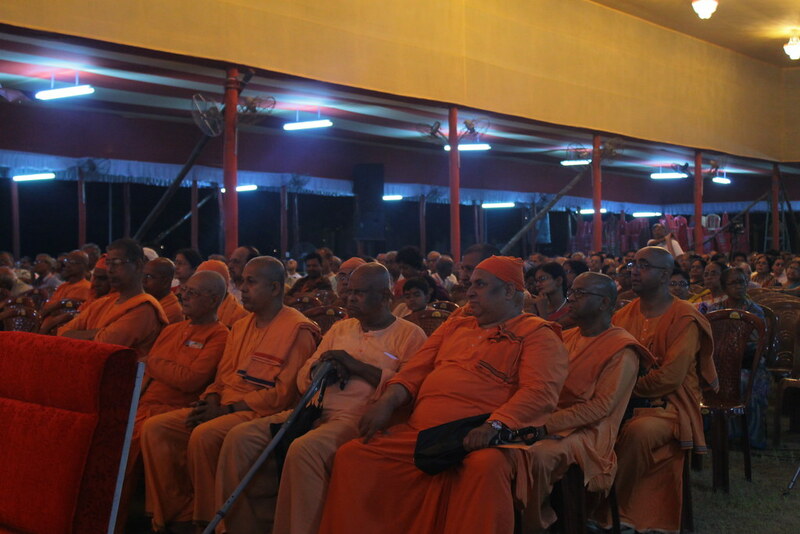 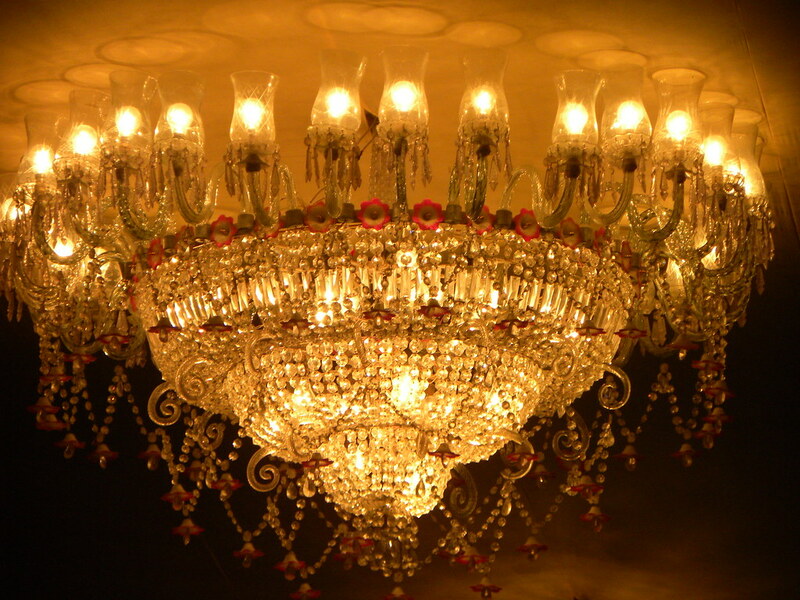 More than 250 doctors and families and devotees of RK Mission attended this meeting. 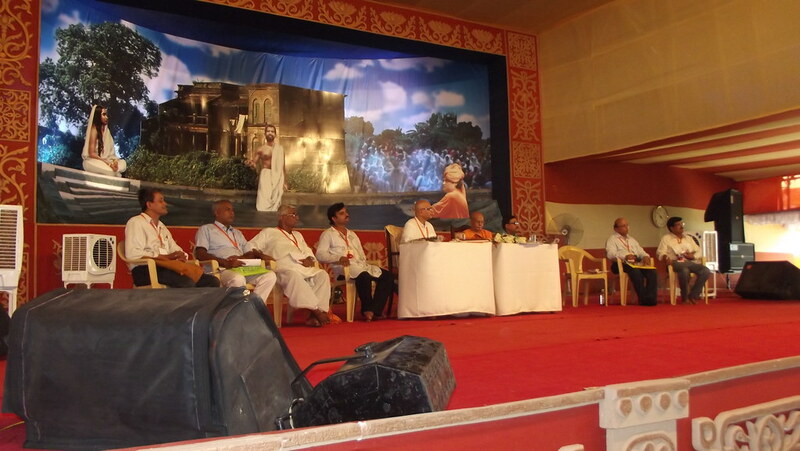 The meeting was well organized, the doctors were happy to have a platform to share their thoughts and experiences with the audience. 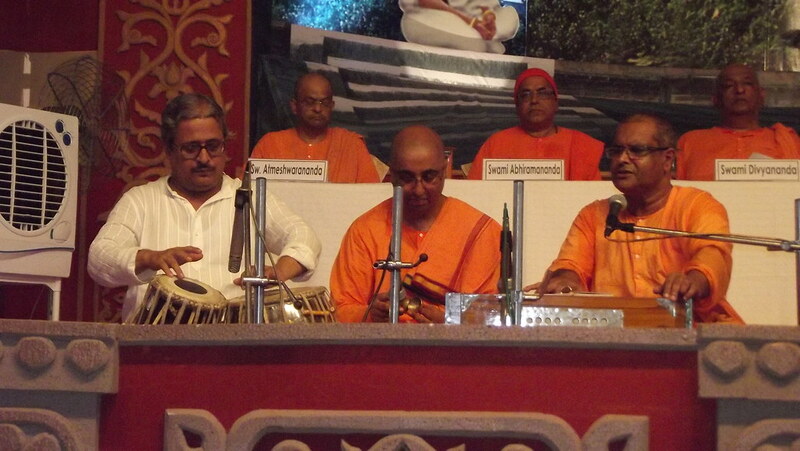 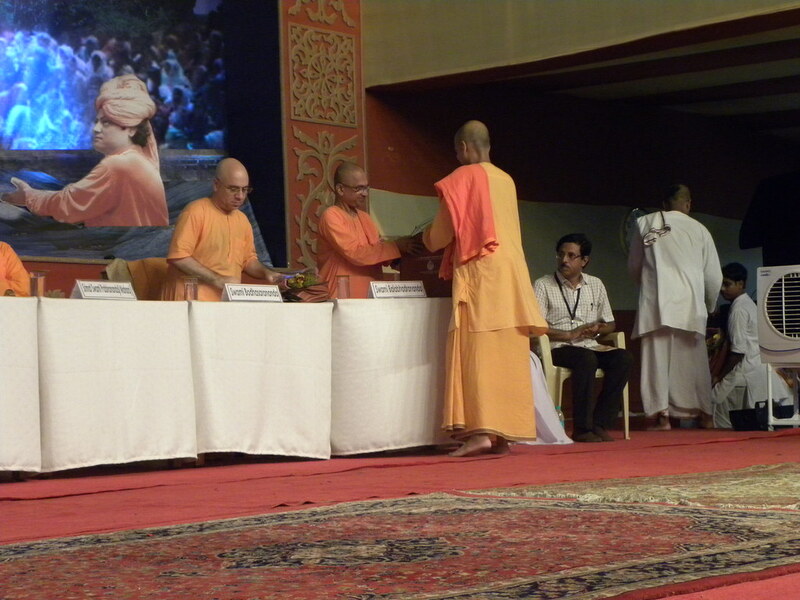 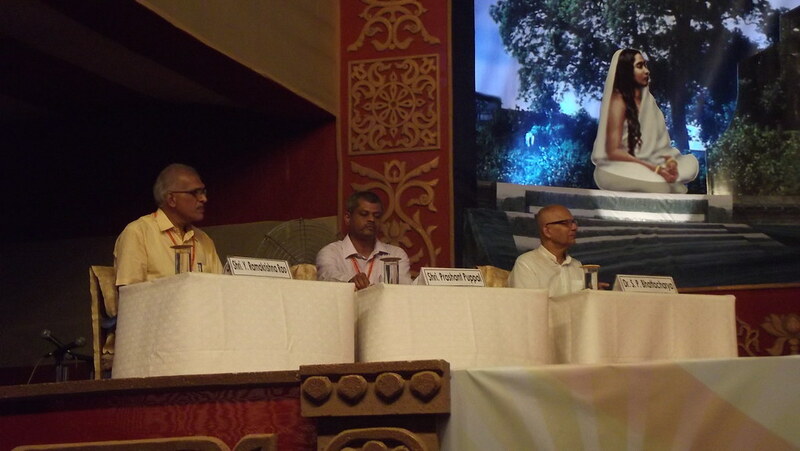 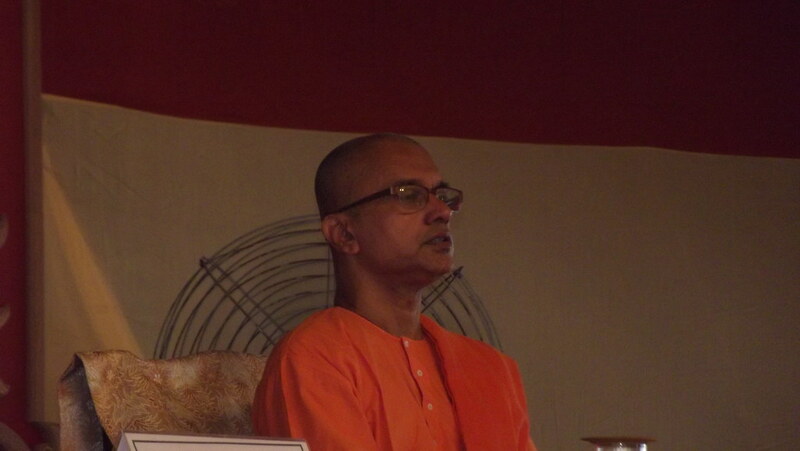 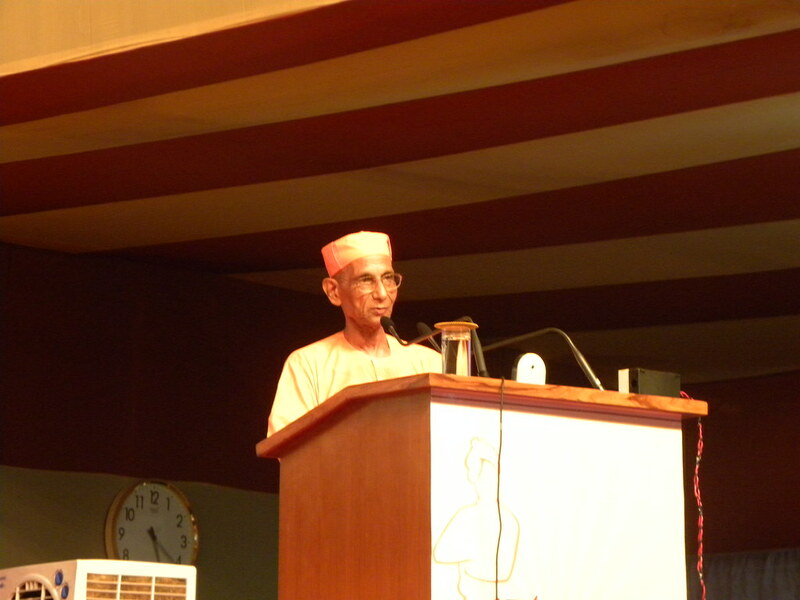 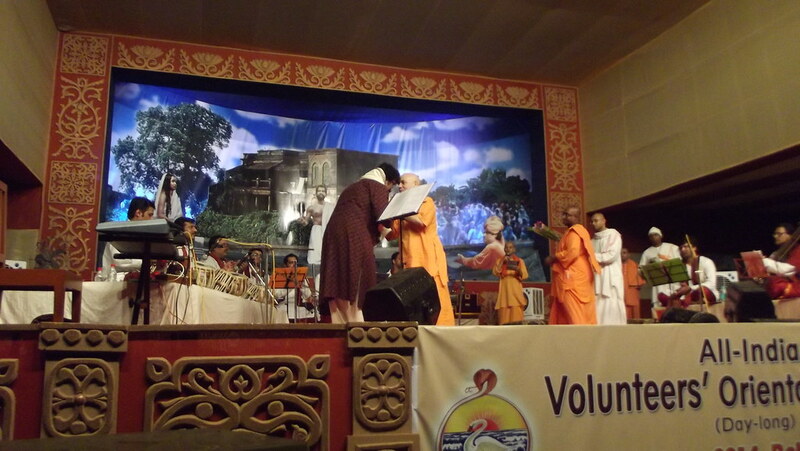 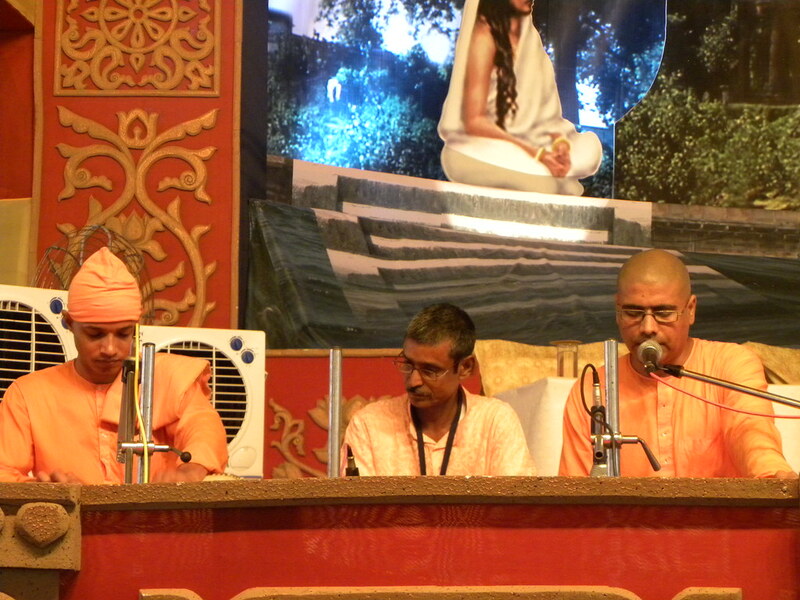 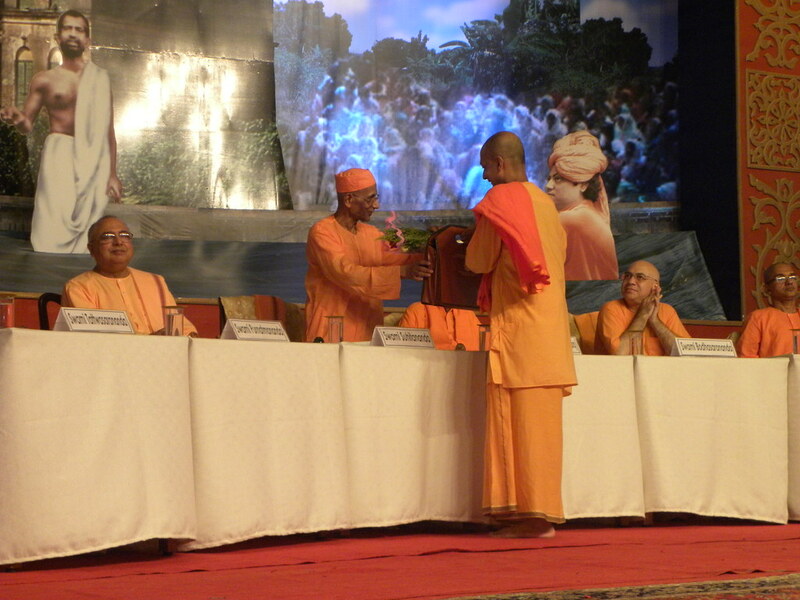 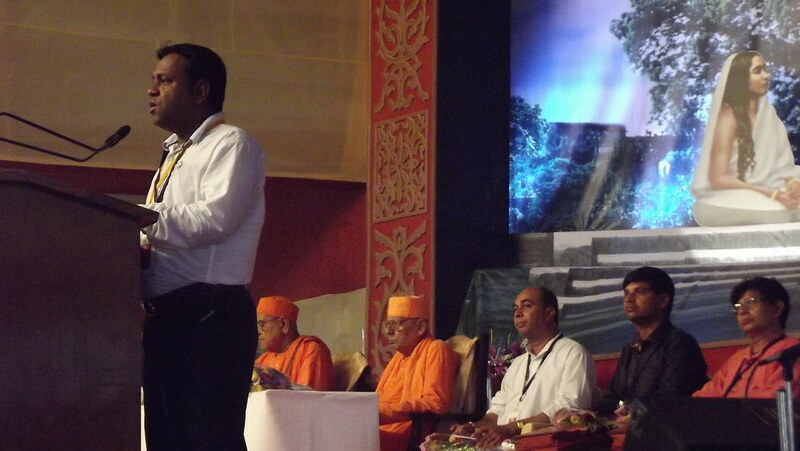 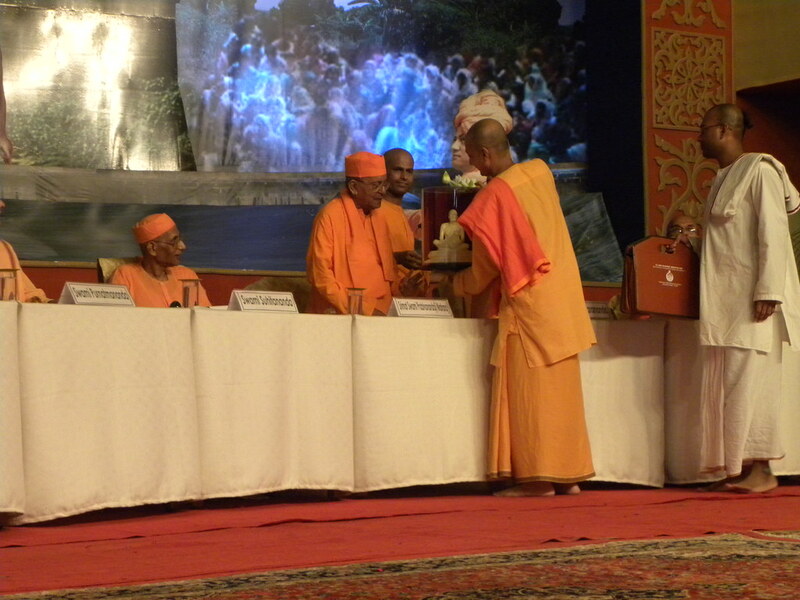 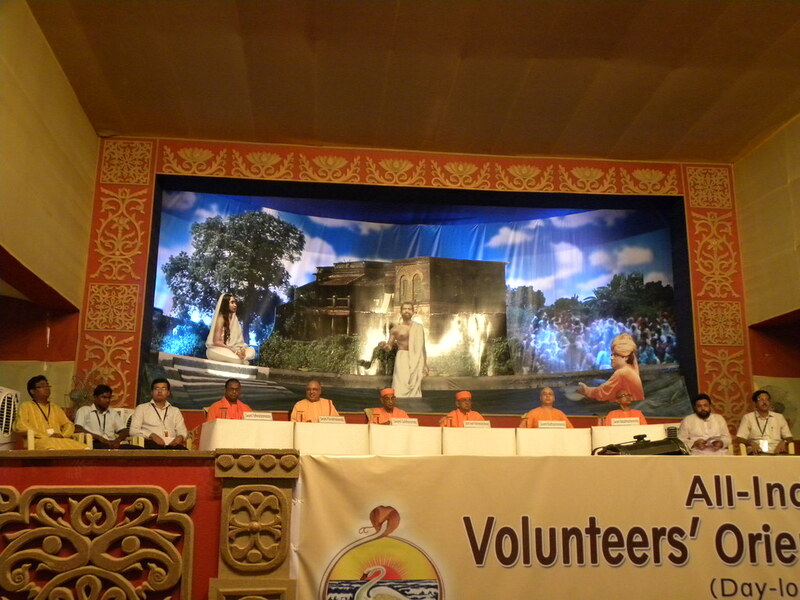 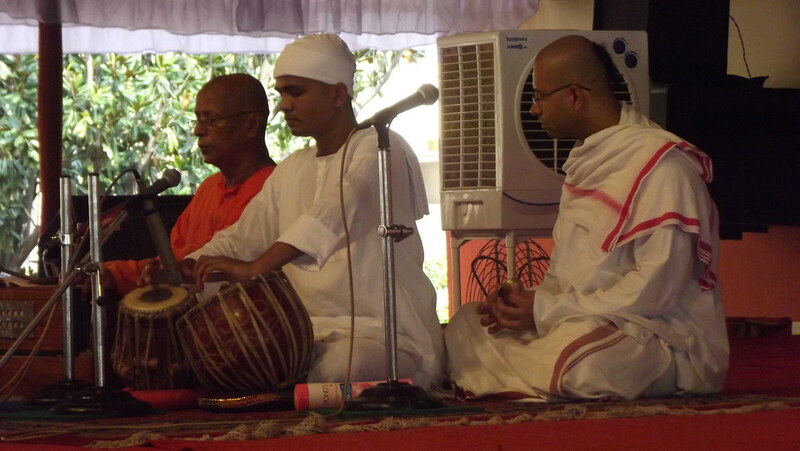 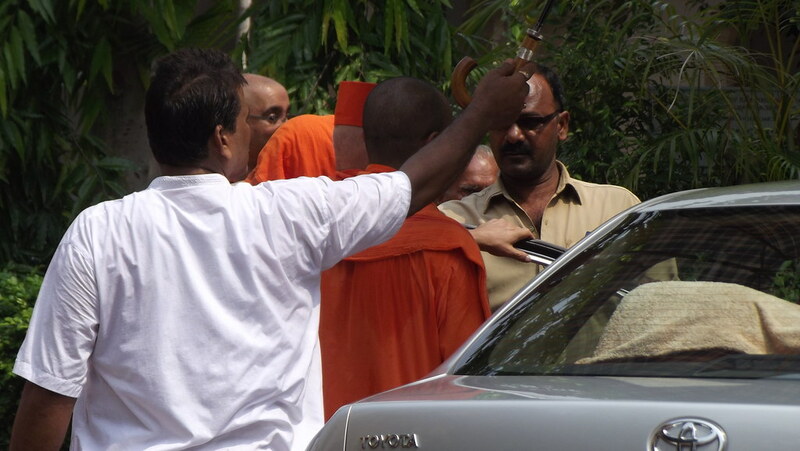 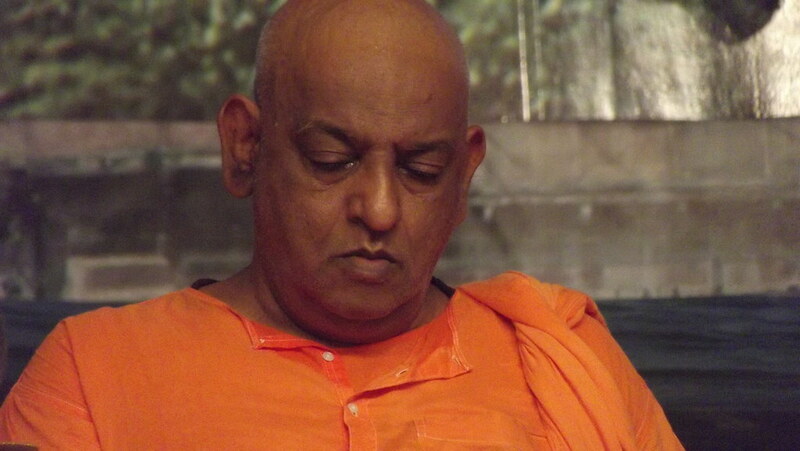 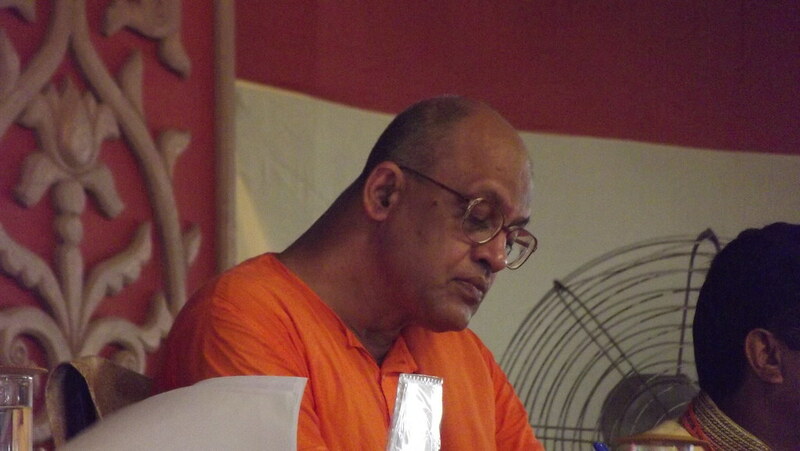 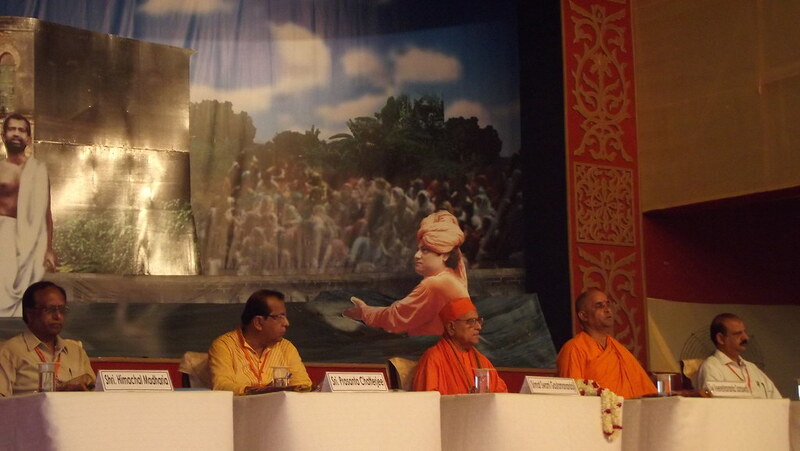 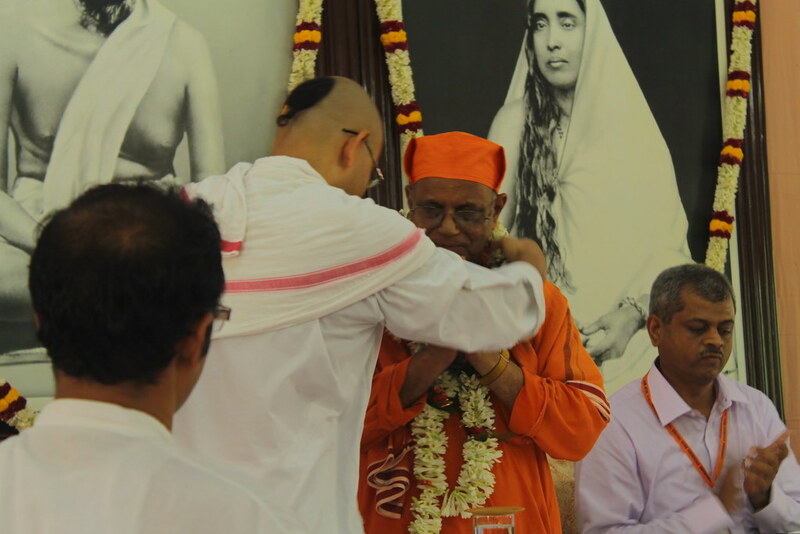 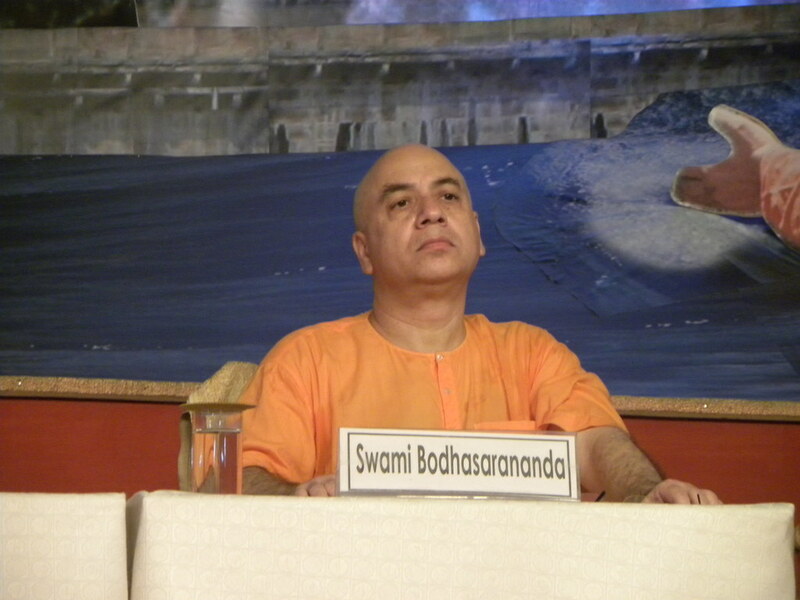 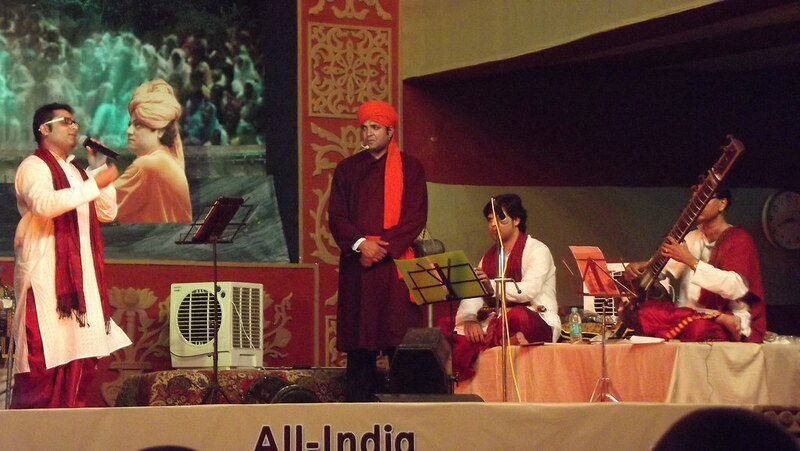 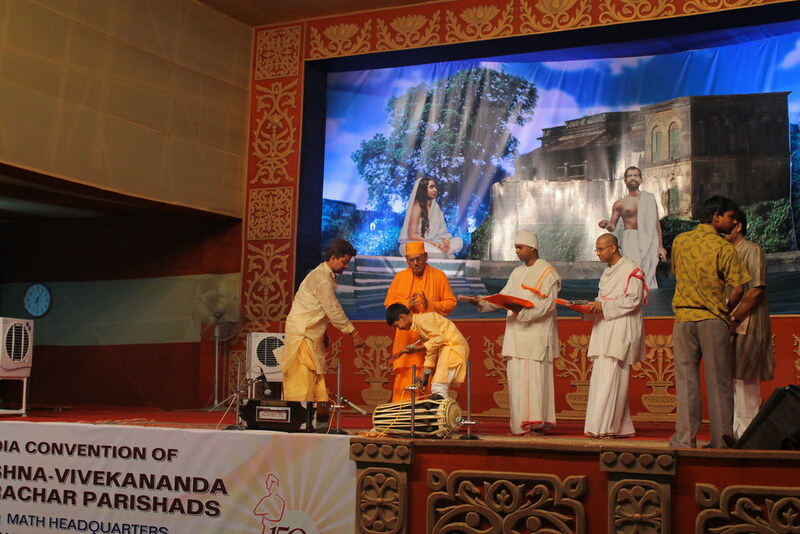 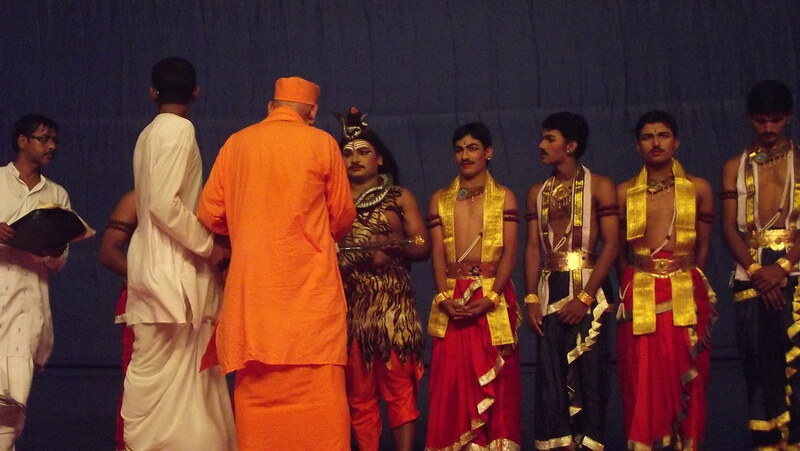 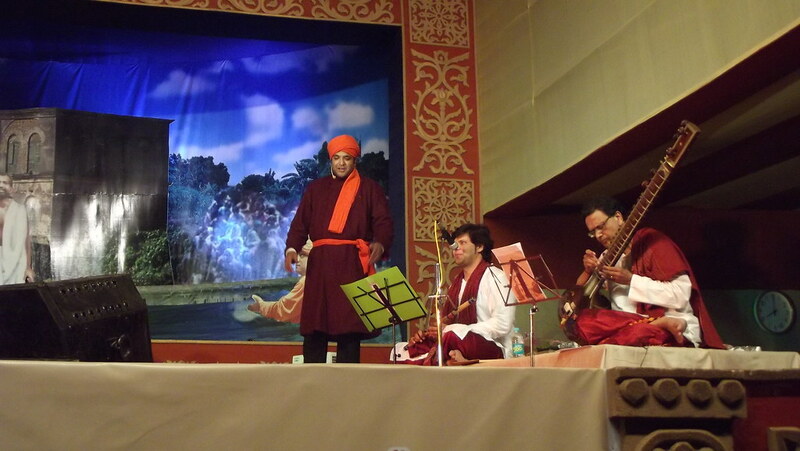 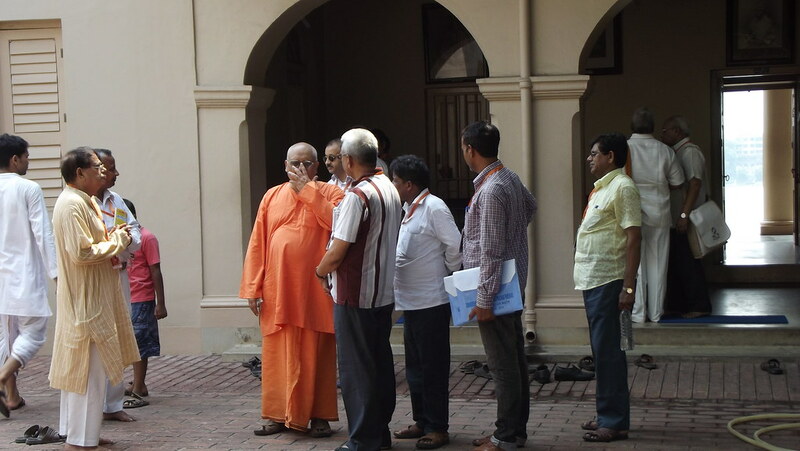 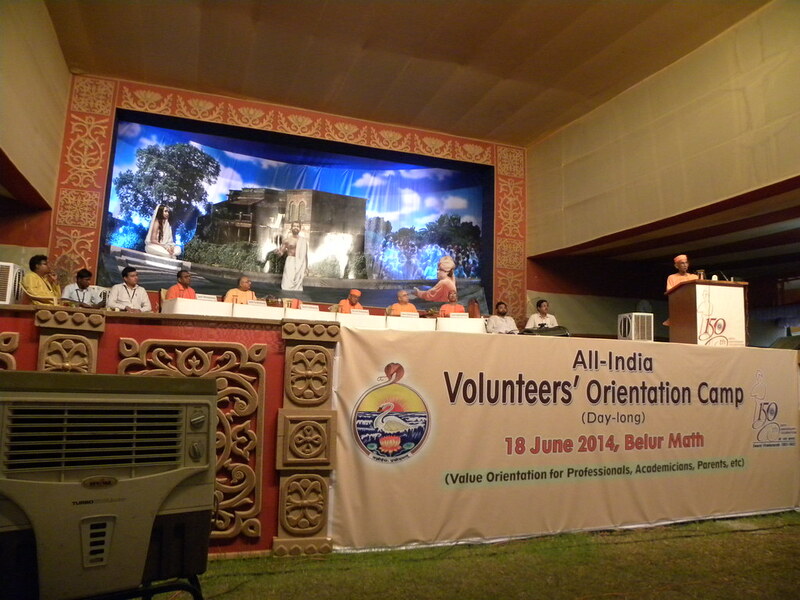 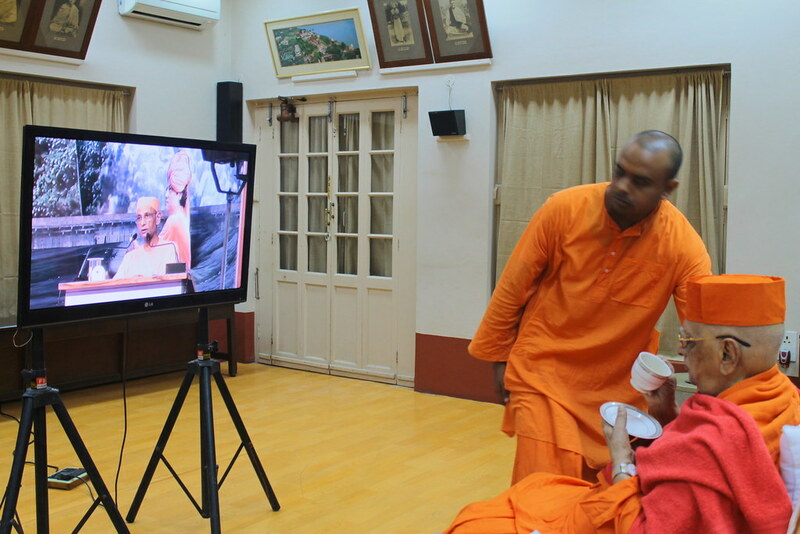 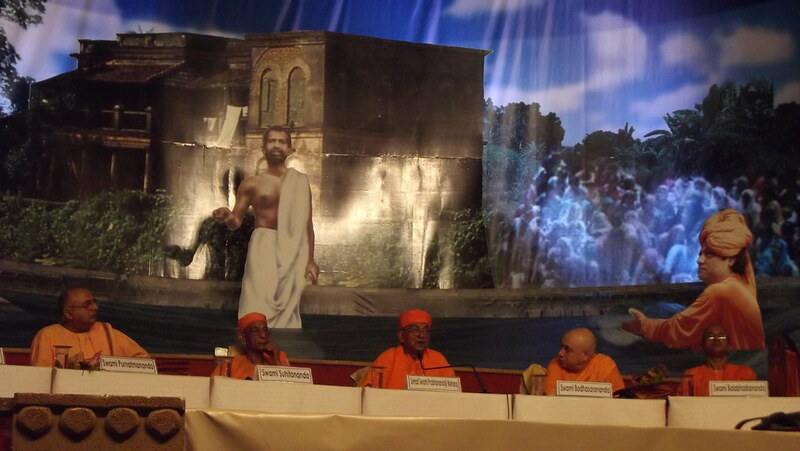 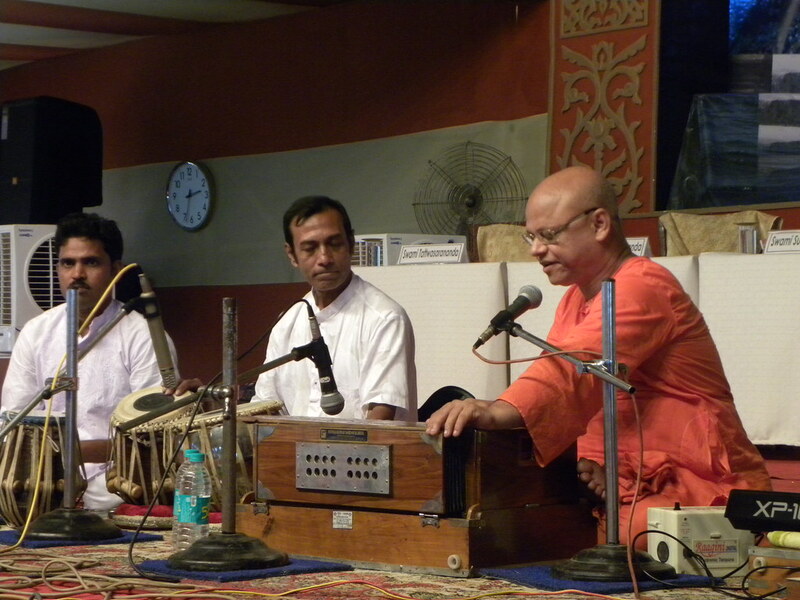 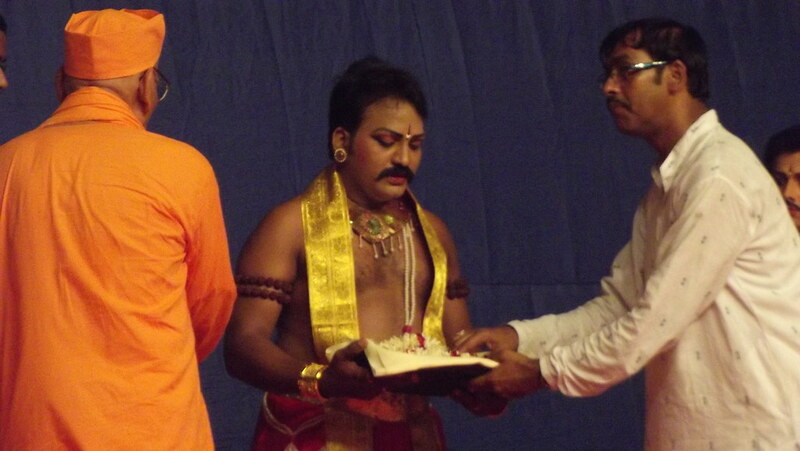 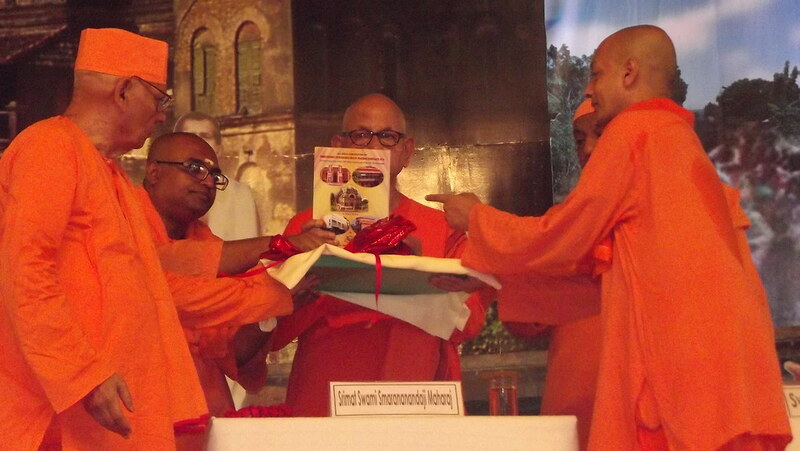 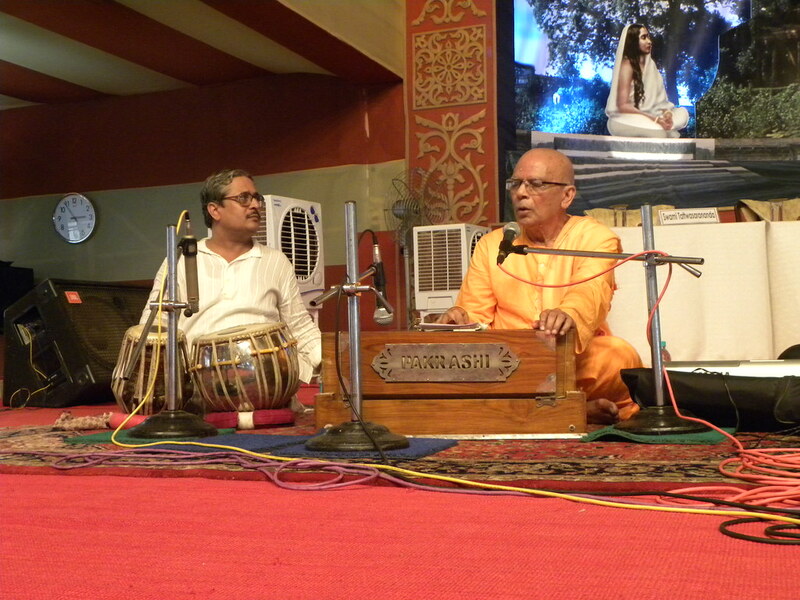 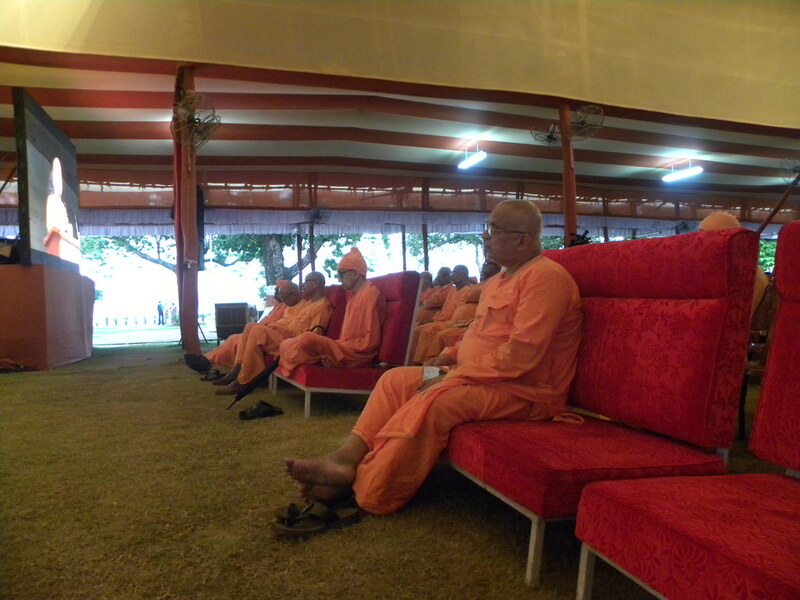 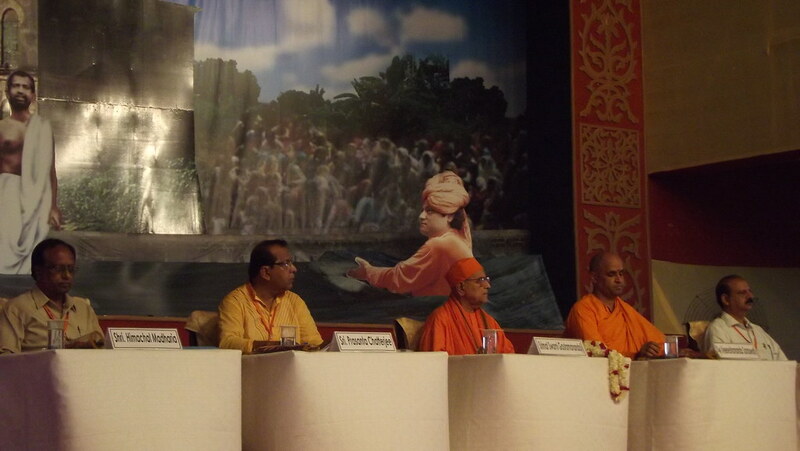 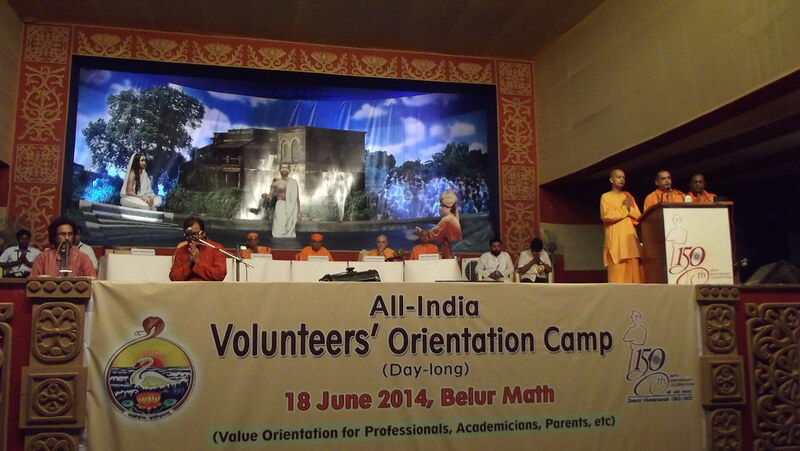 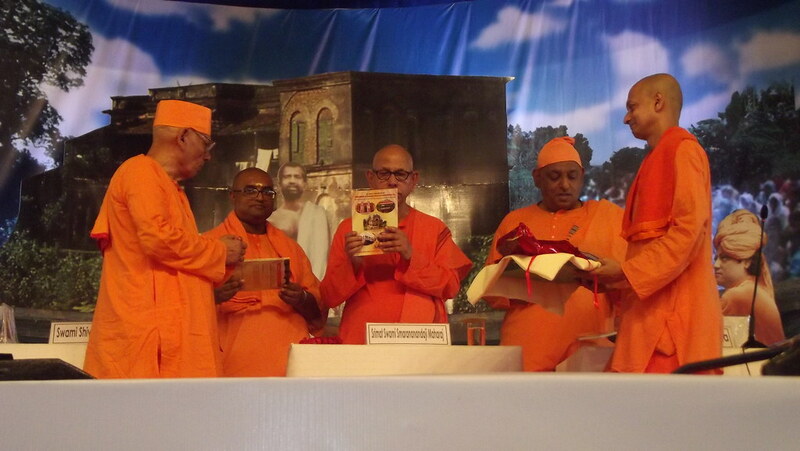 The meeting ended with blessings of Swami Harshananda and distribution of mementos to all participating doctors.